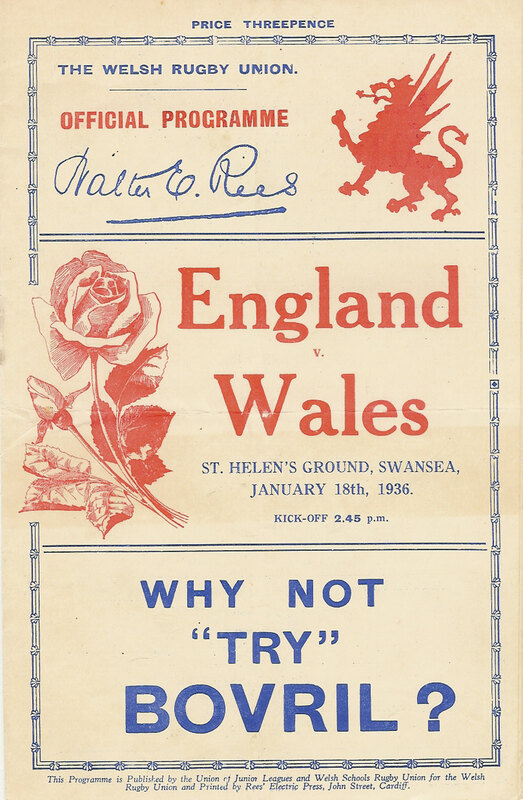 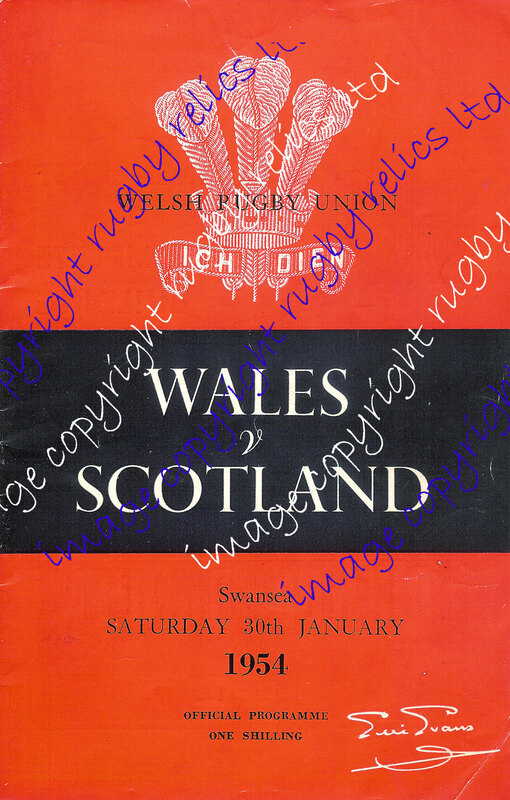 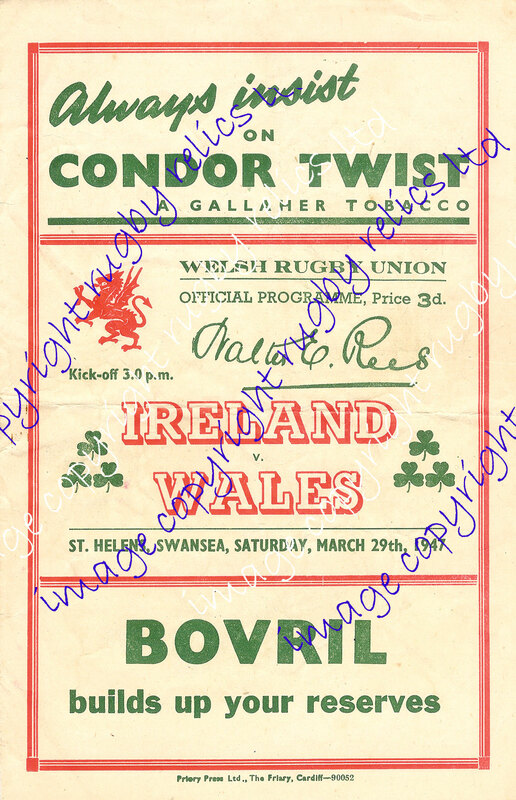 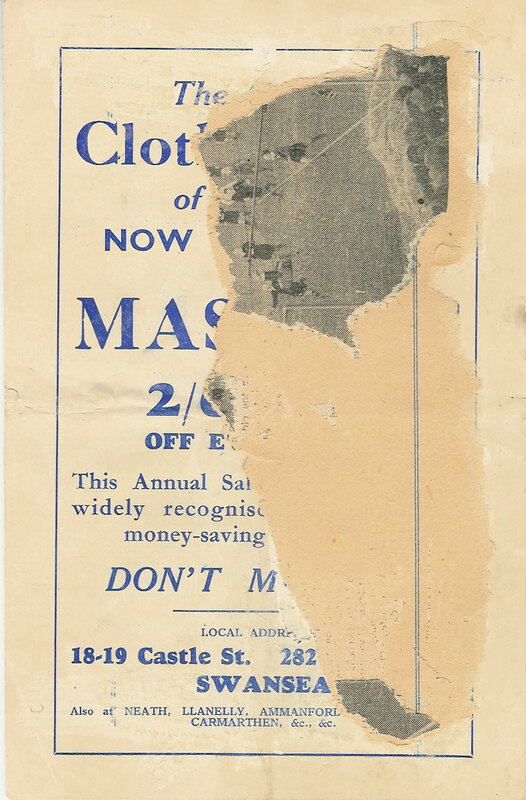 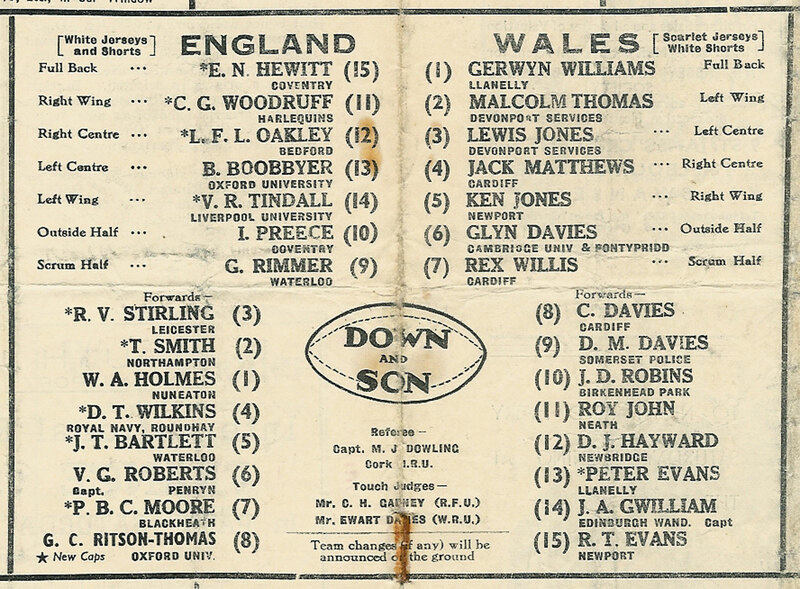 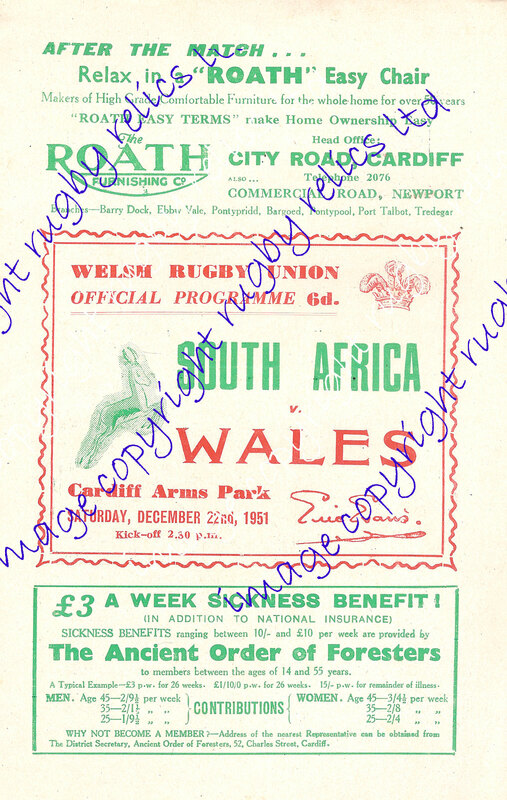 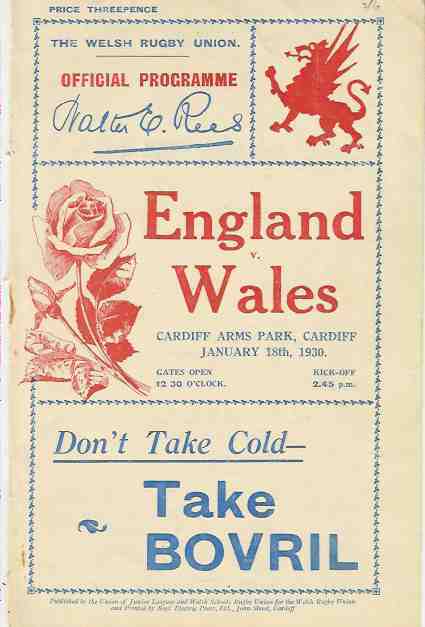 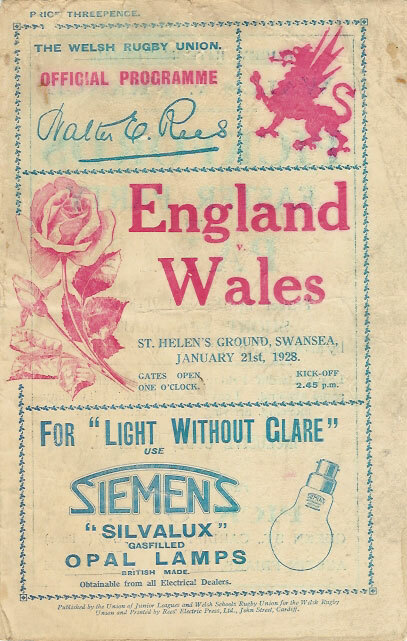 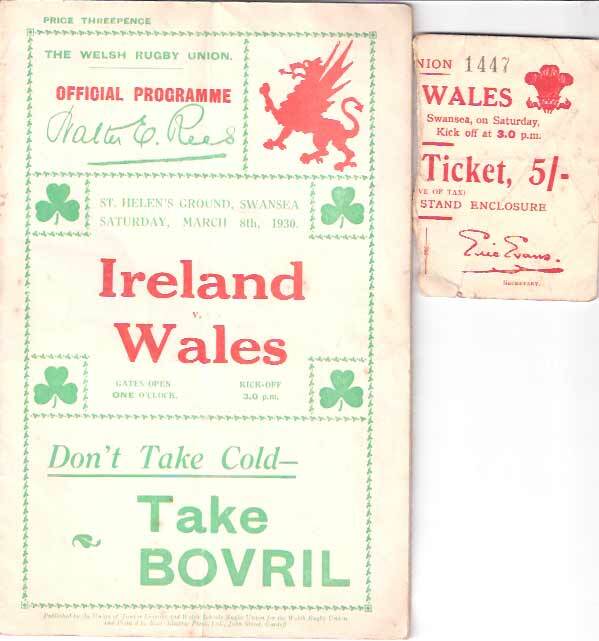 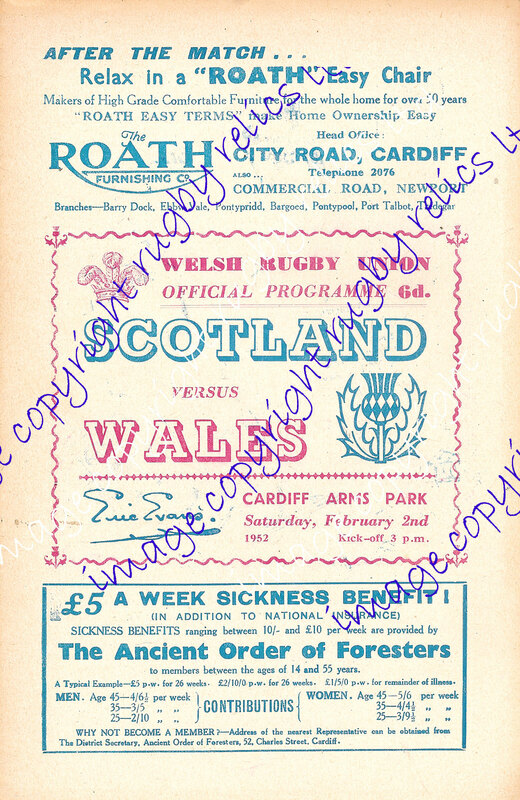 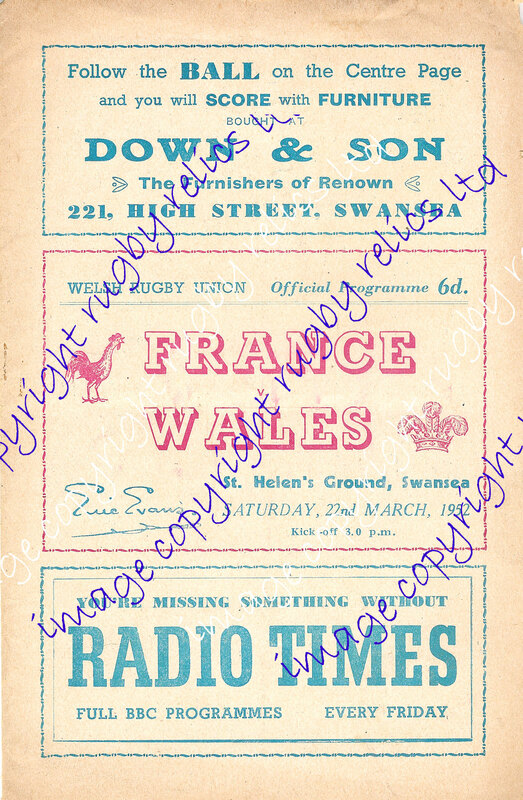 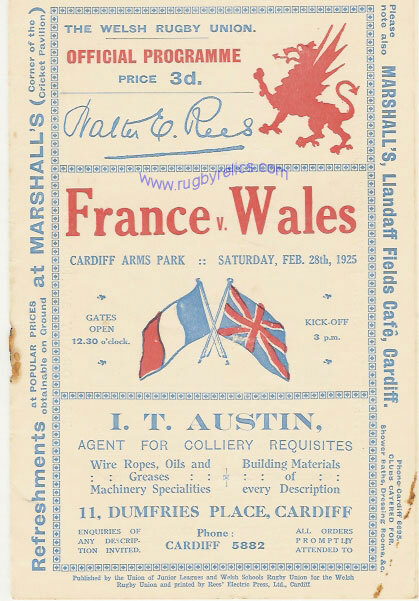 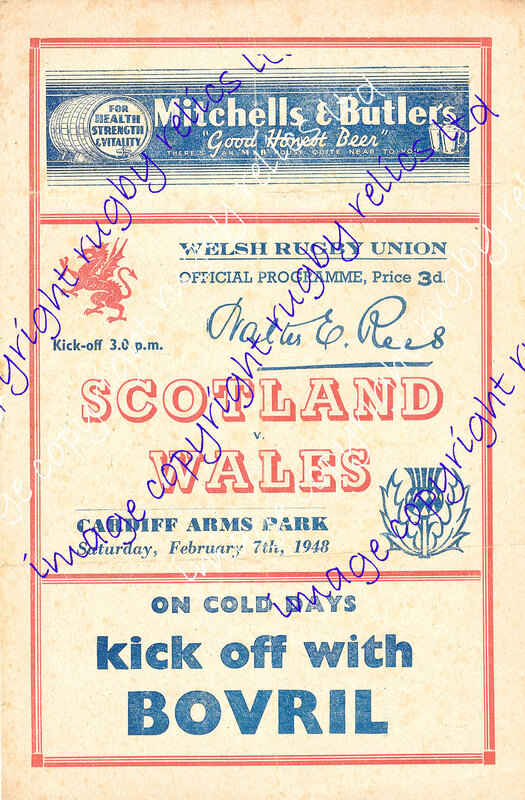 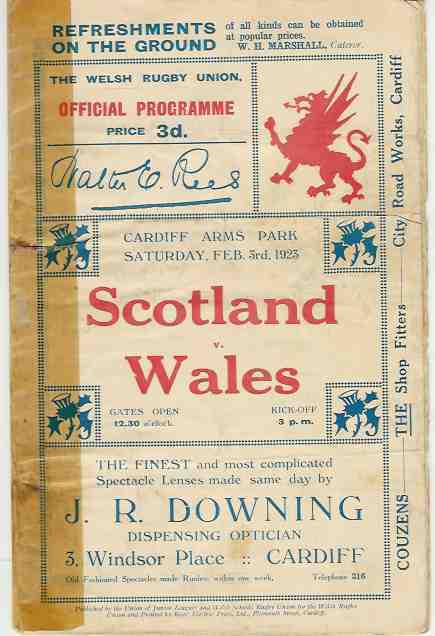 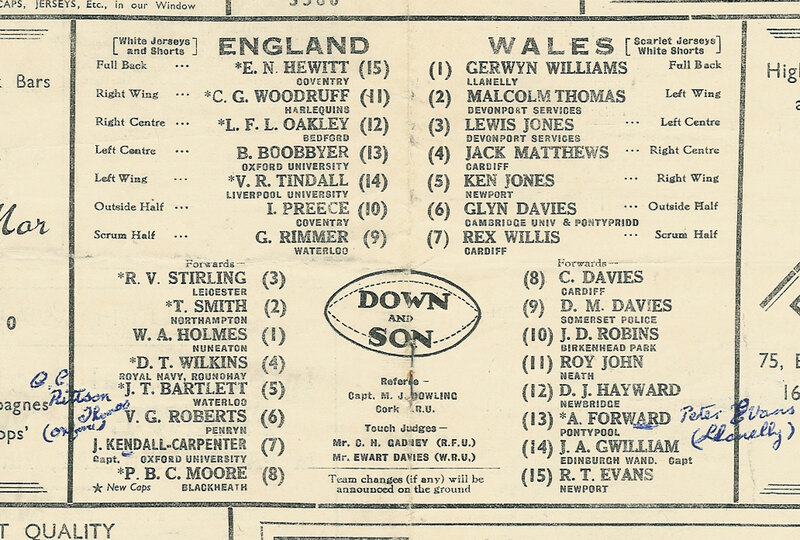 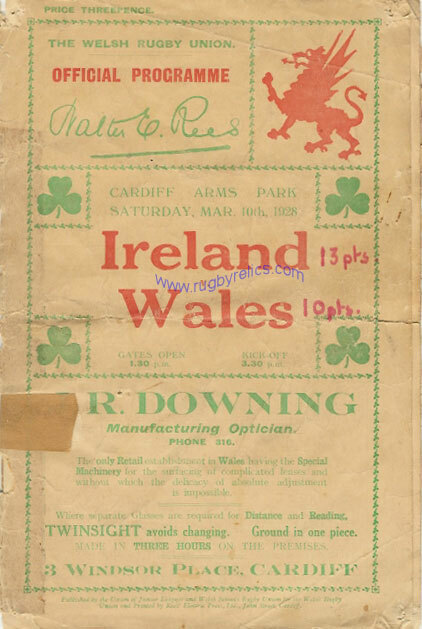 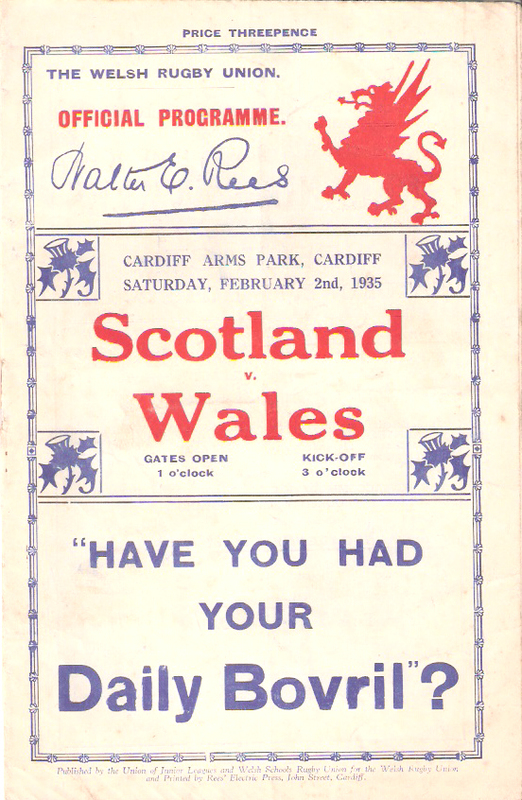 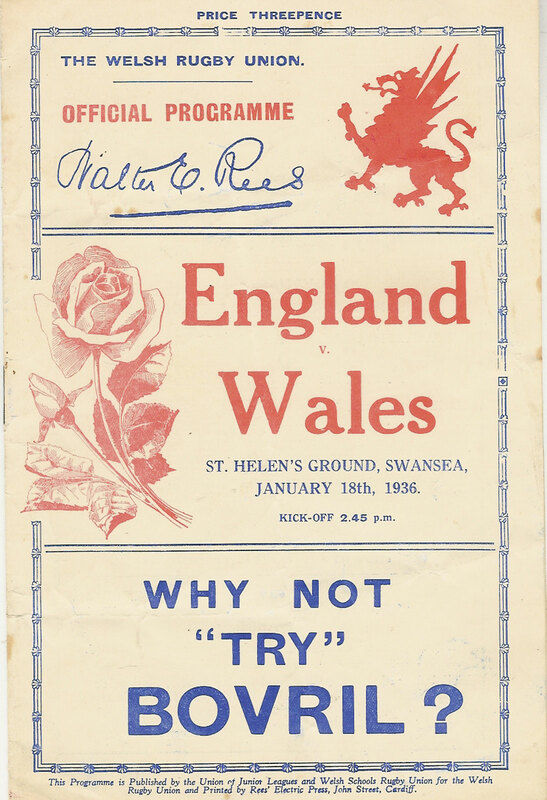 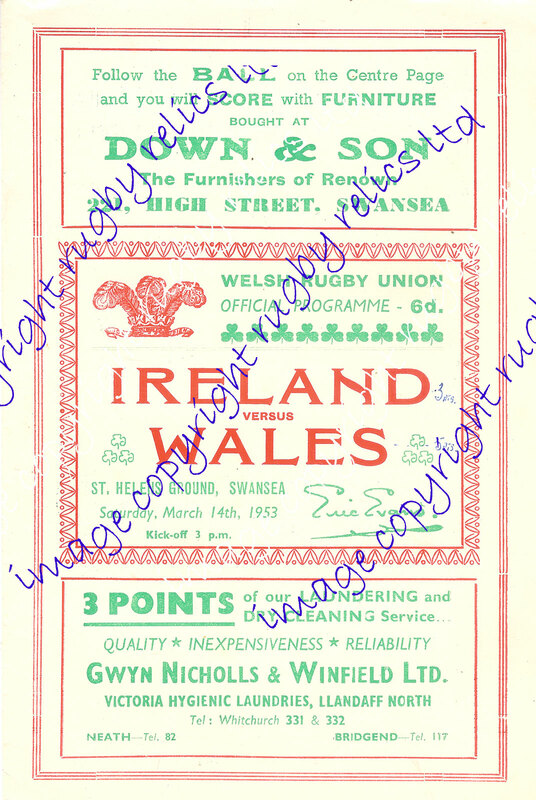 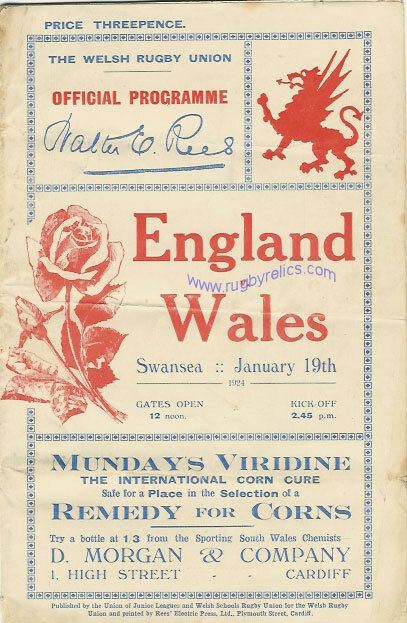 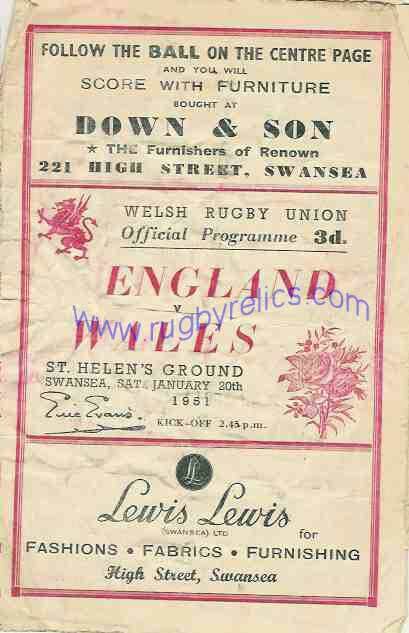 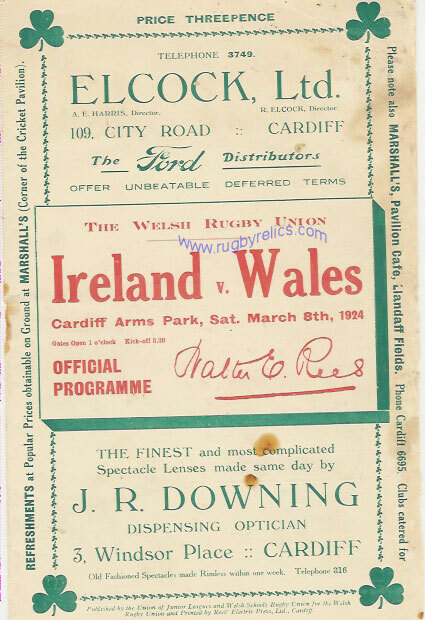 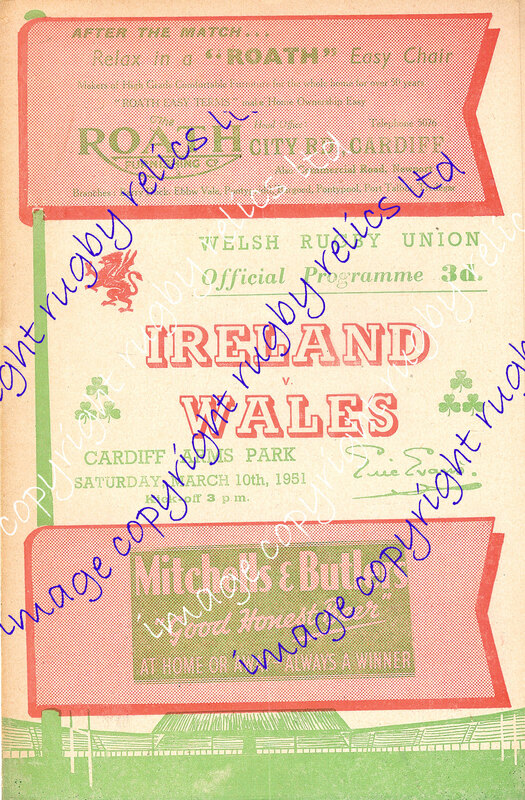 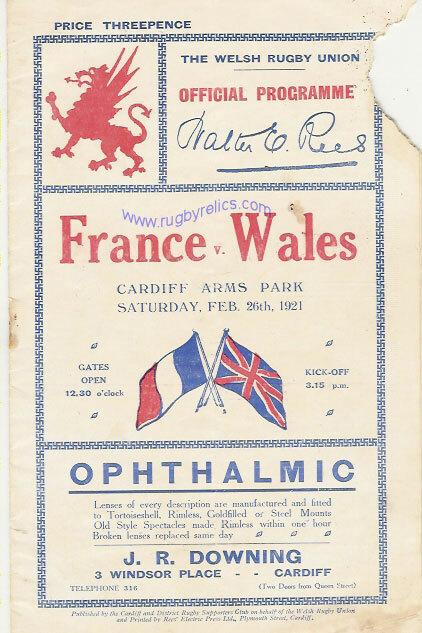 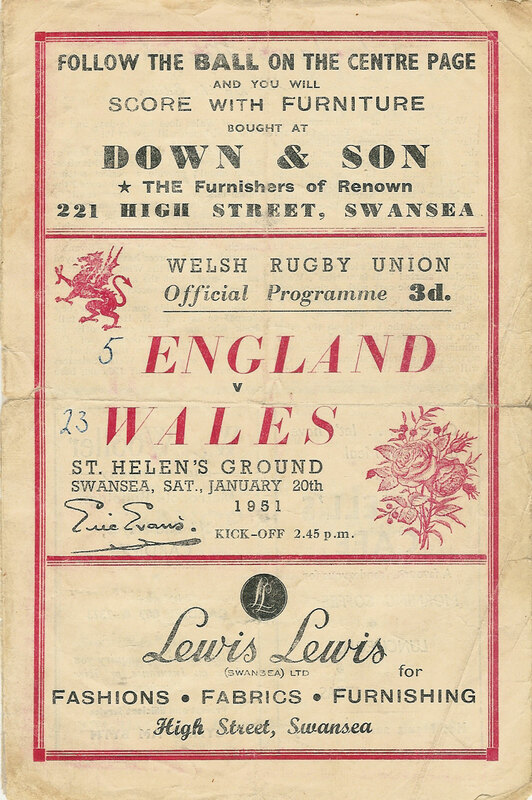 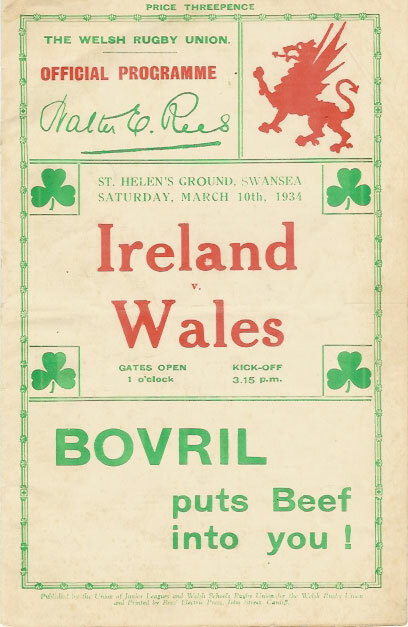 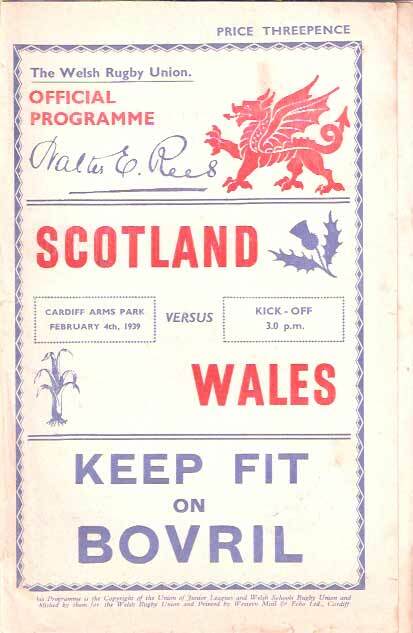 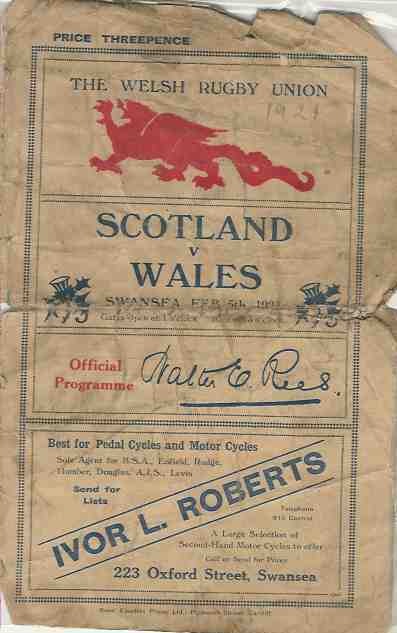 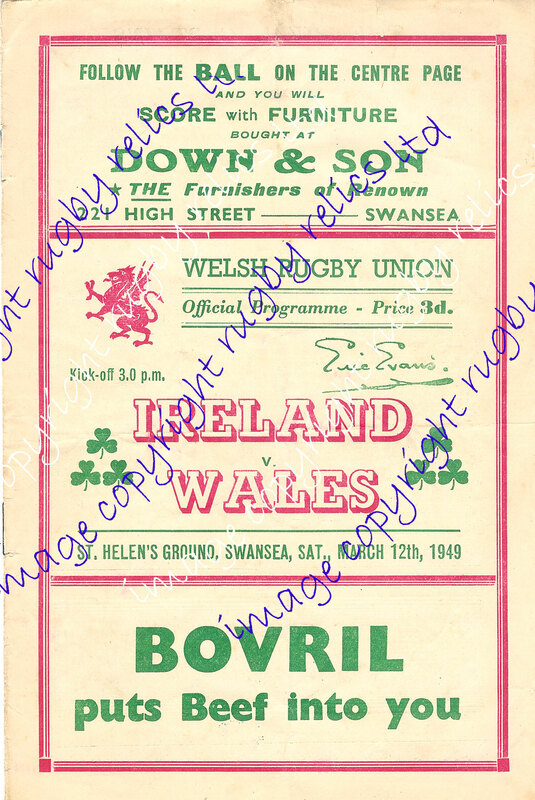 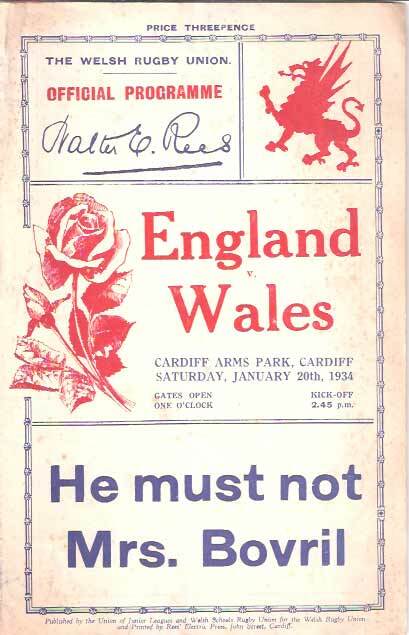 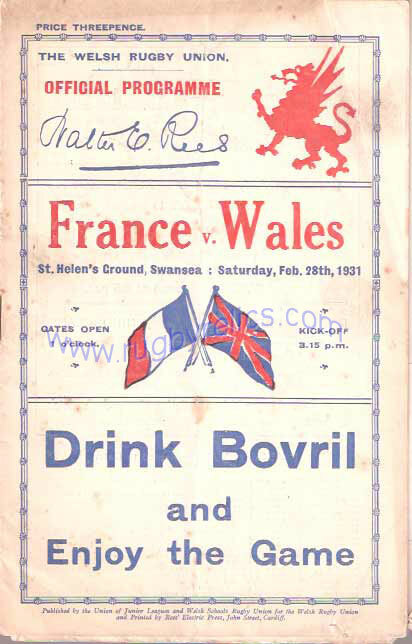 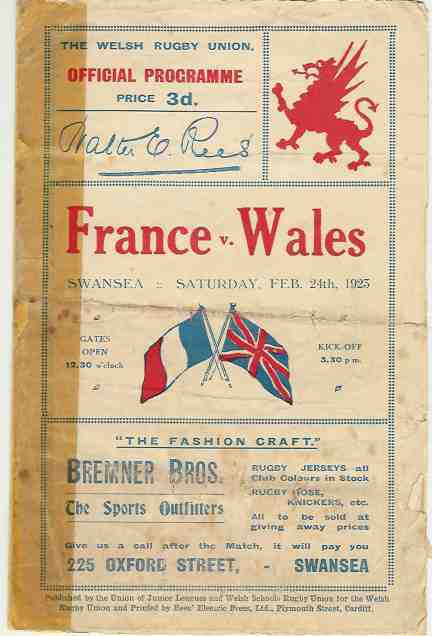 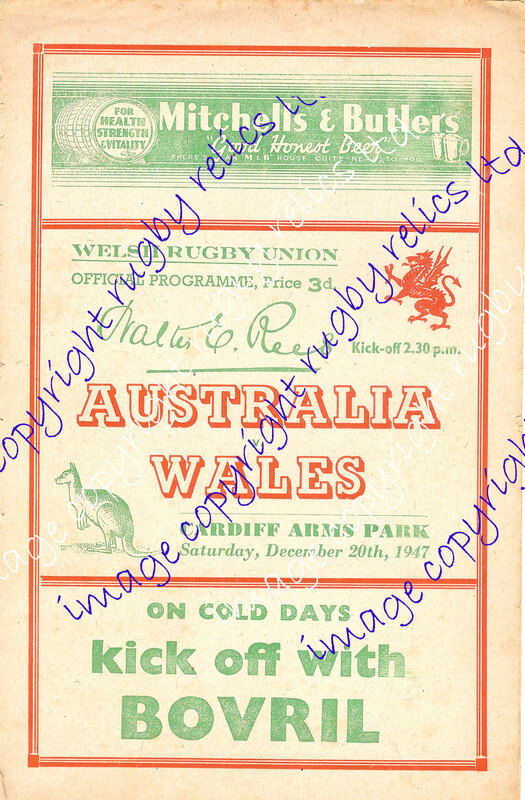 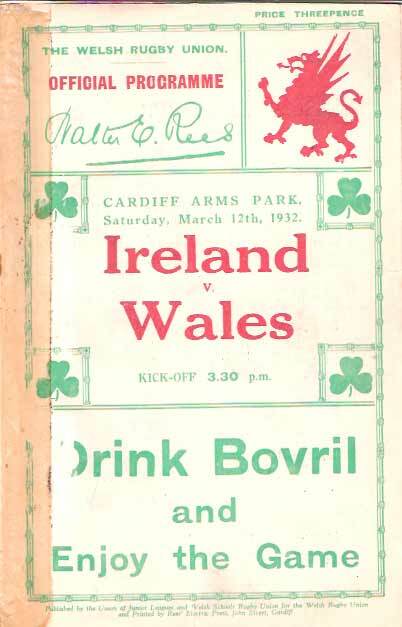 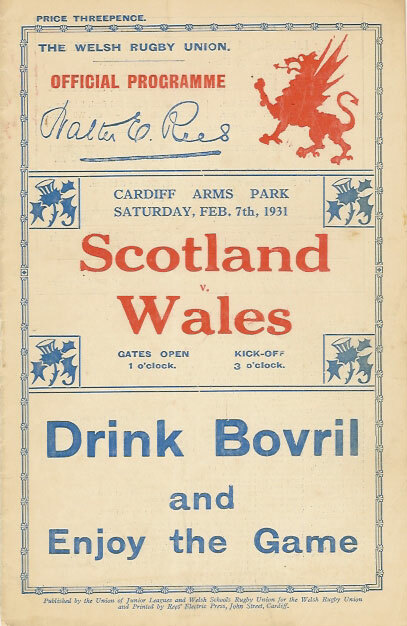 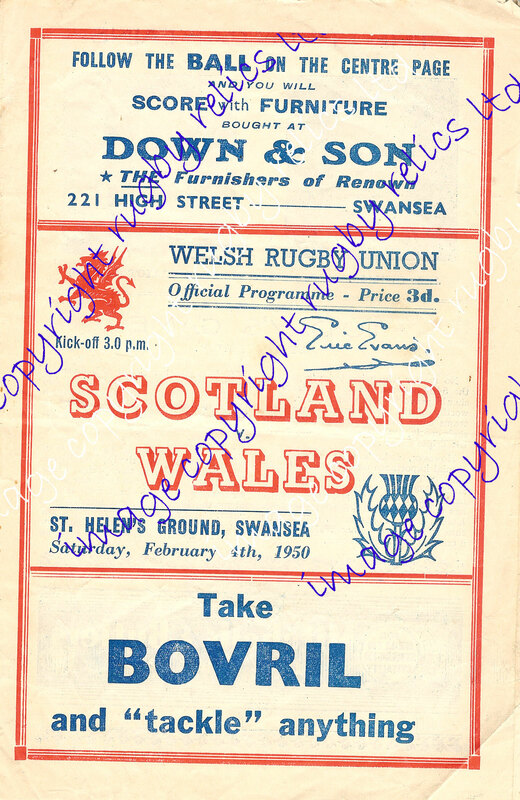 Wales v Scotland 5 Feb 1921 Swansea 8-14 Heavy crease across centre, heavily soiled, pages inside are, spine mostly torn, inside pages & back cover missing one corner, approx 1", a very rare programme. 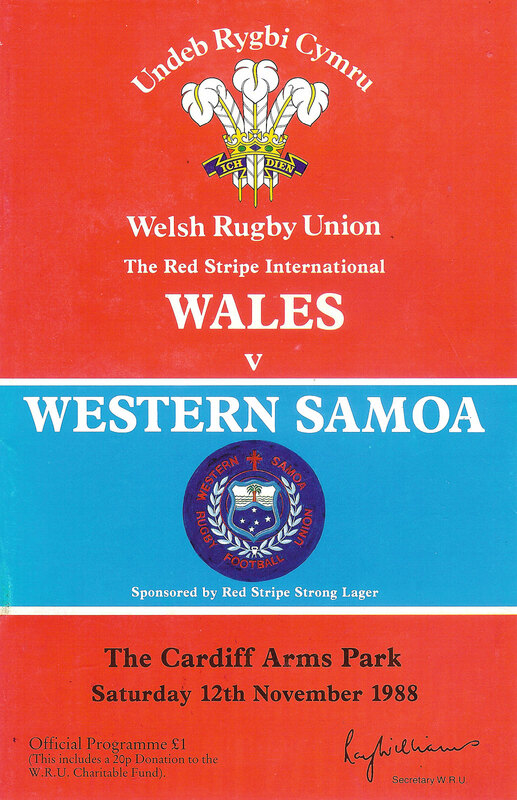 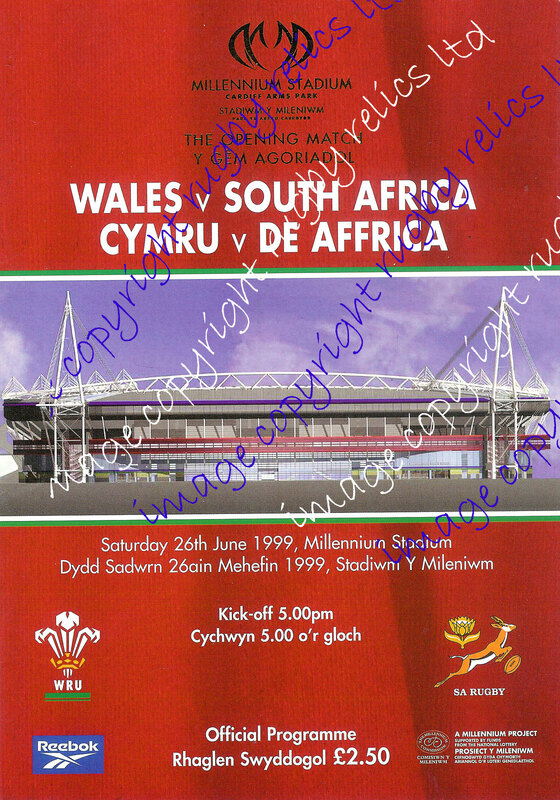 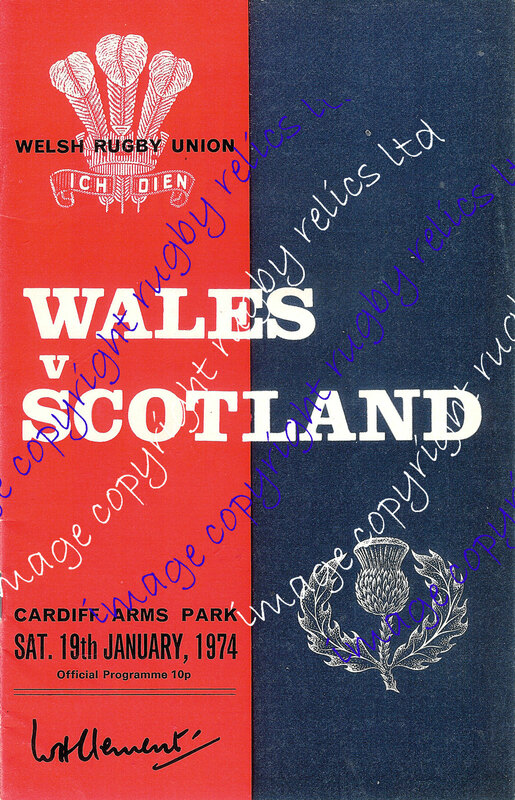 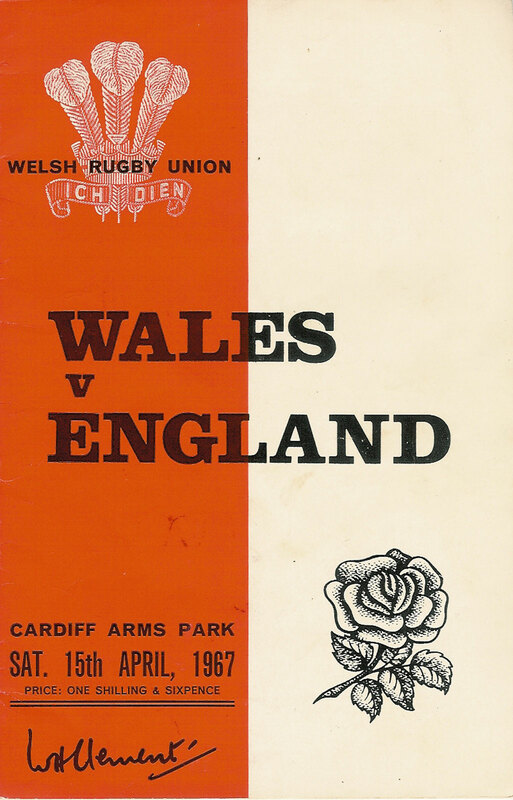 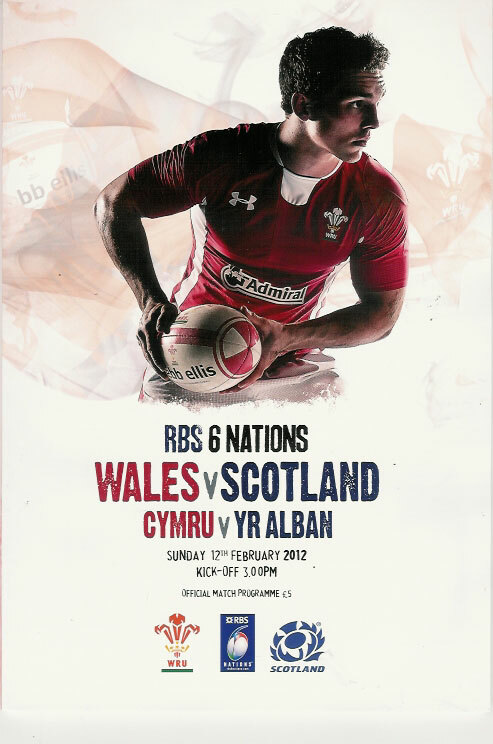 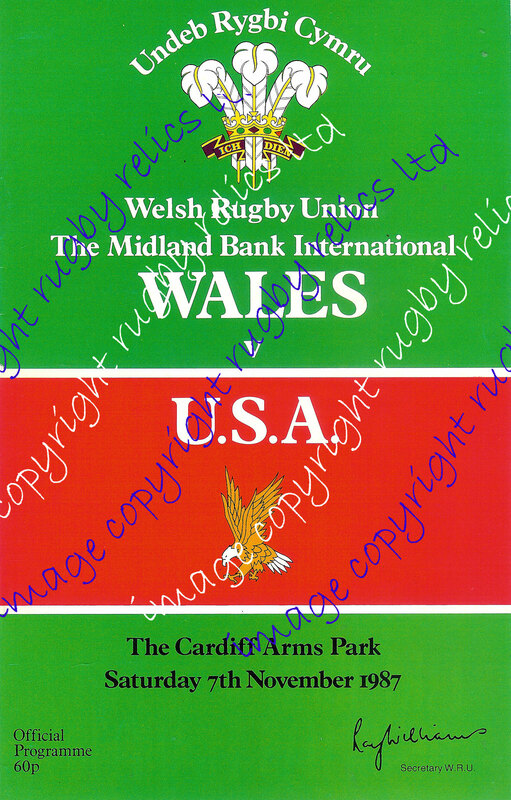 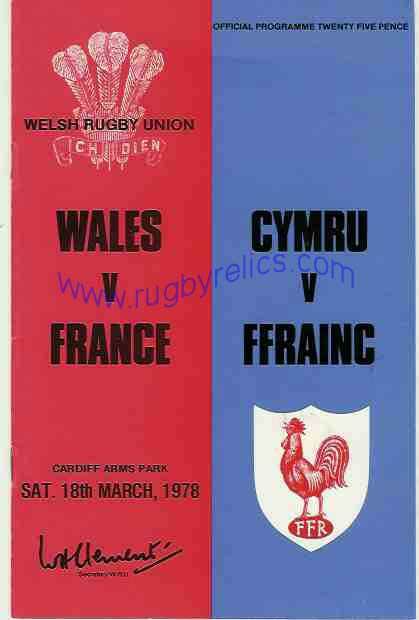 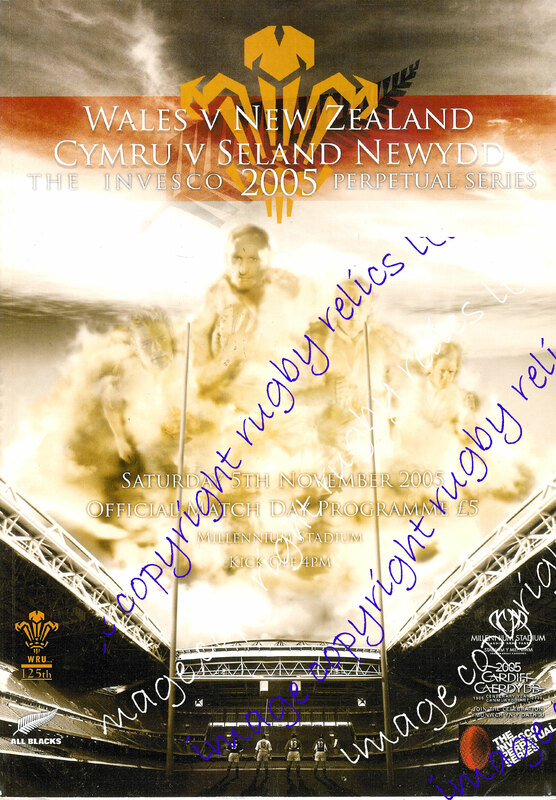 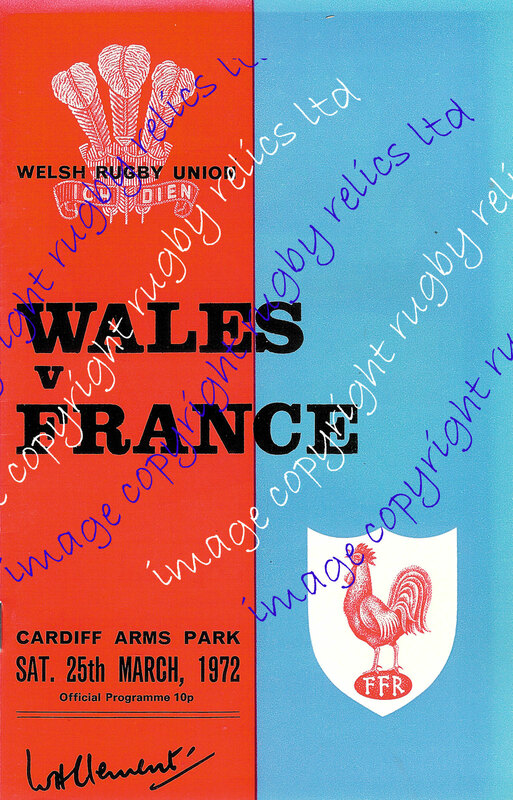 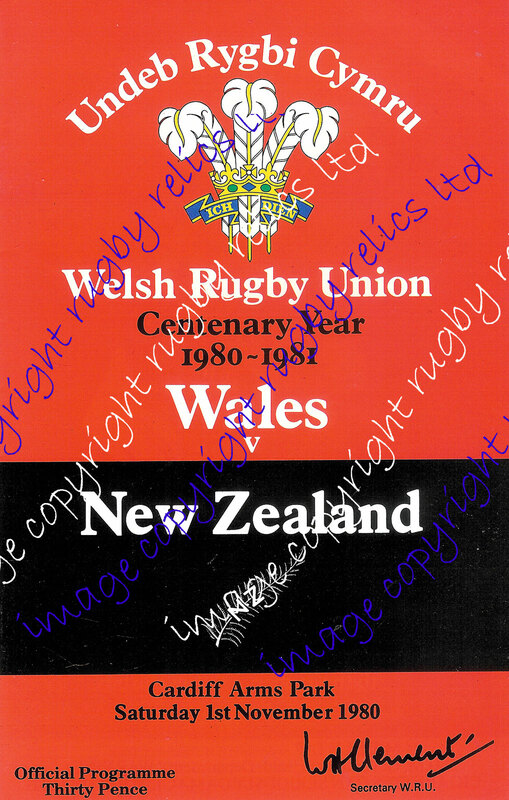 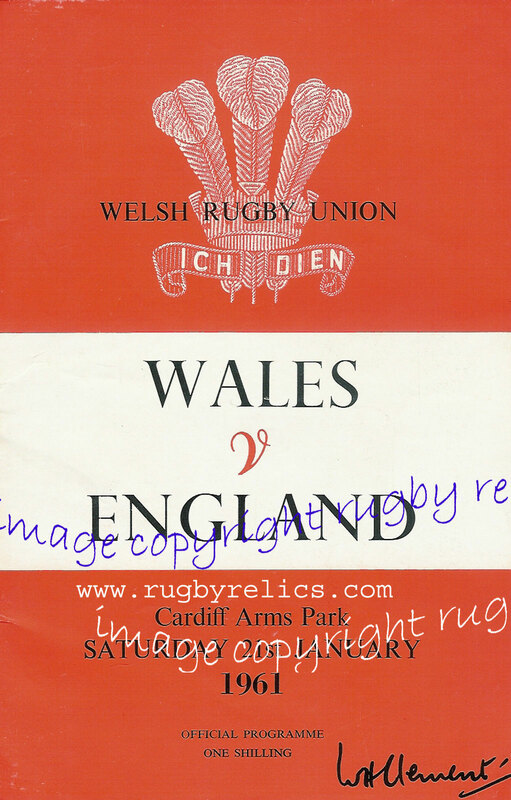 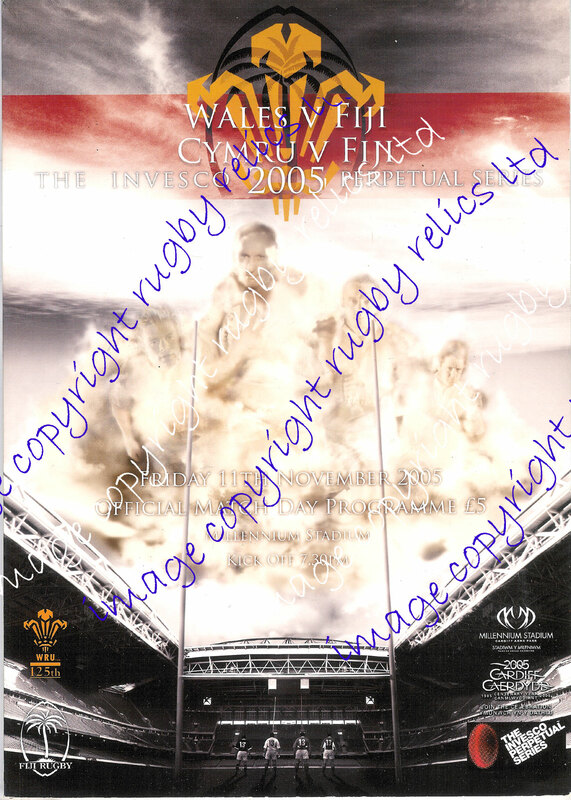 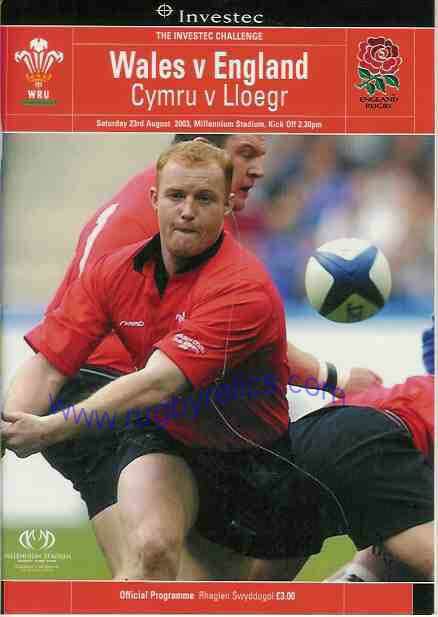 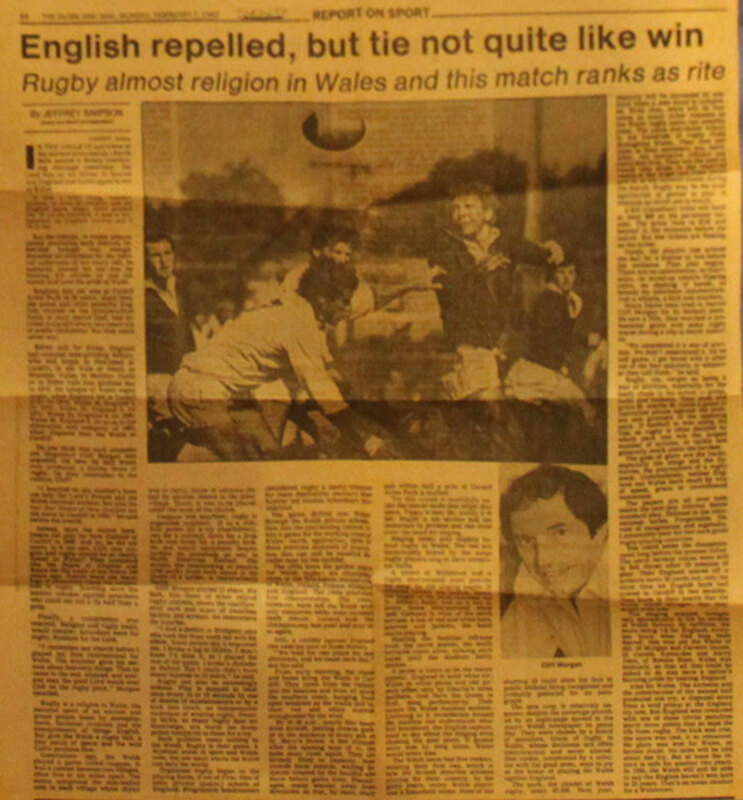 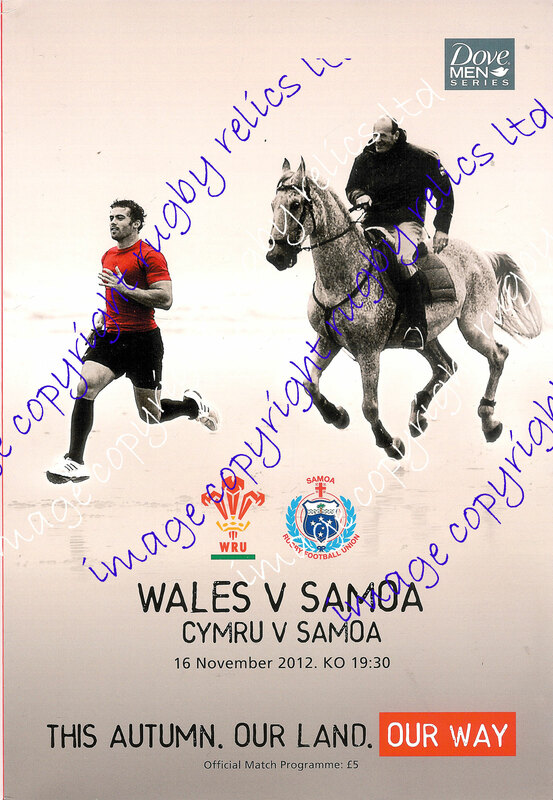 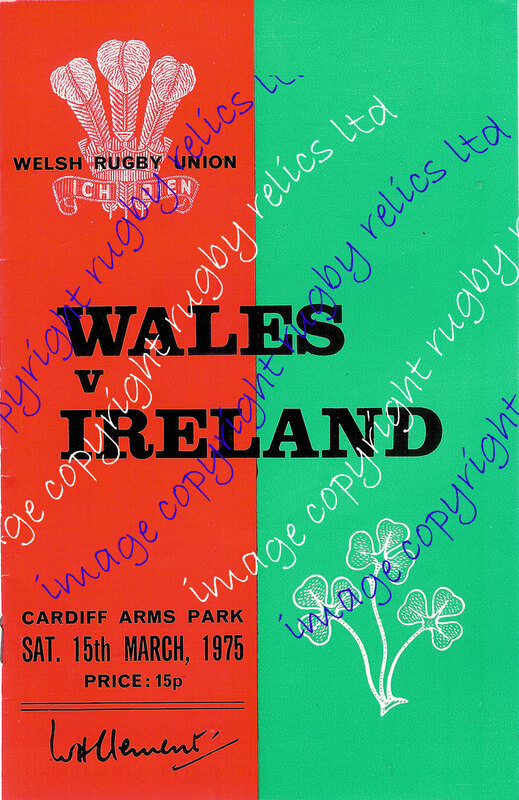 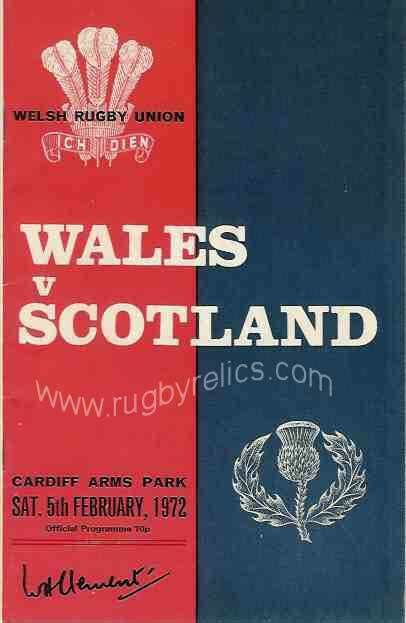 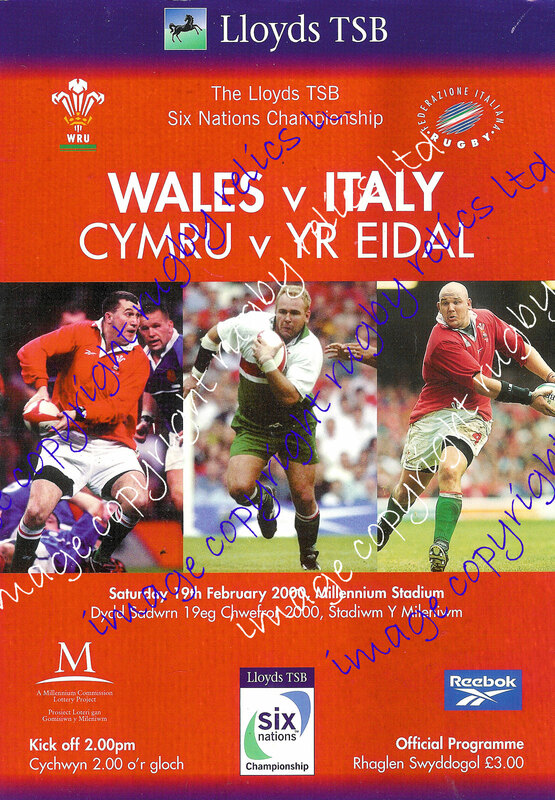 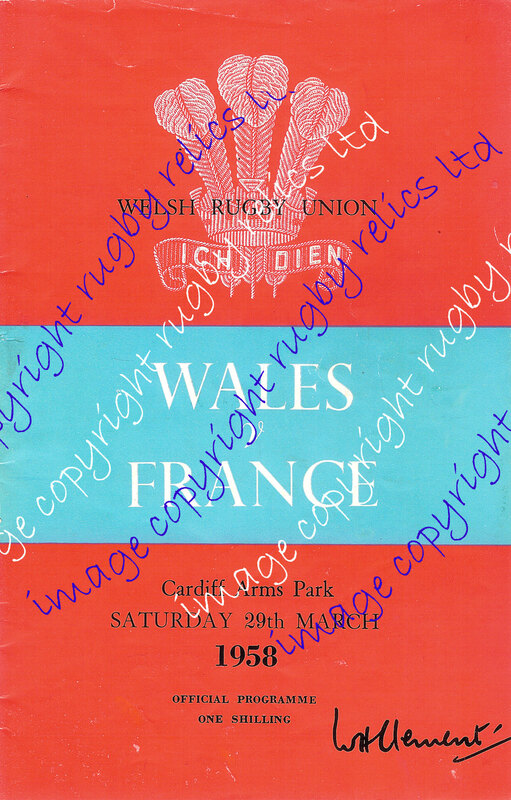 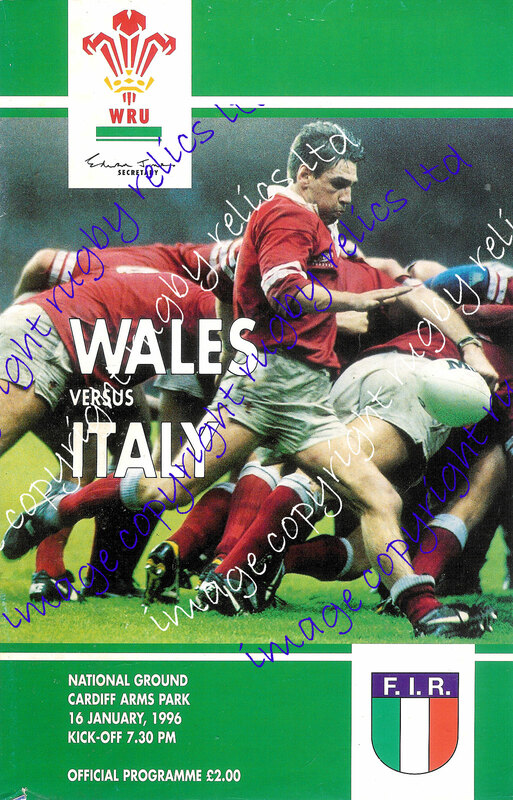 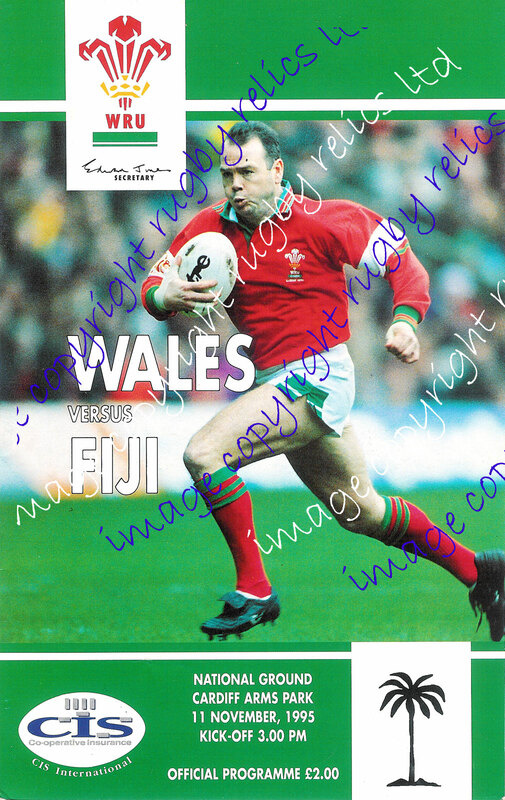 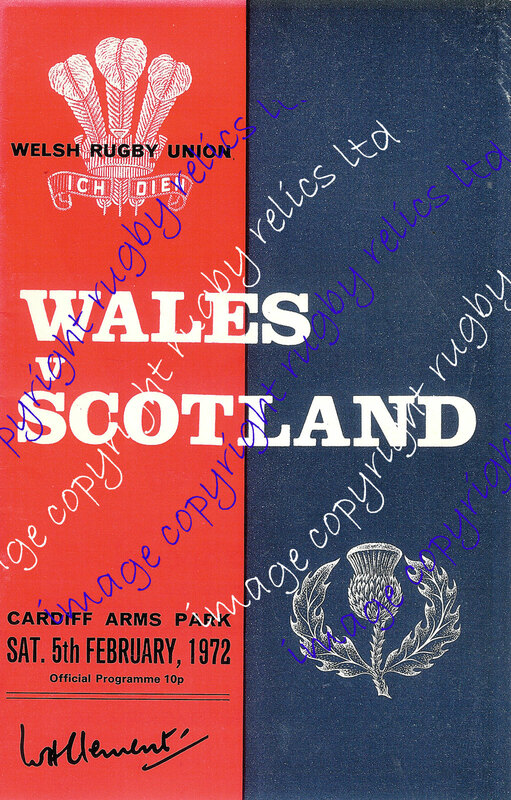 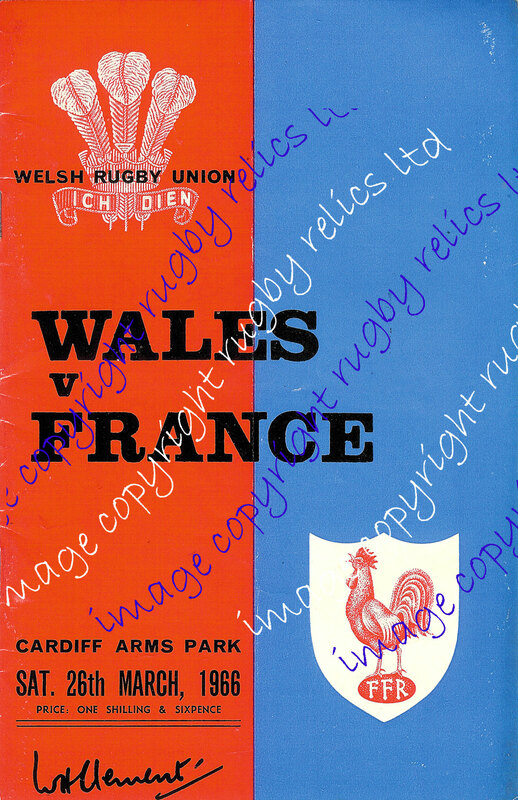 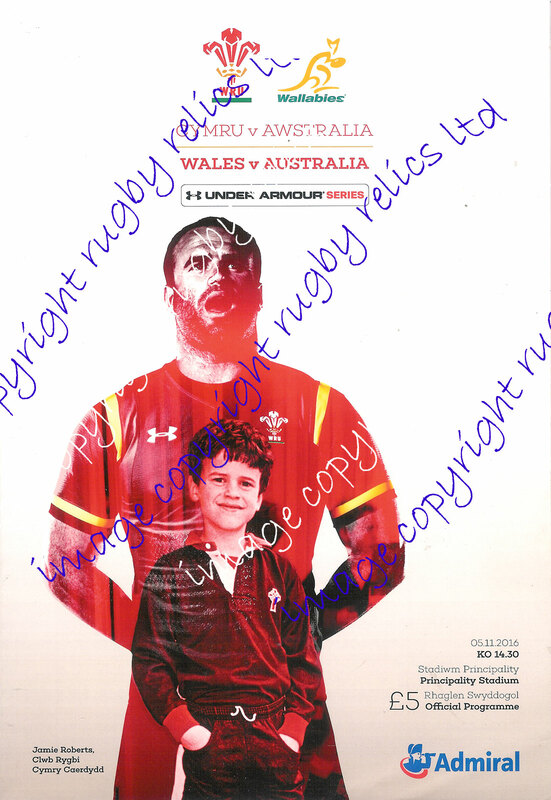 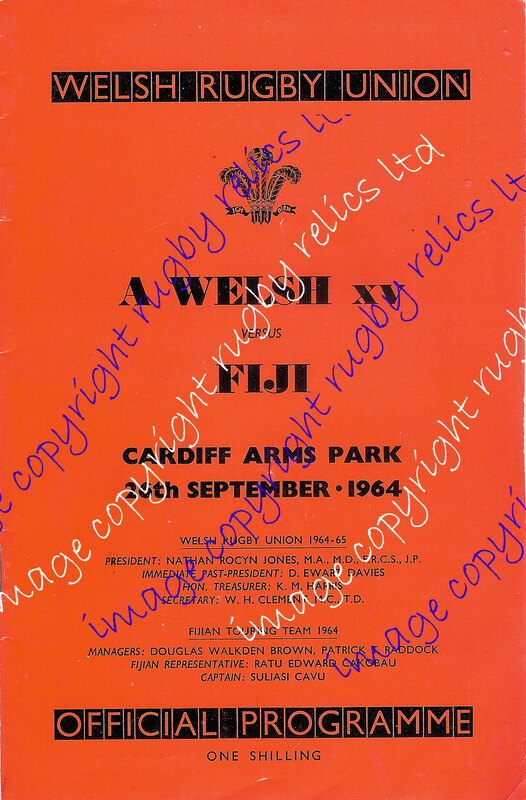 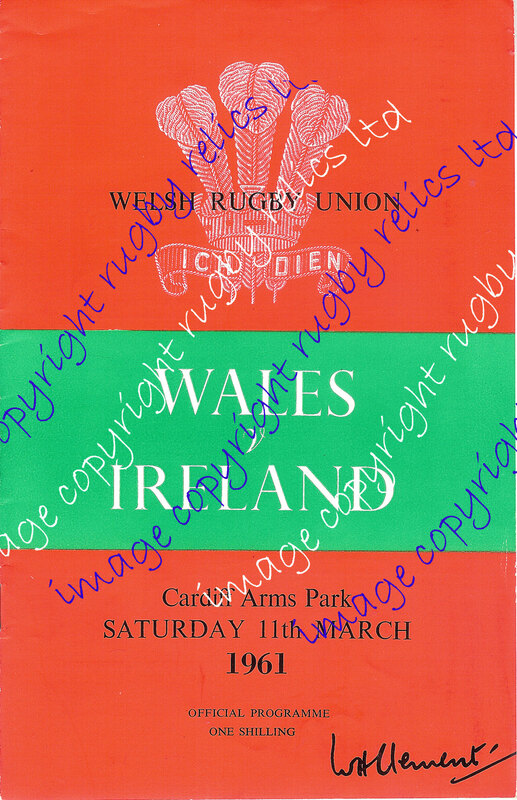 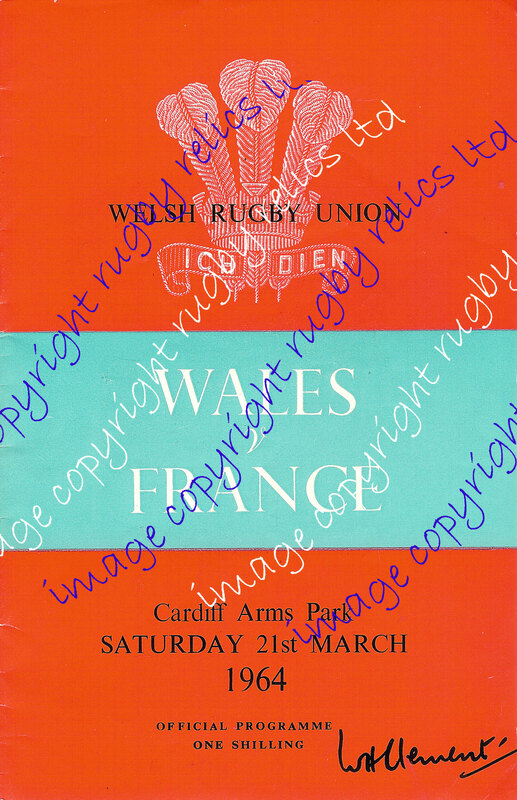 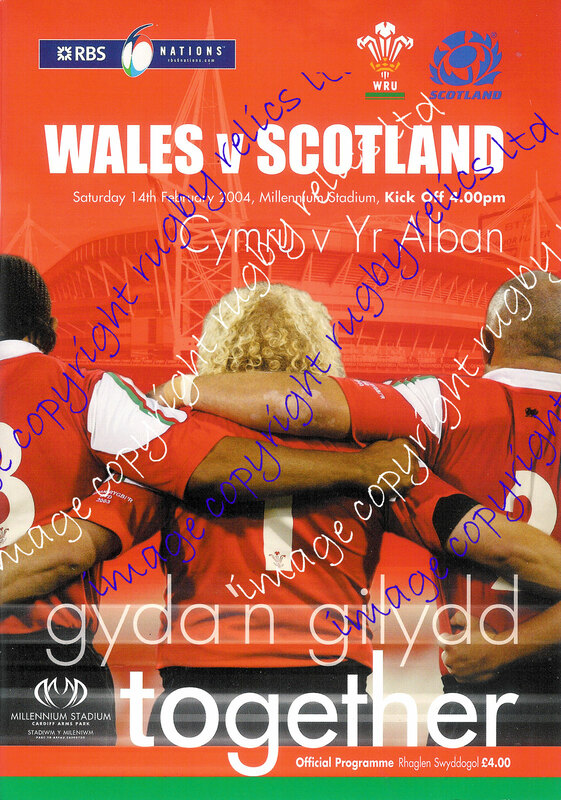 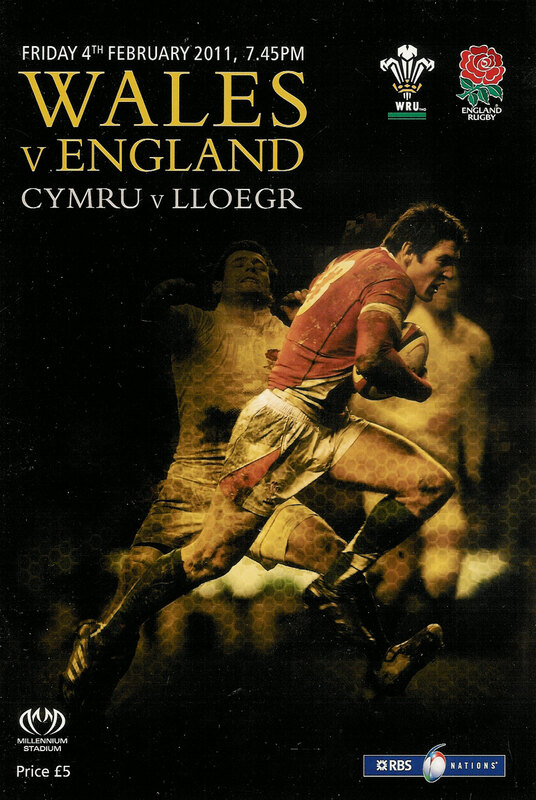 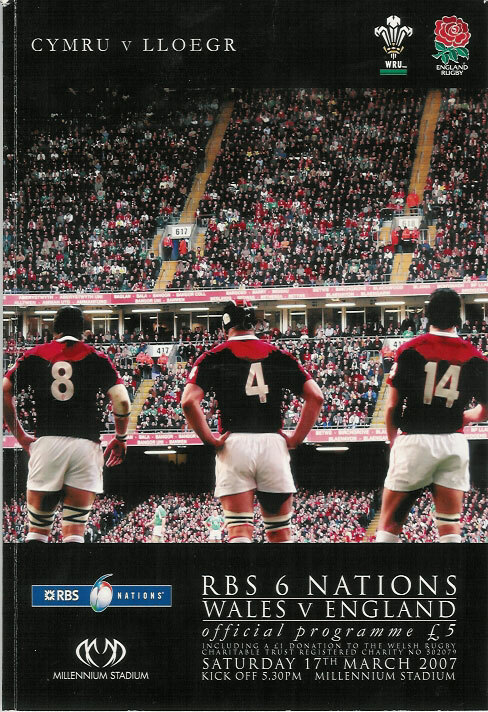 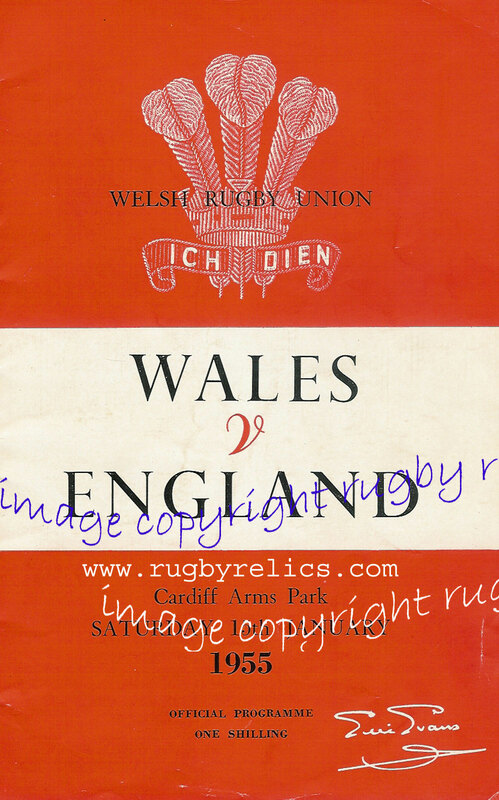 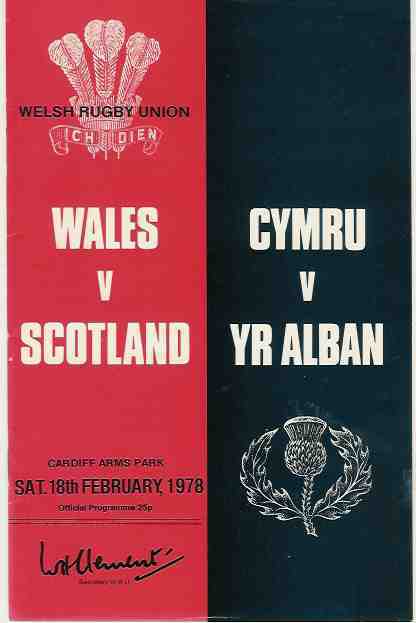 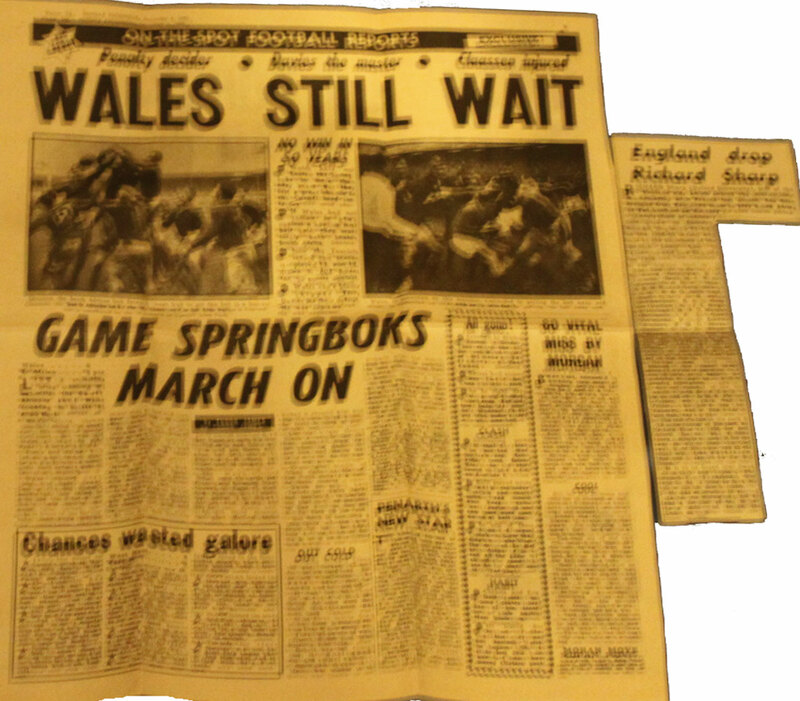 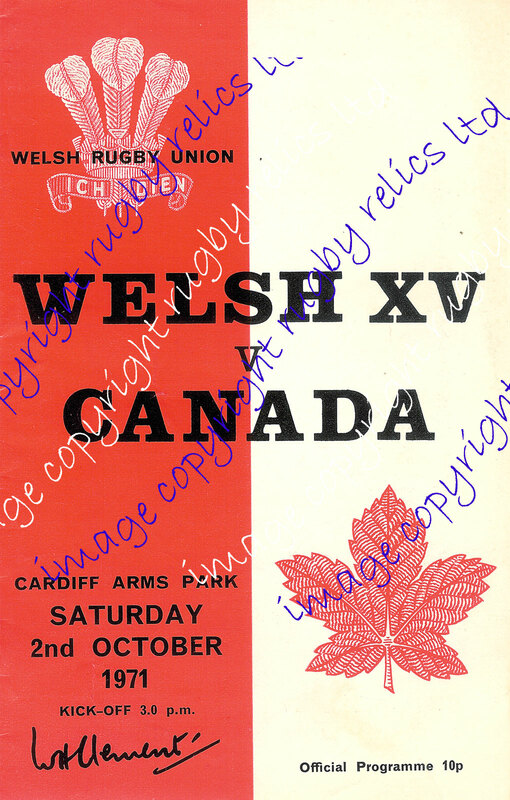 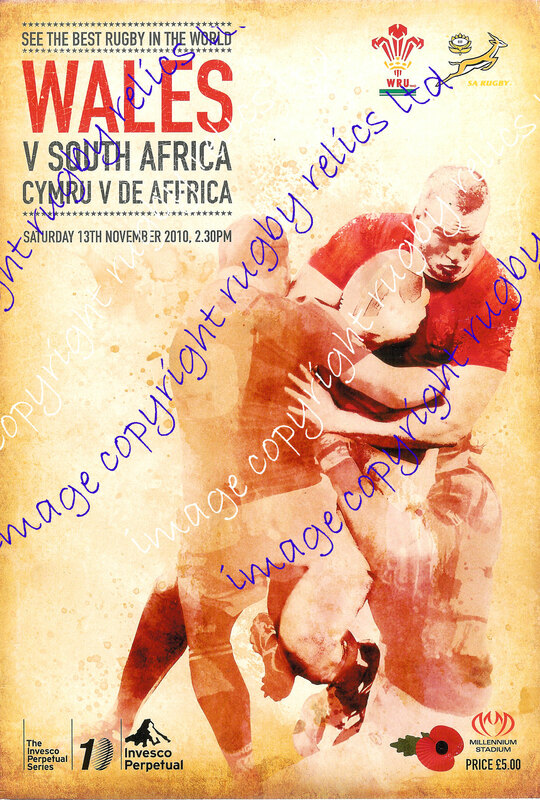 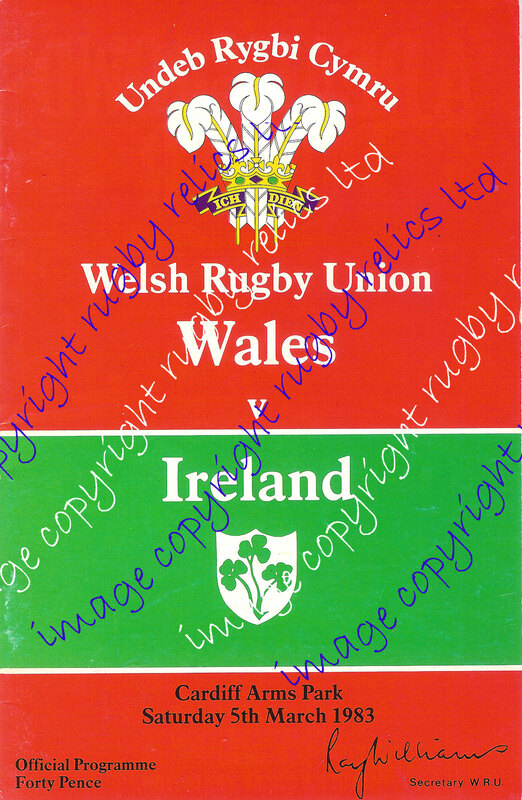 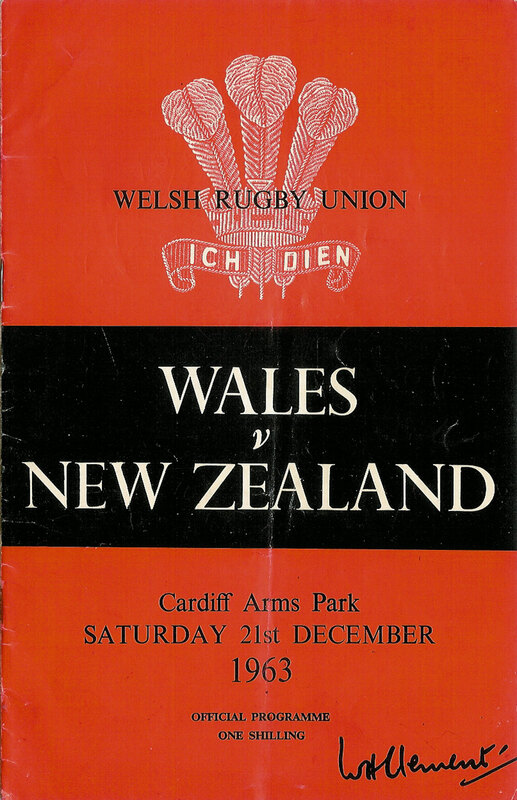 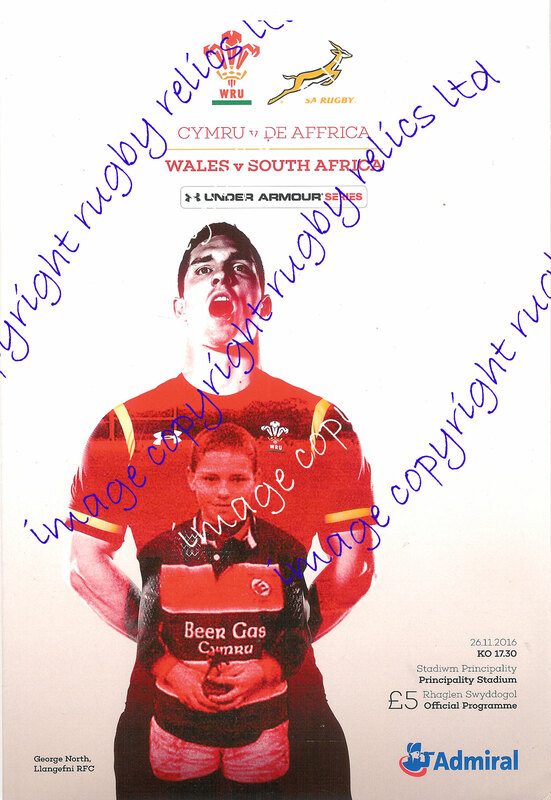 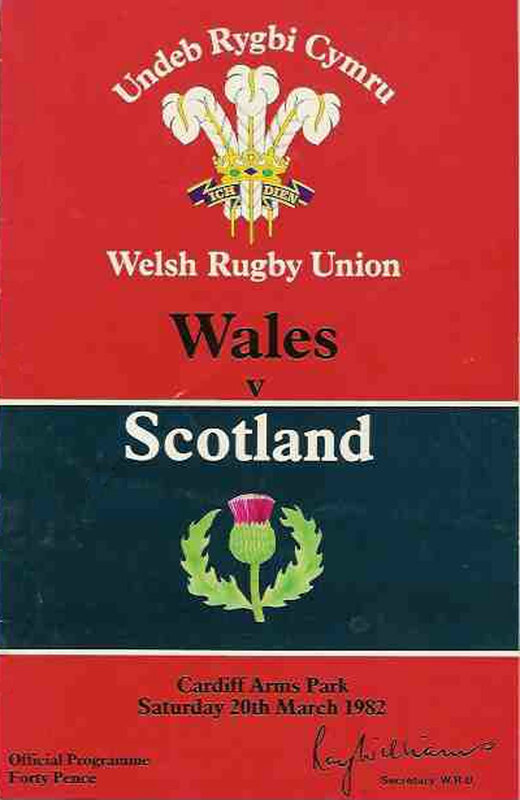 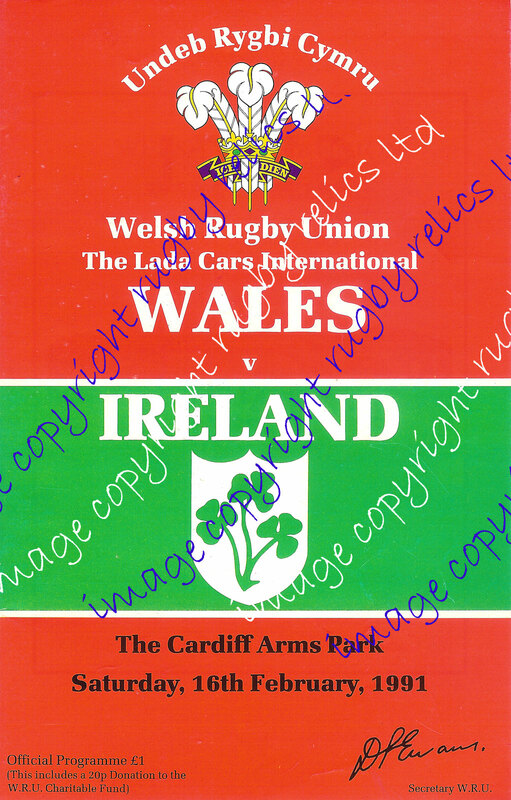 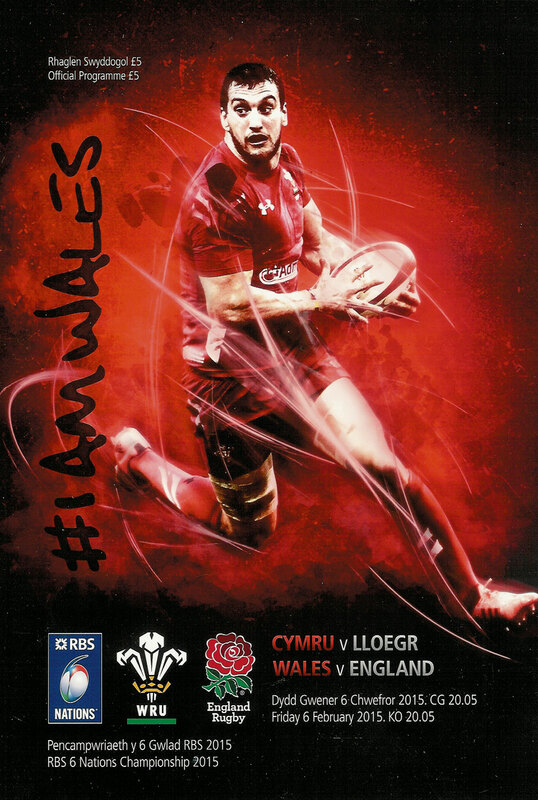 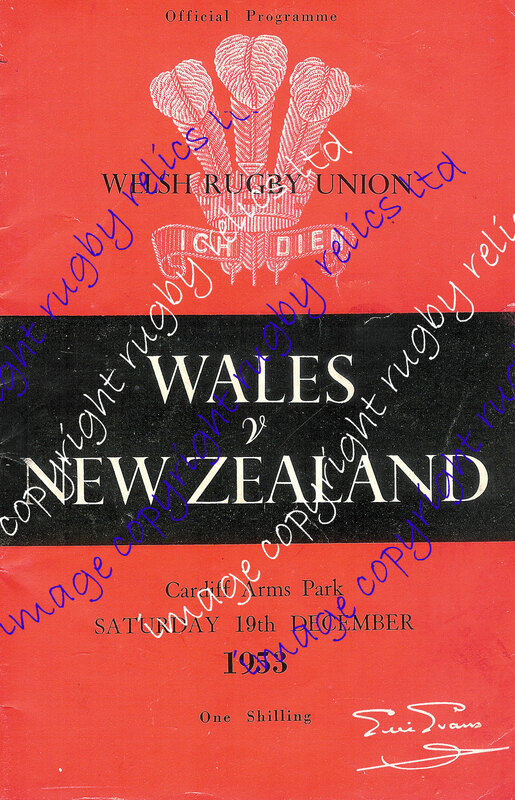 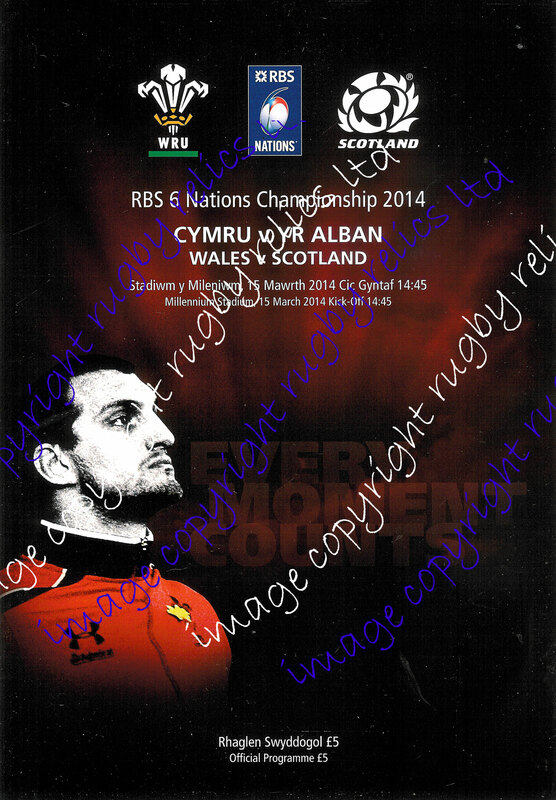 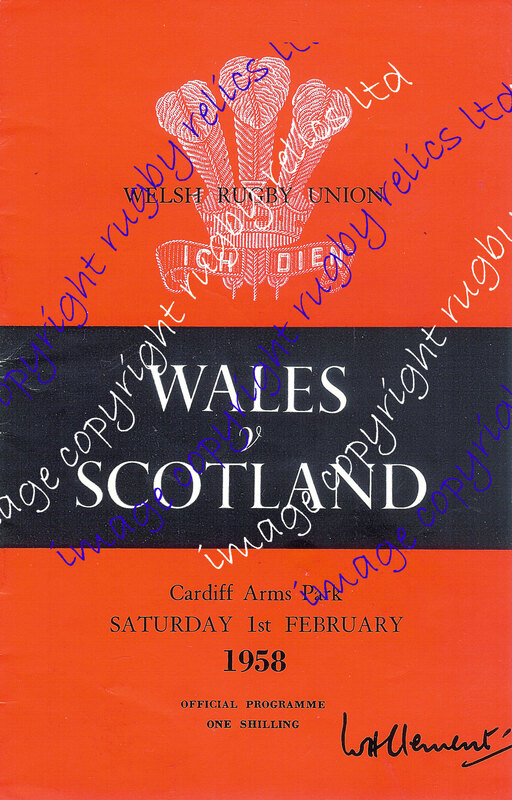 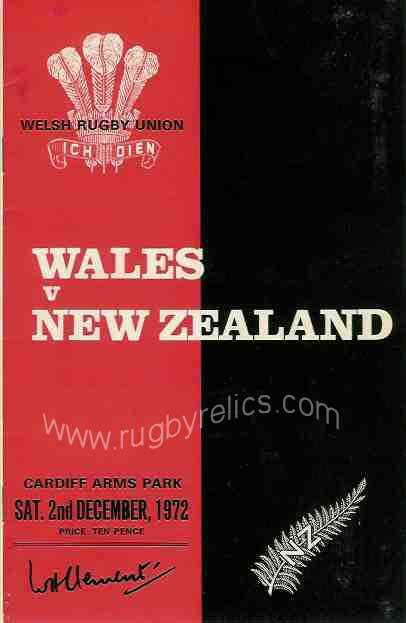 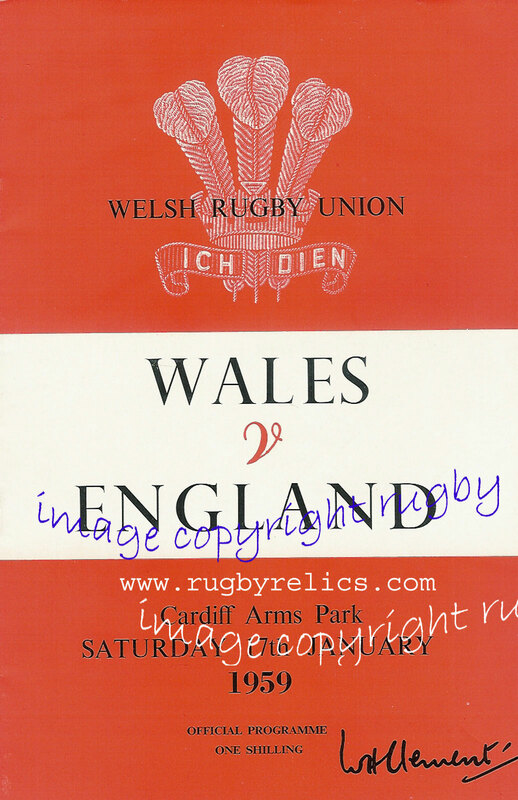 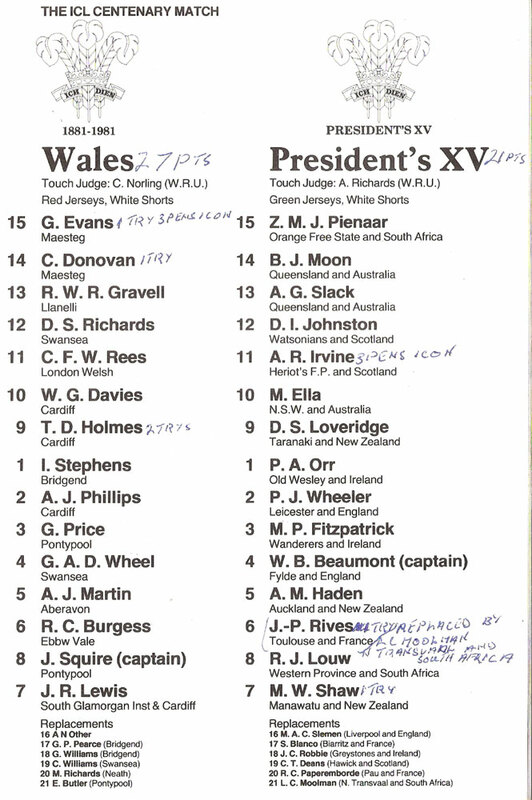 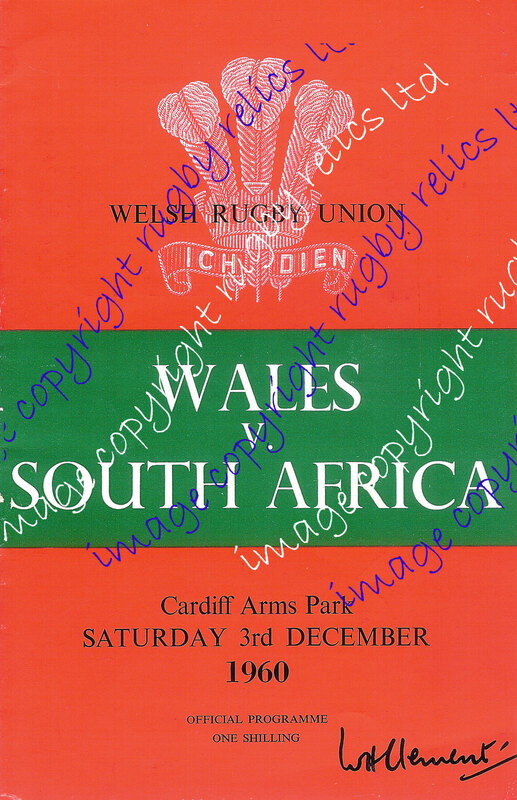 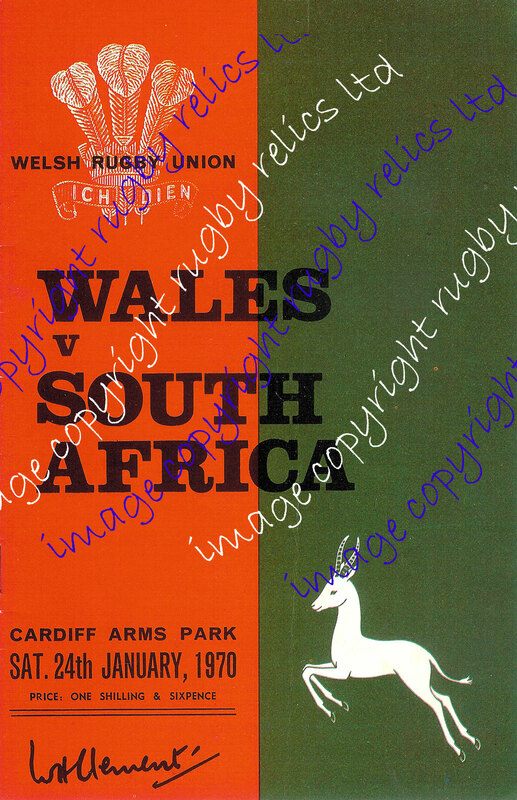 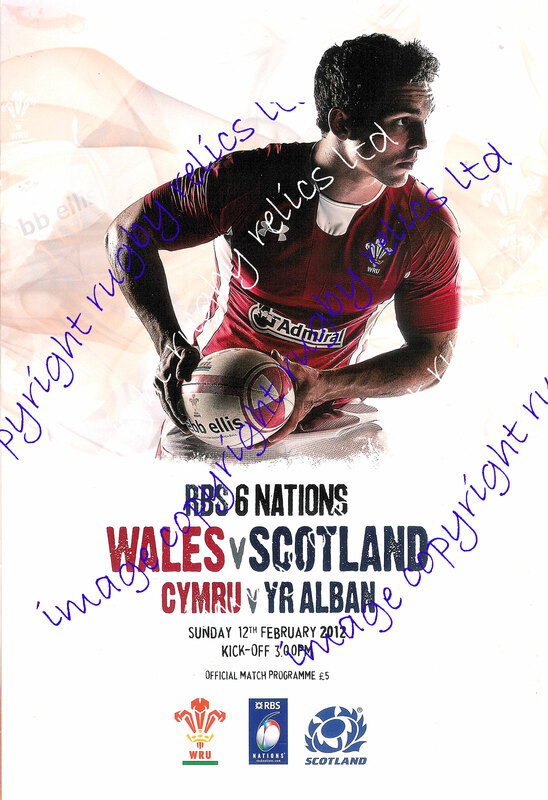 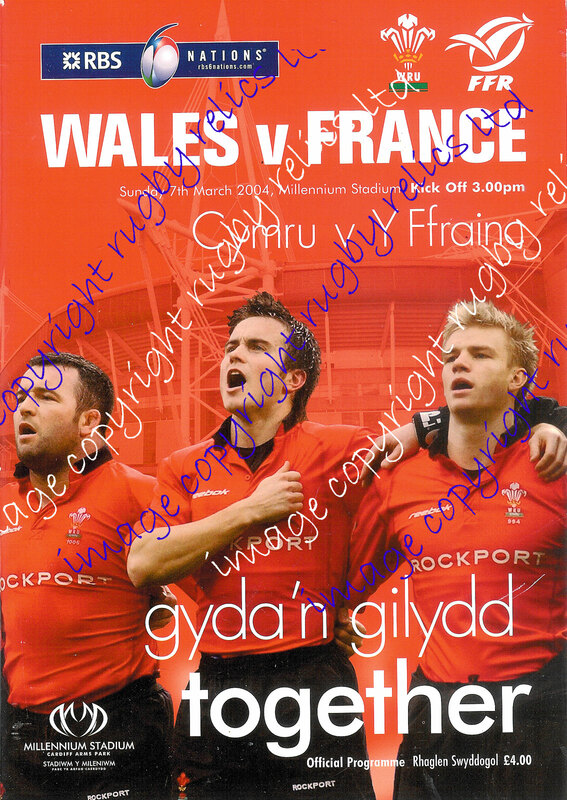 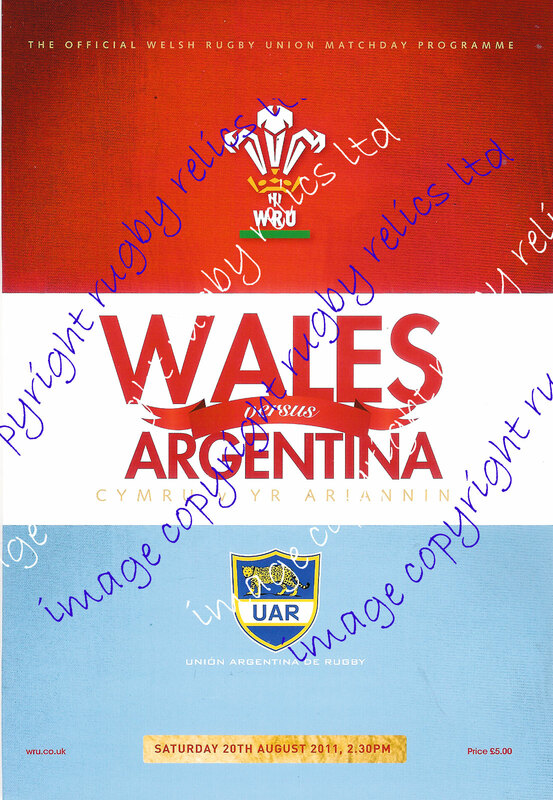 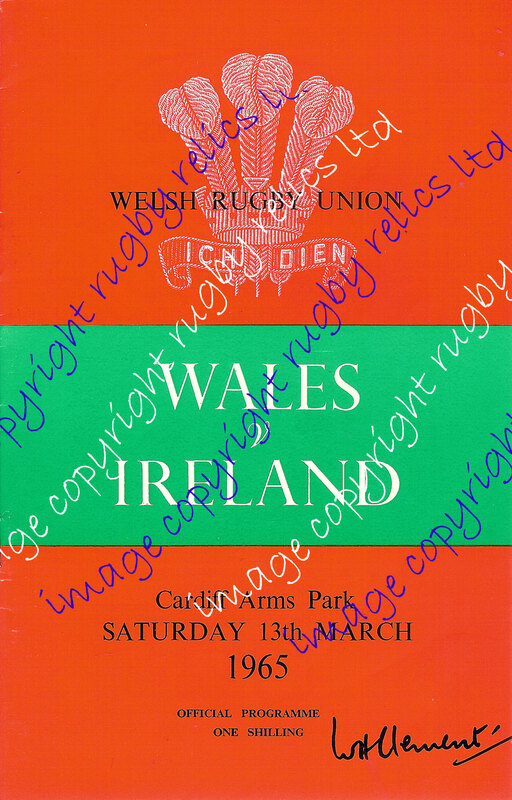 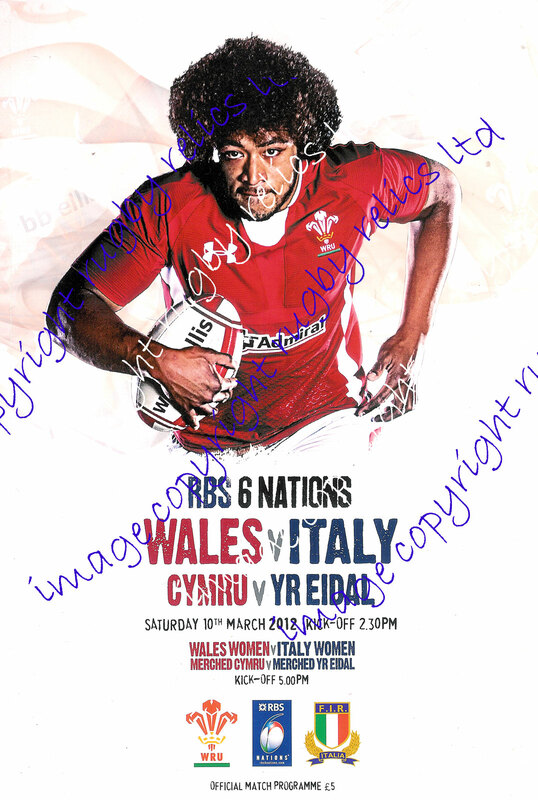 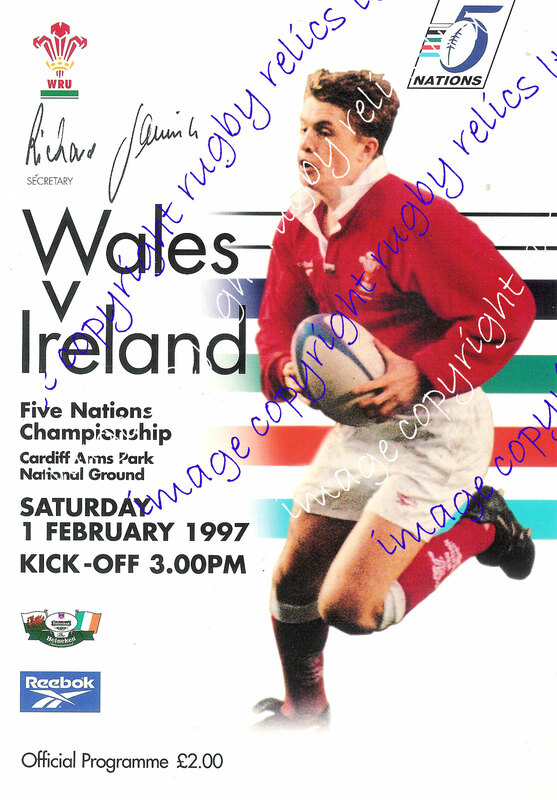 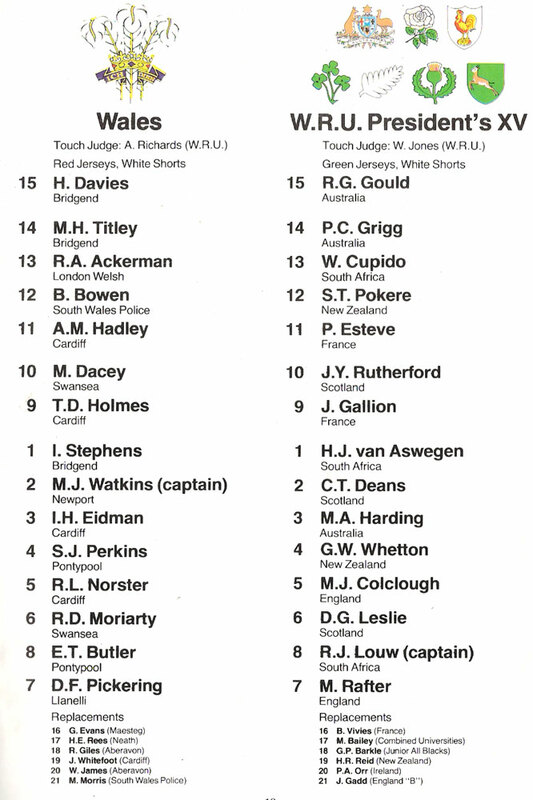 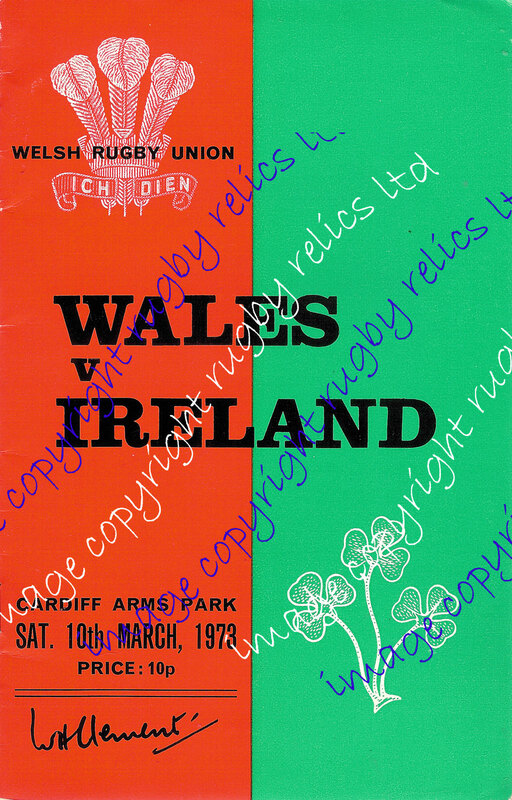 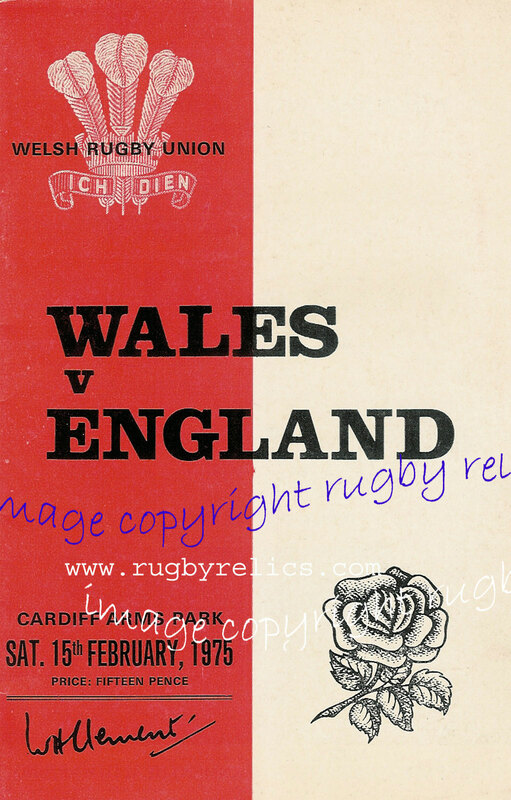 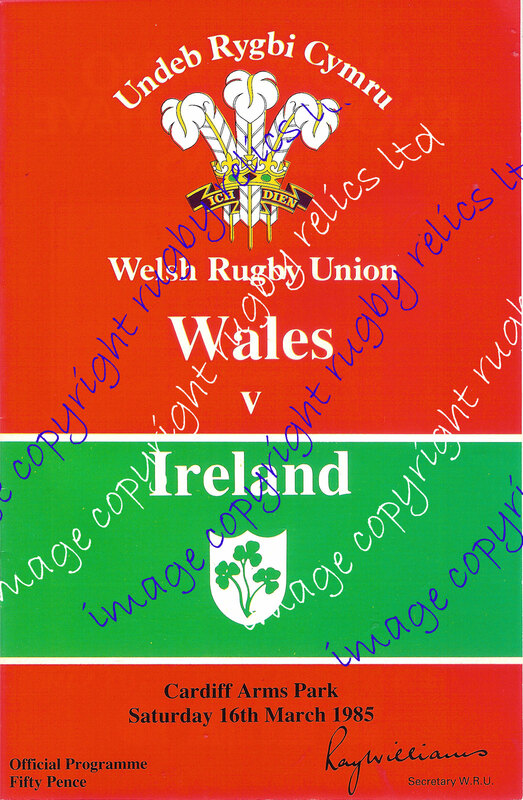 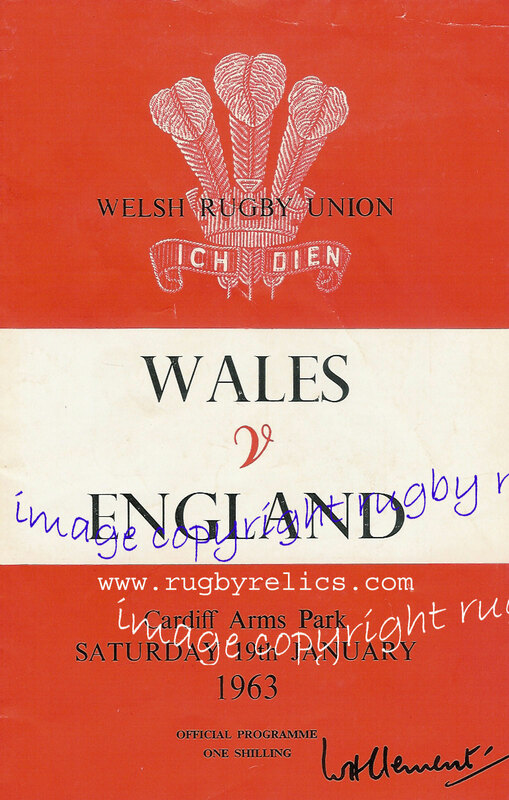 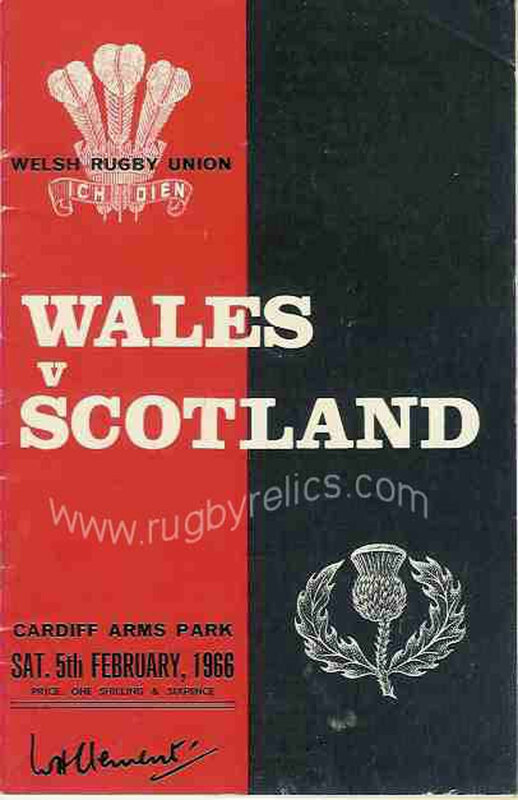 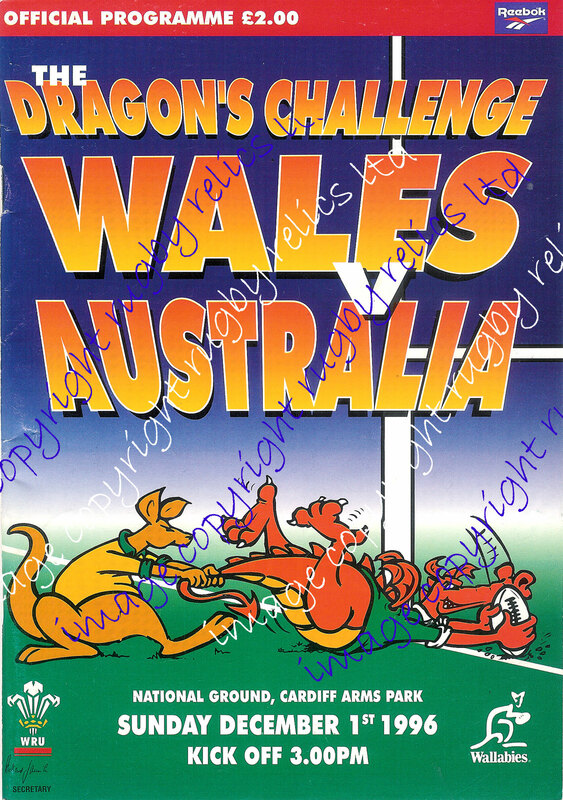 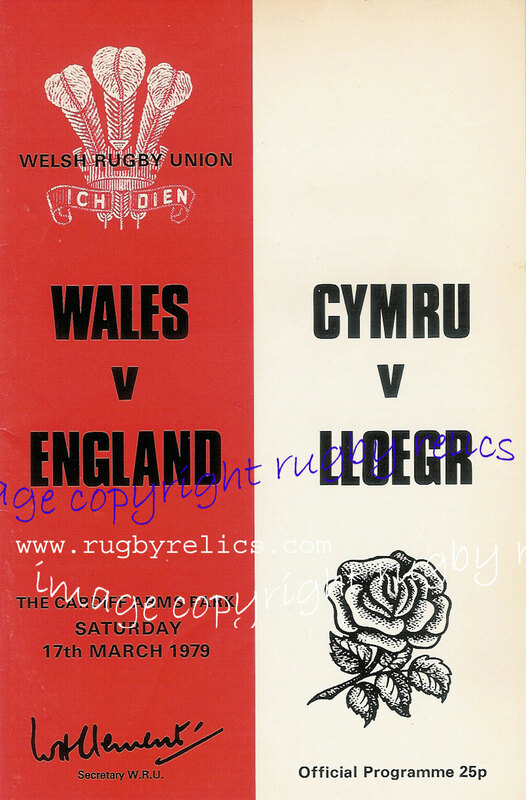 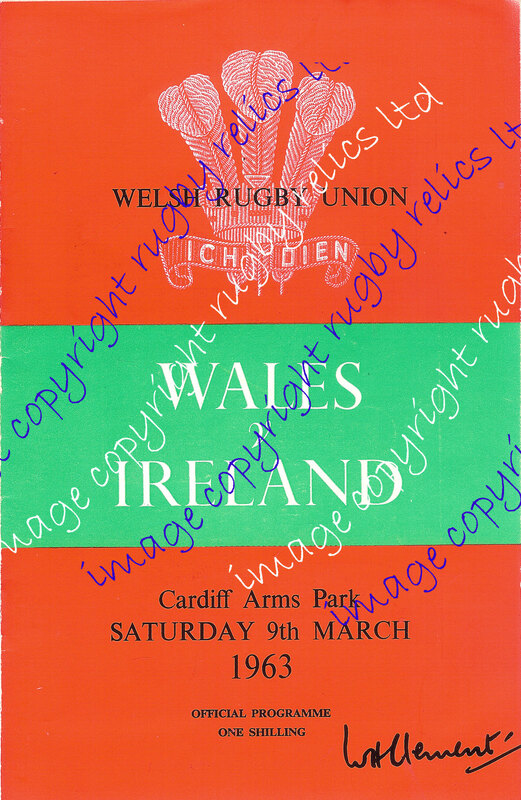 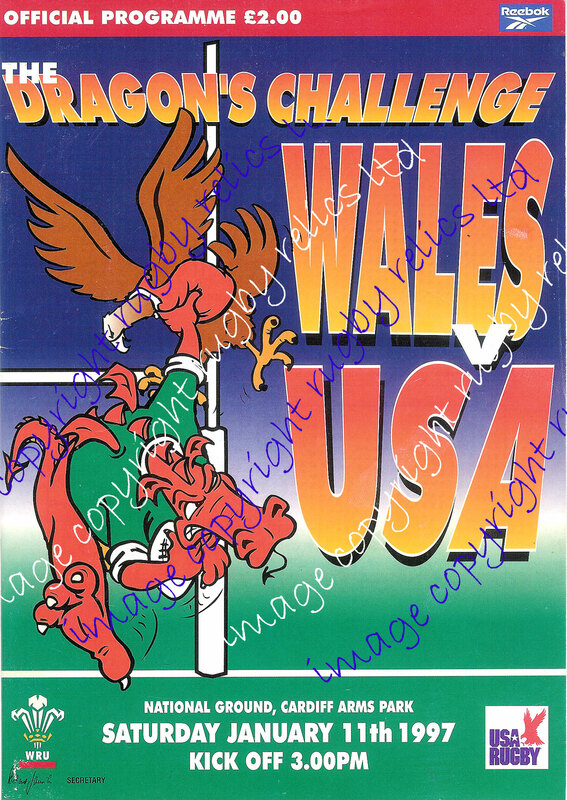 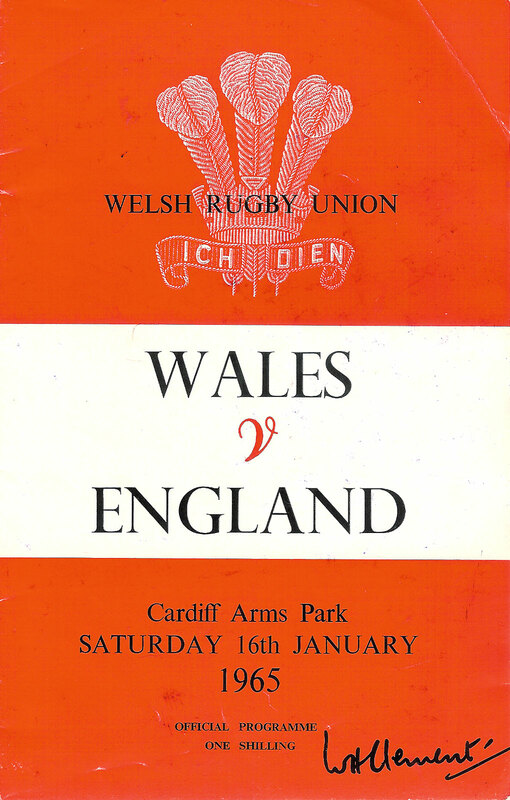 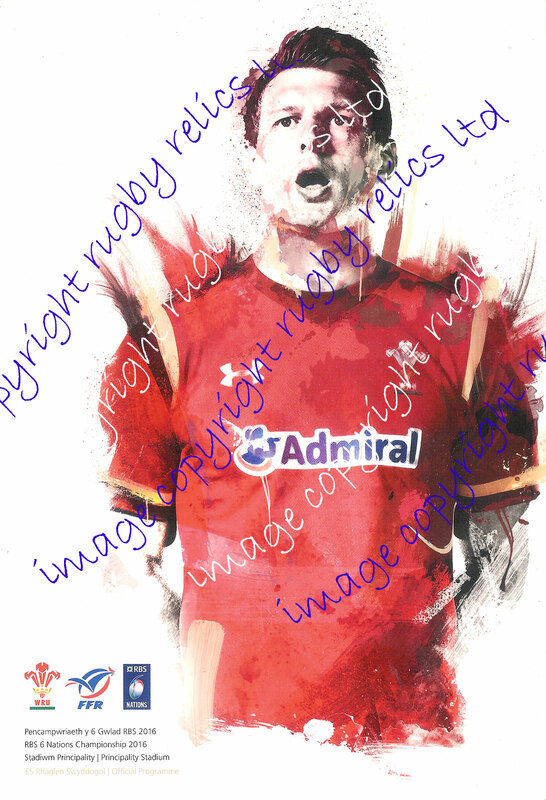 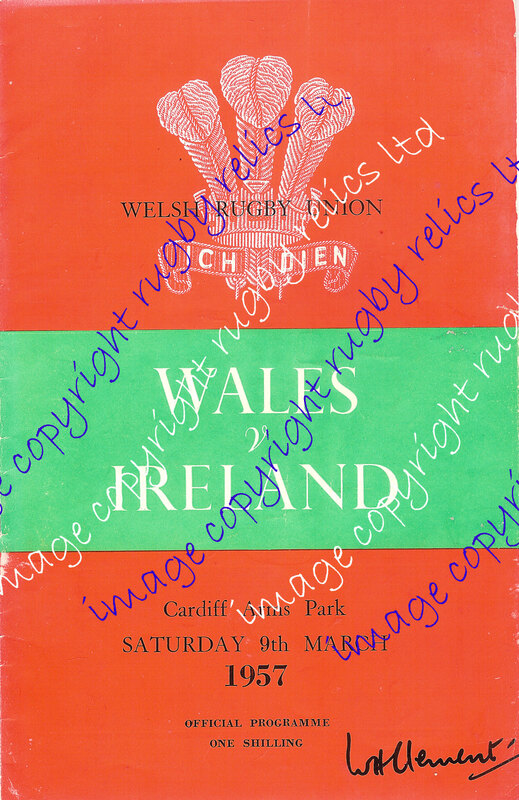 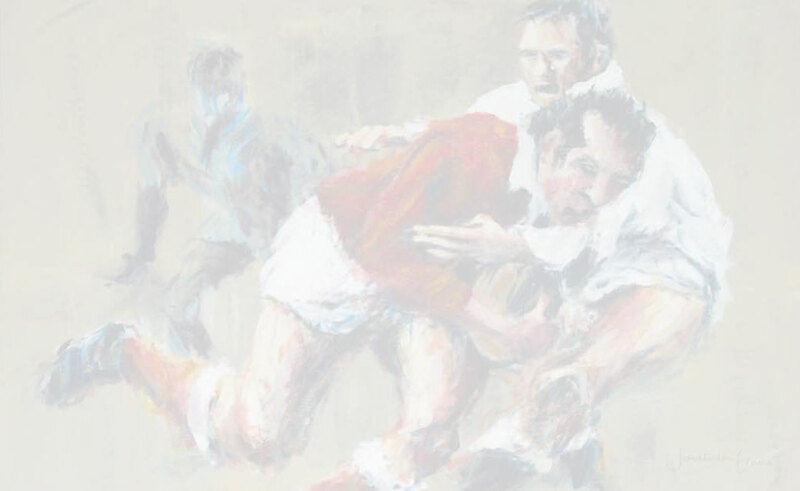 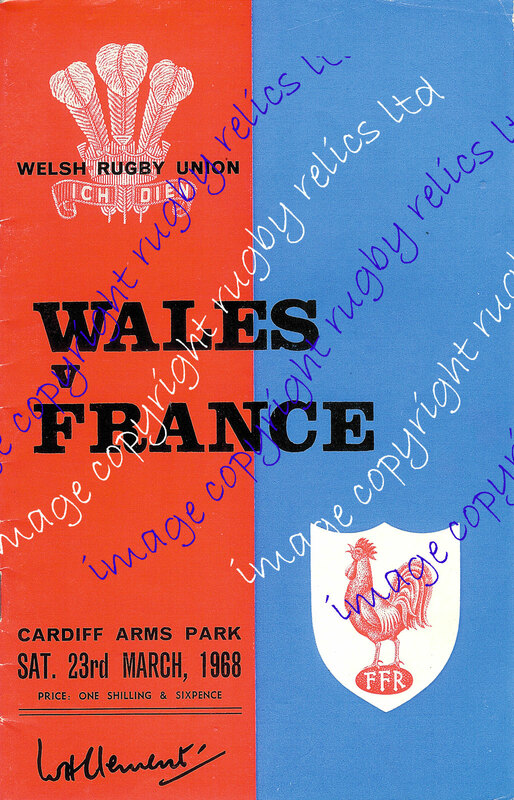 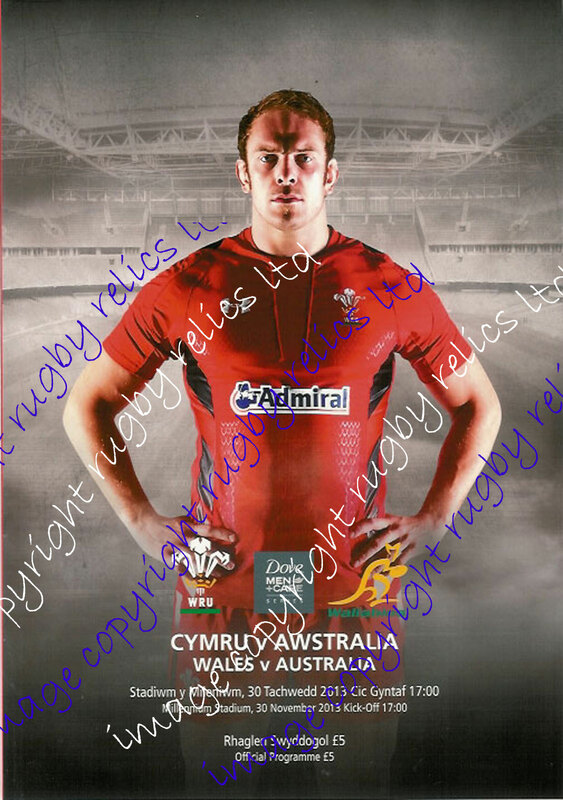 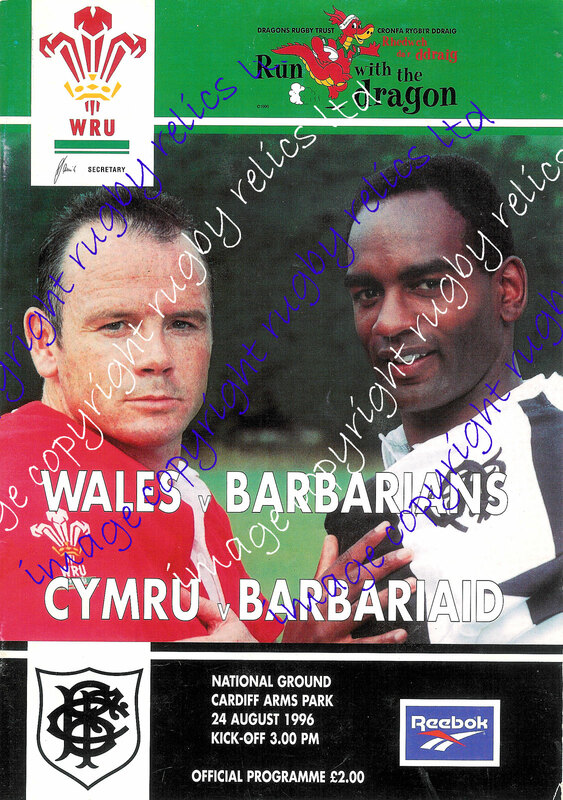 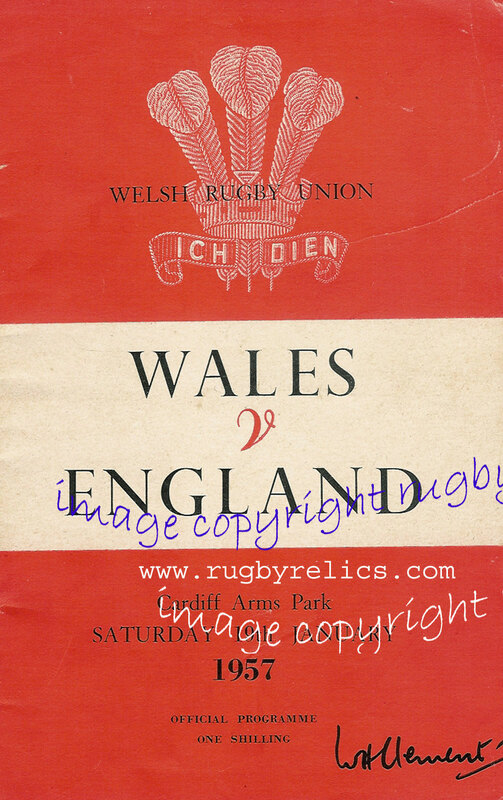 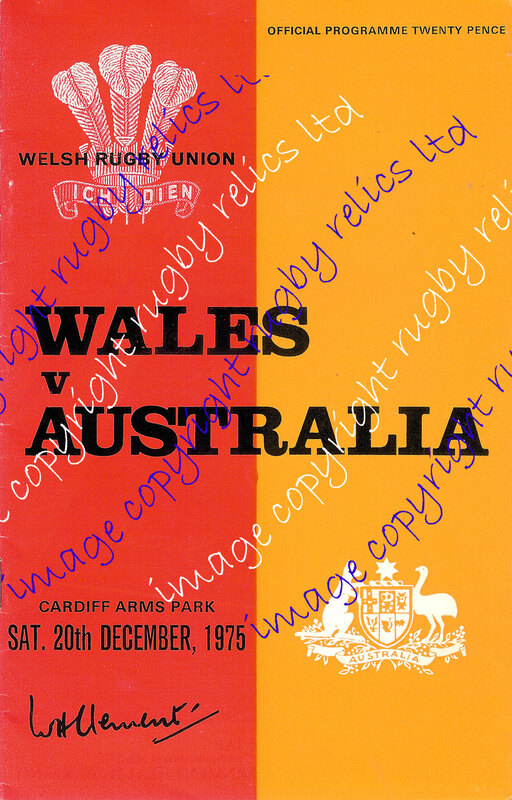 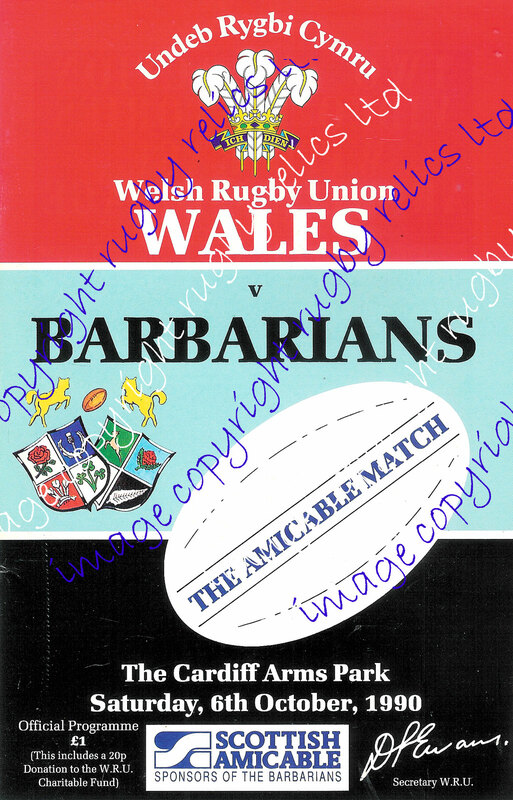 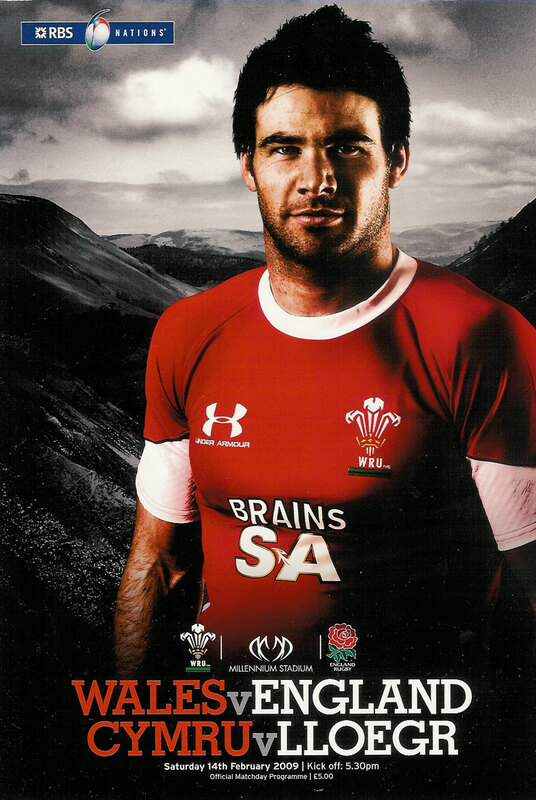 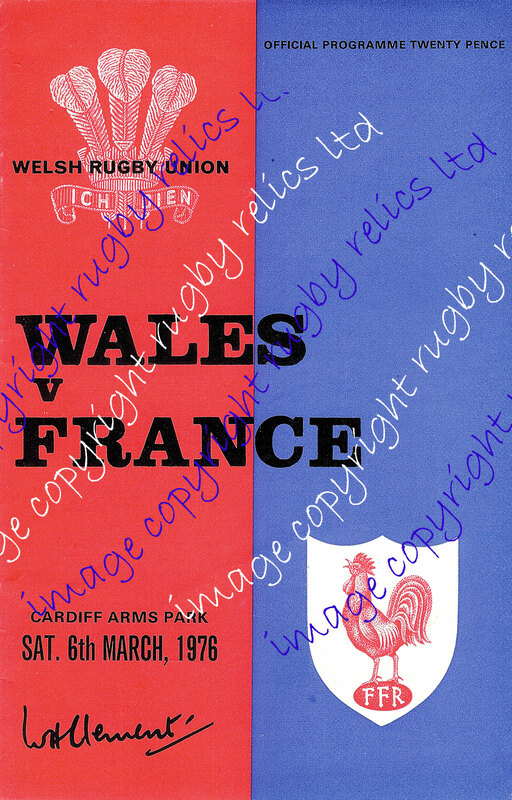 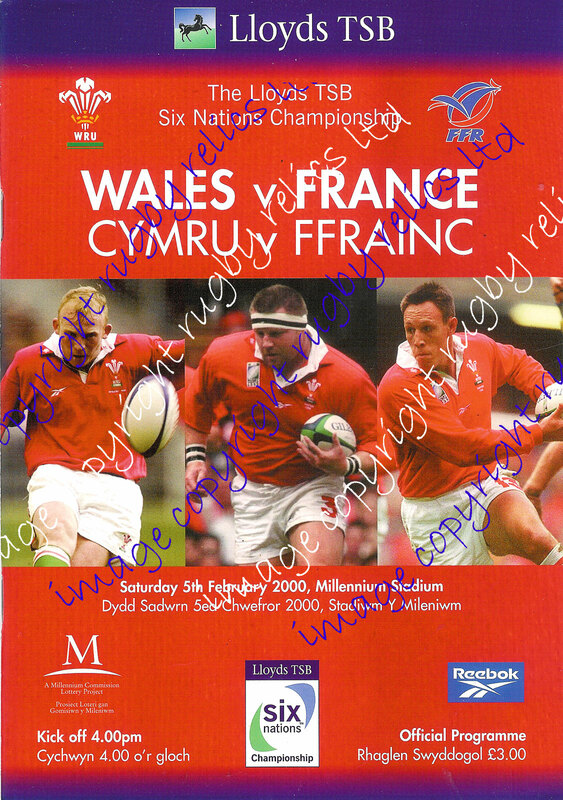 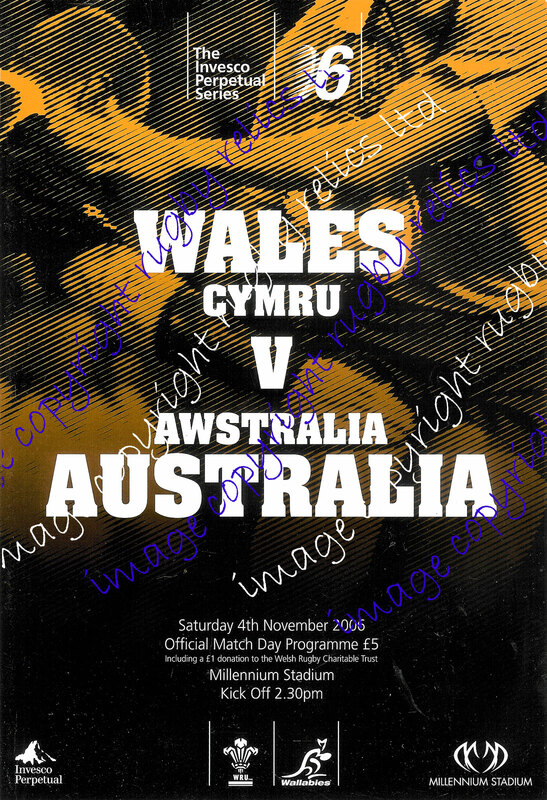 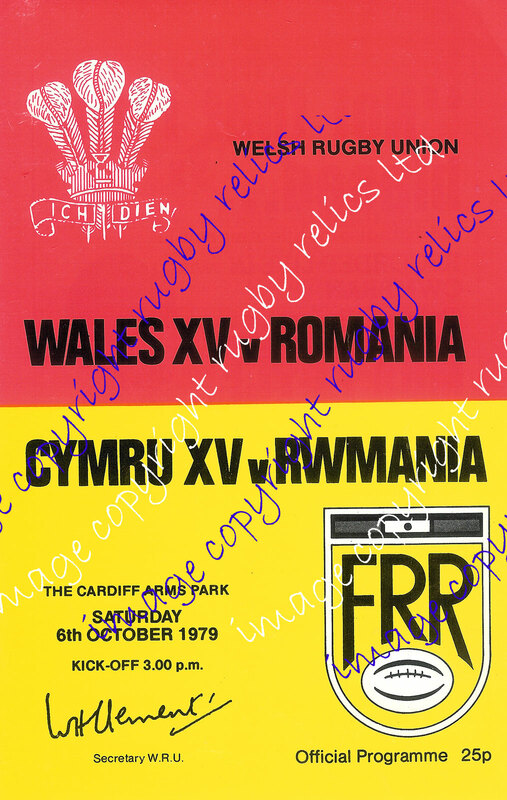 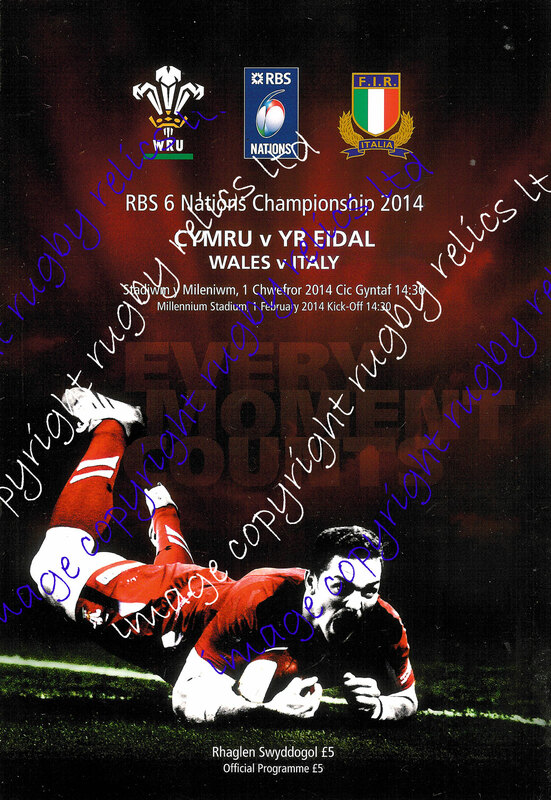 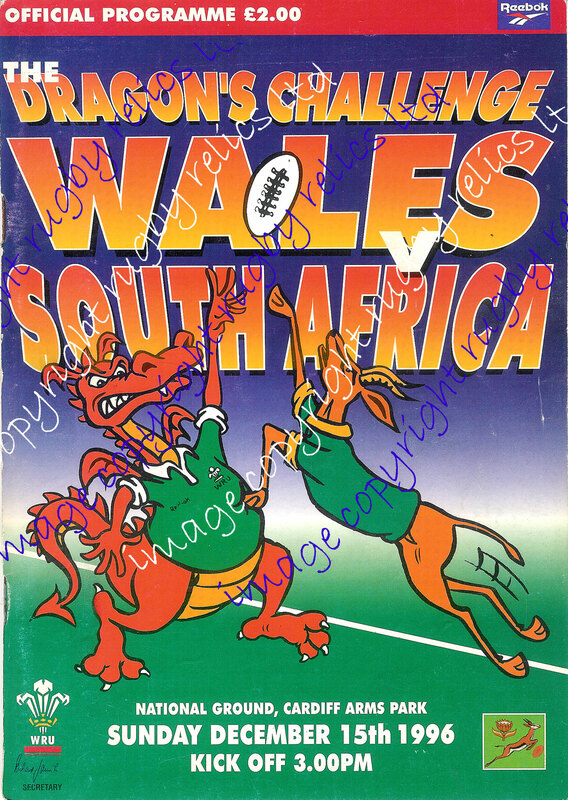 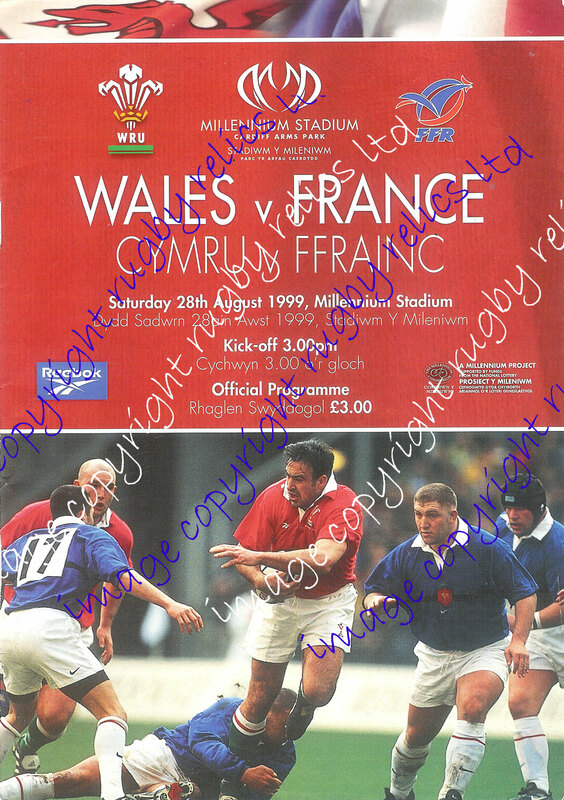 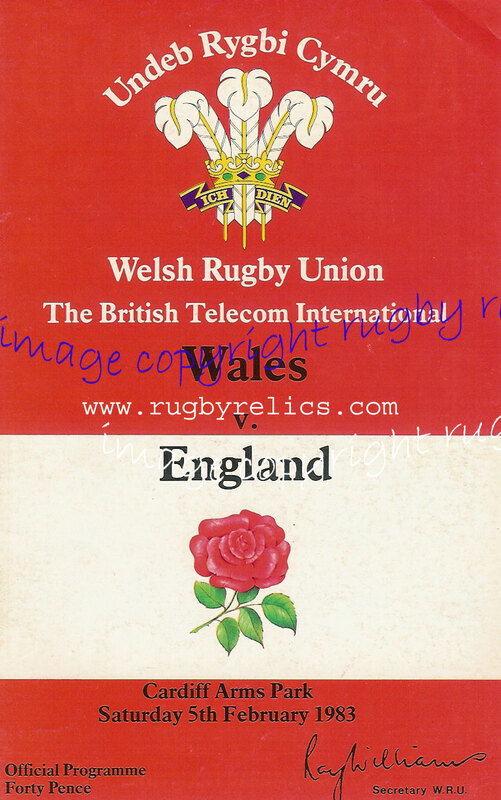 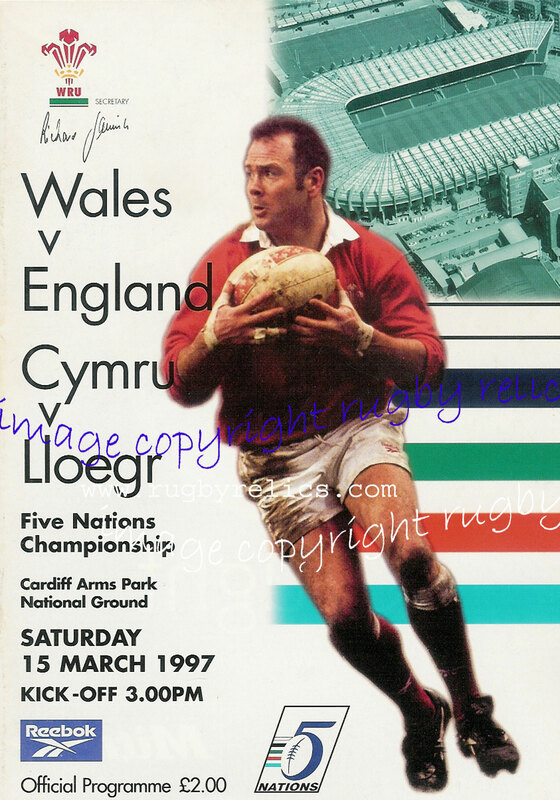 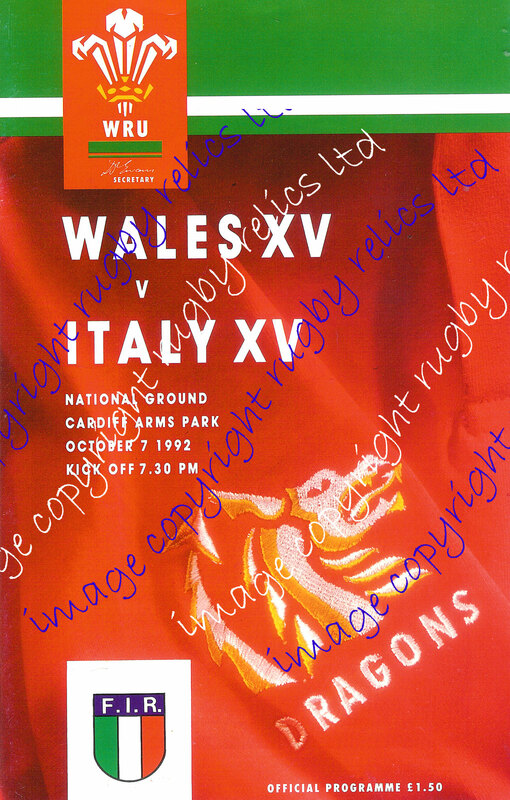 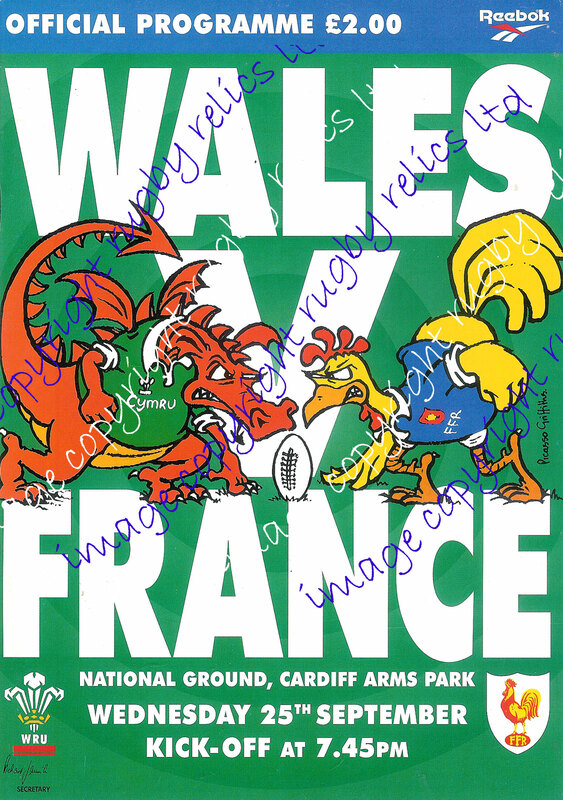 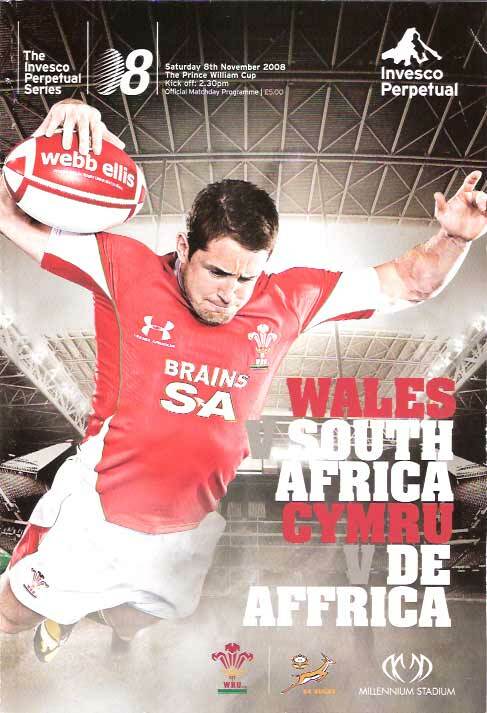 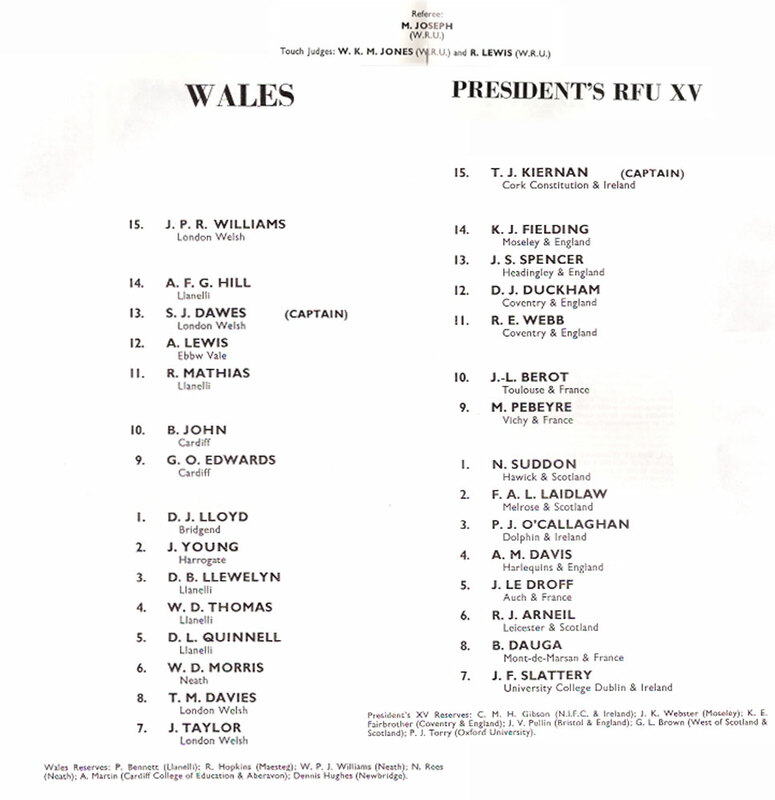 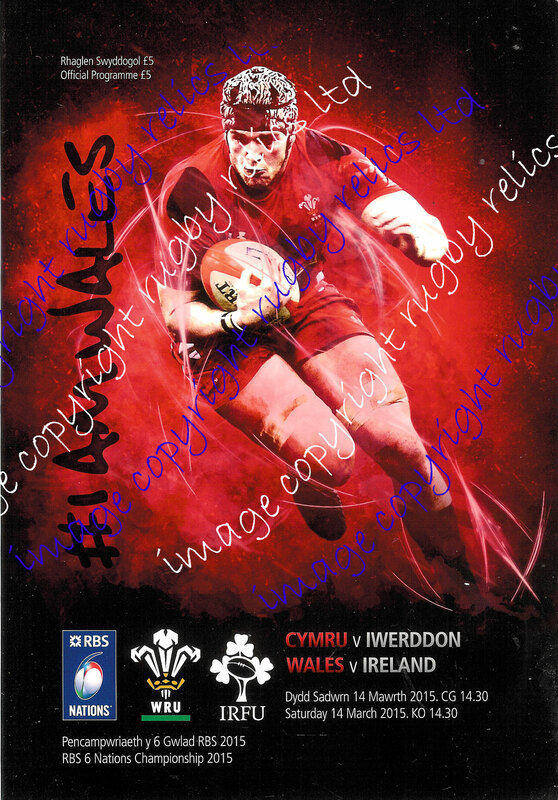 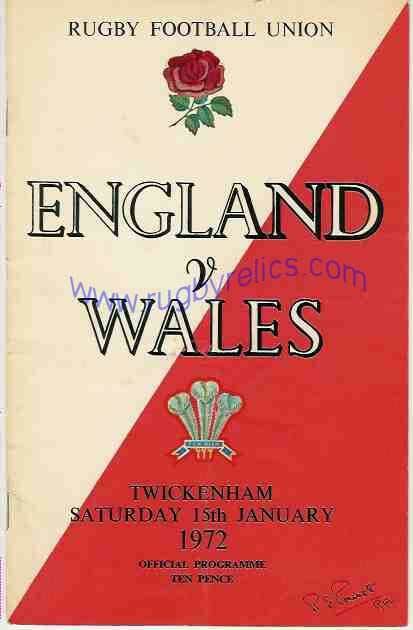 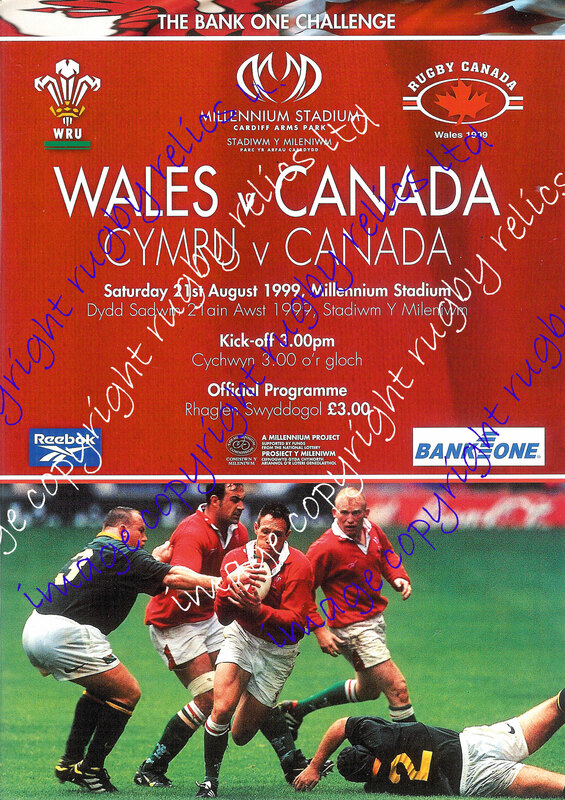 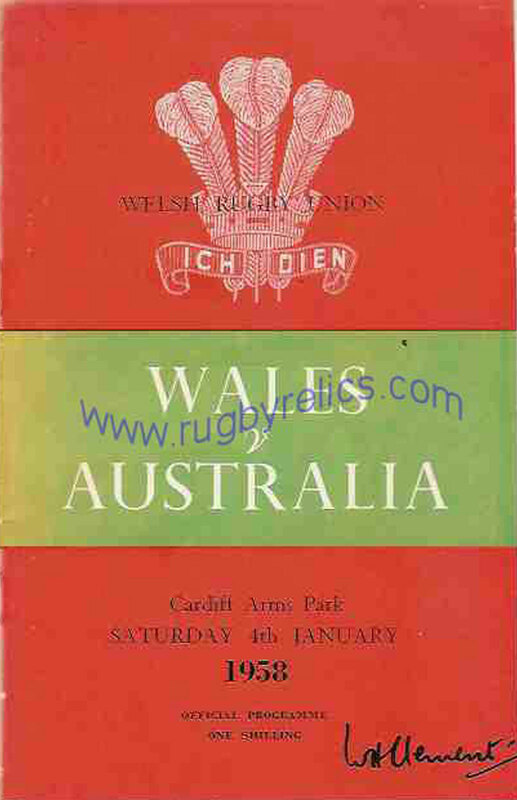 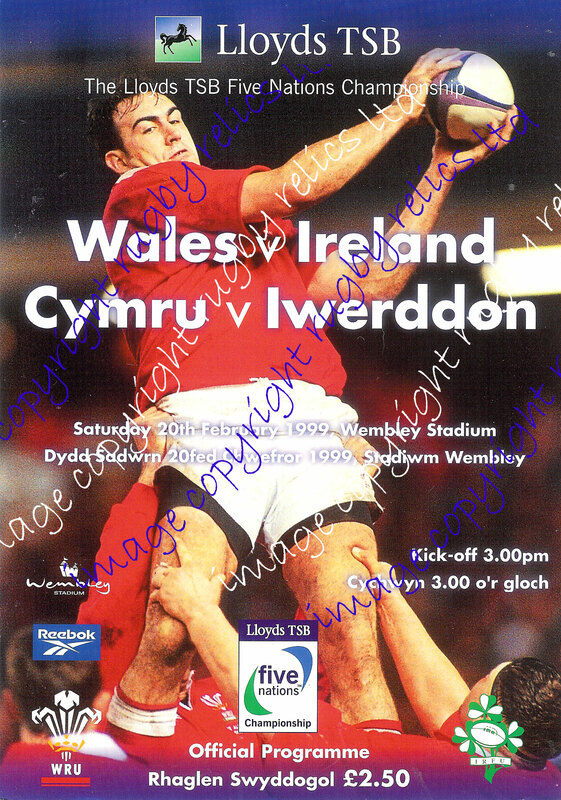 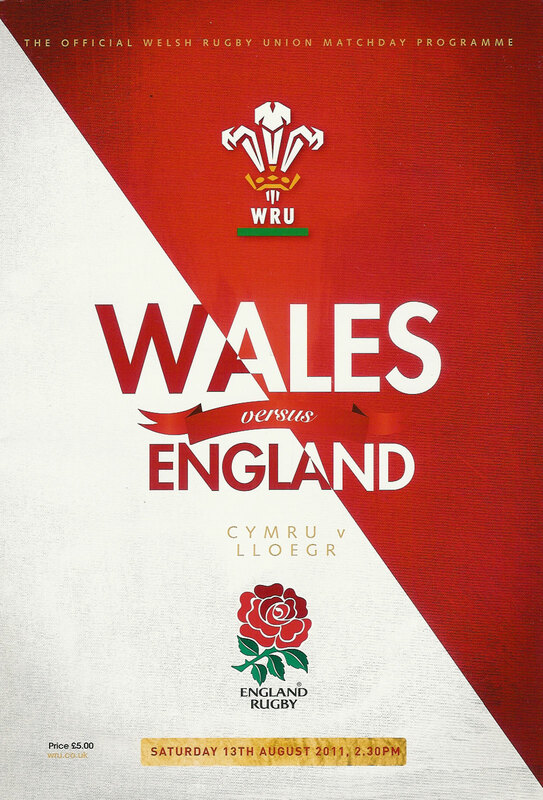 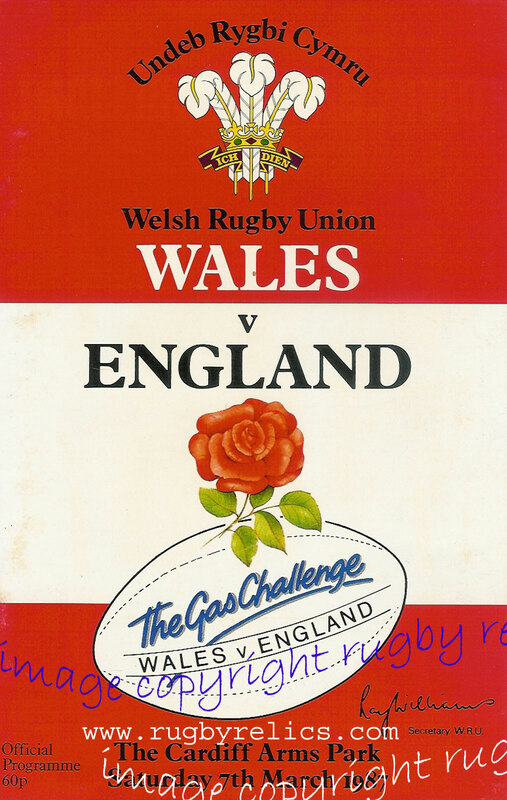 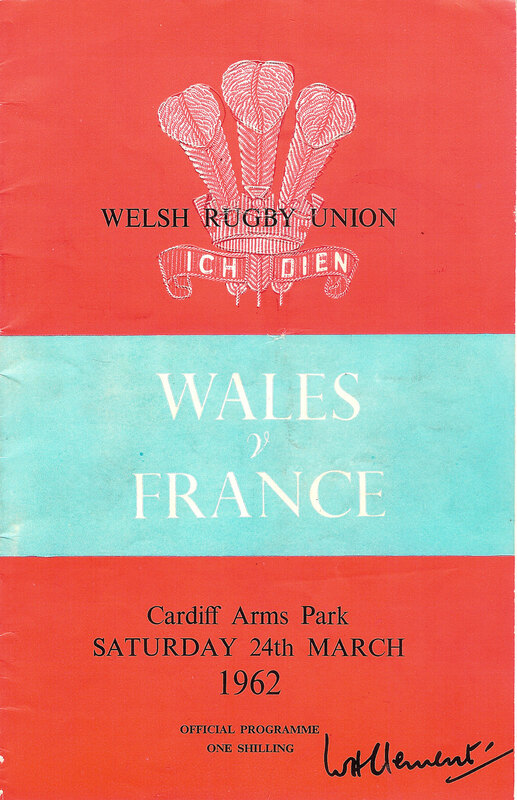 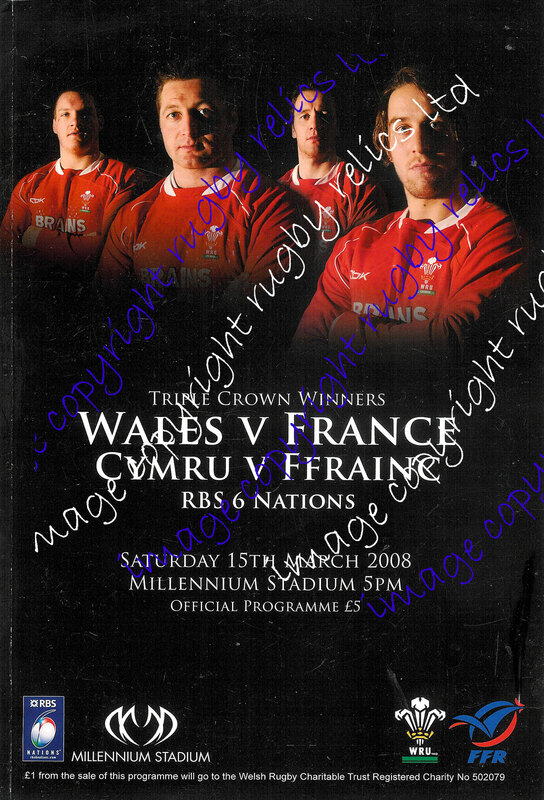 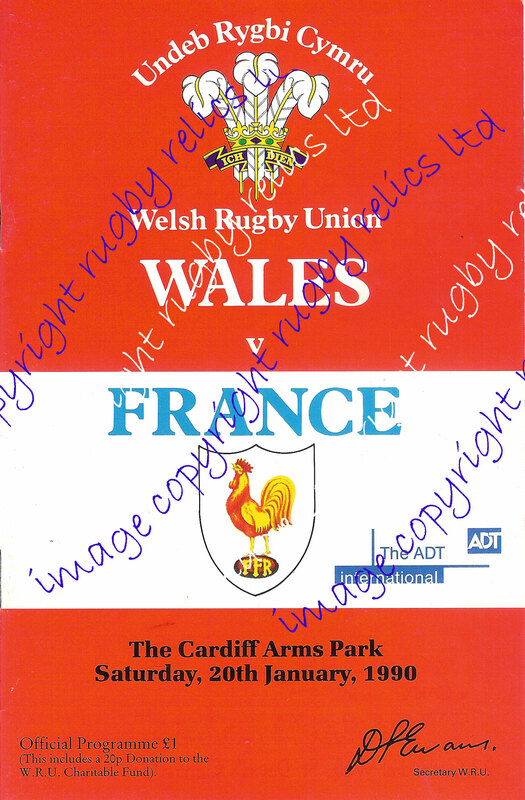 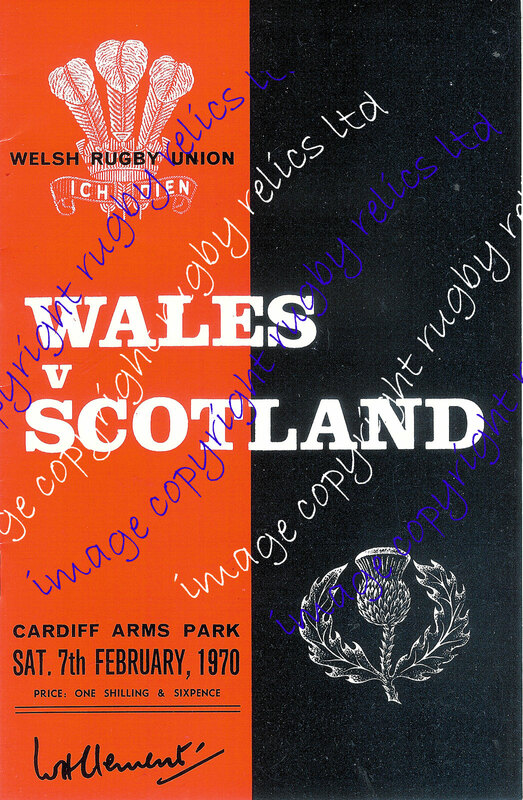 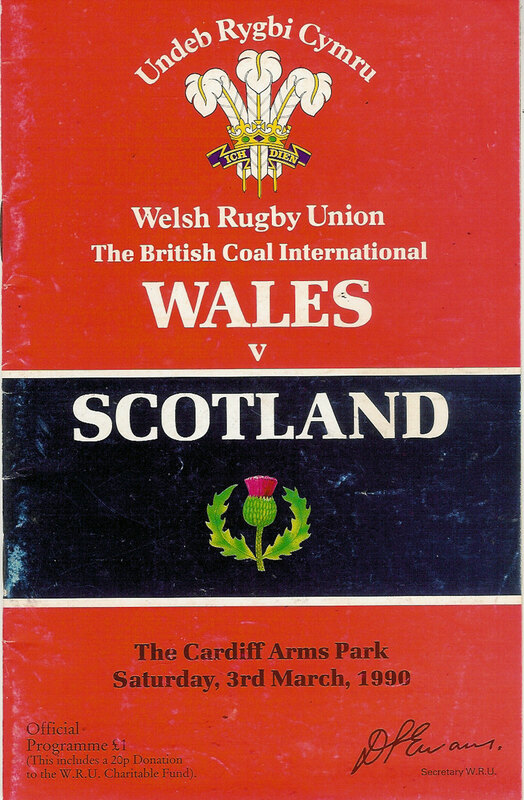 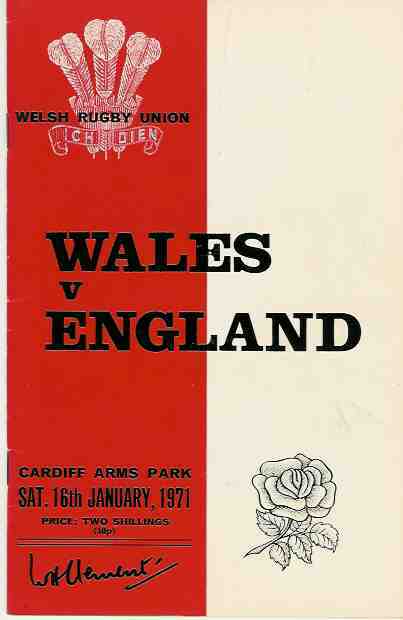 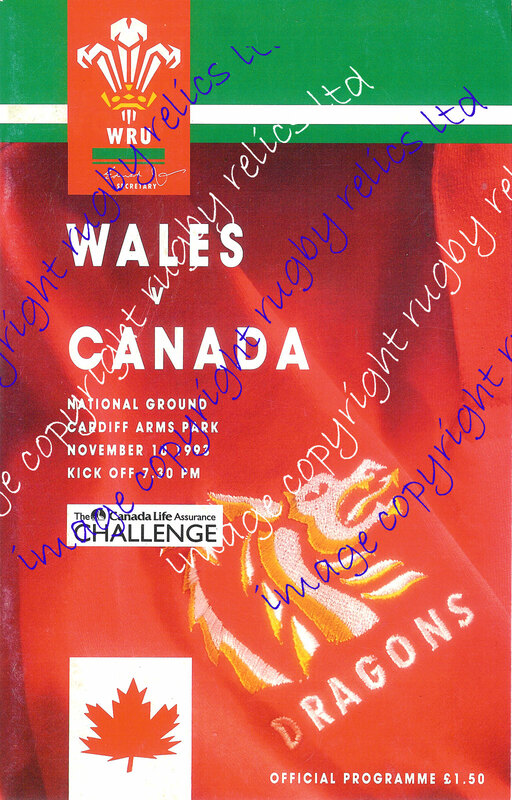 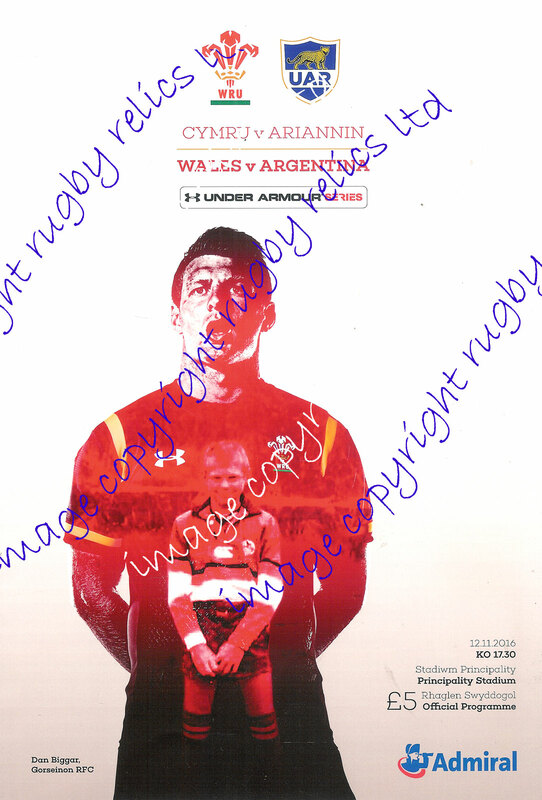 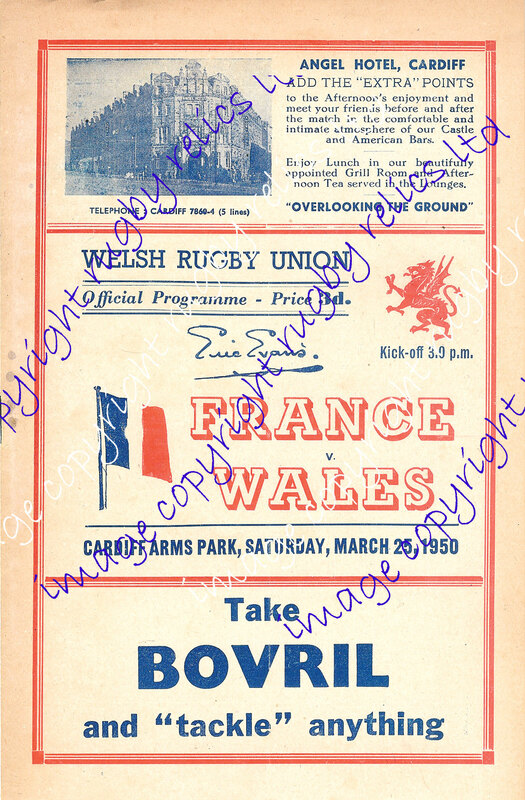 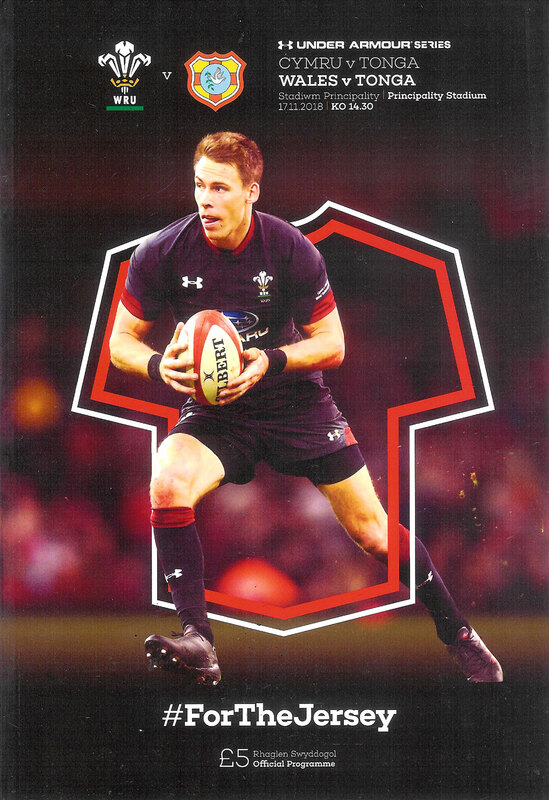 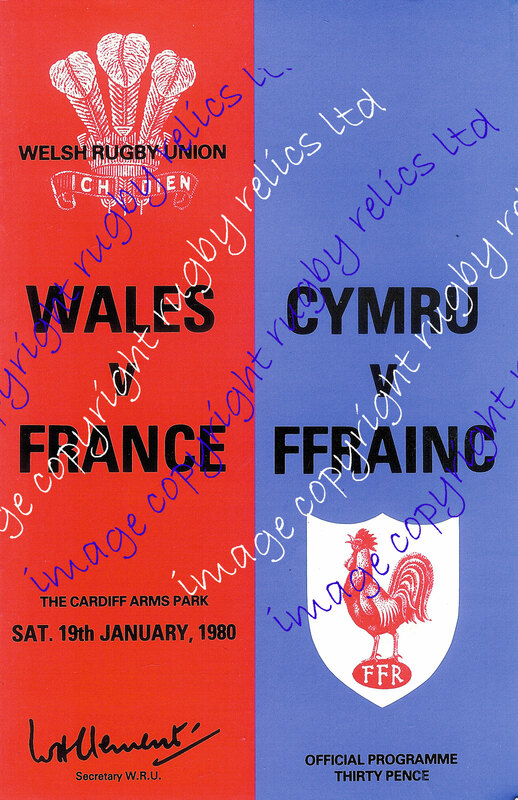 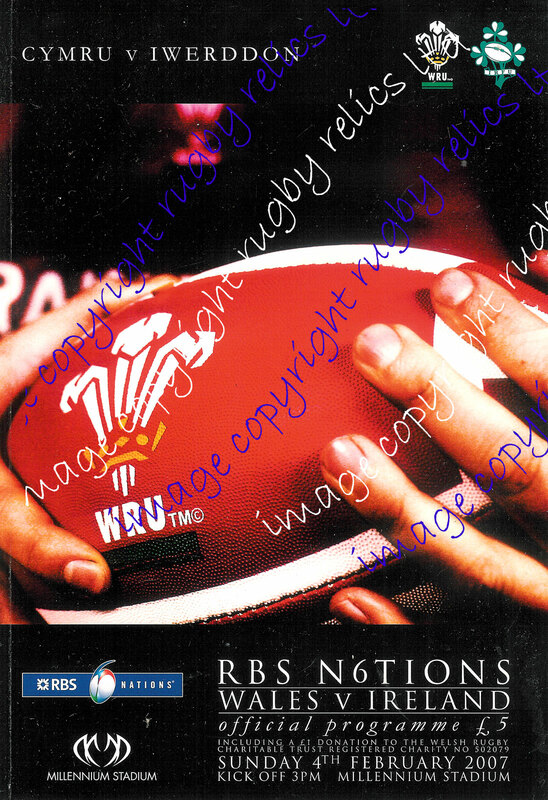 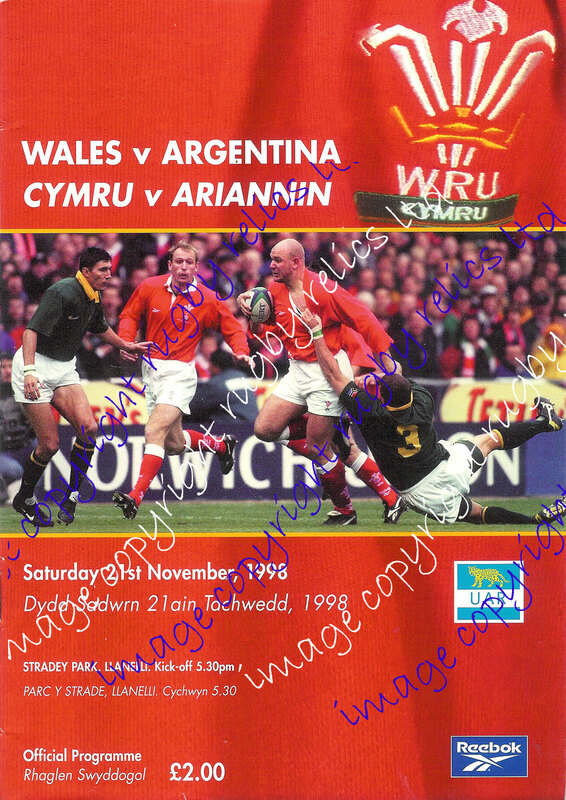 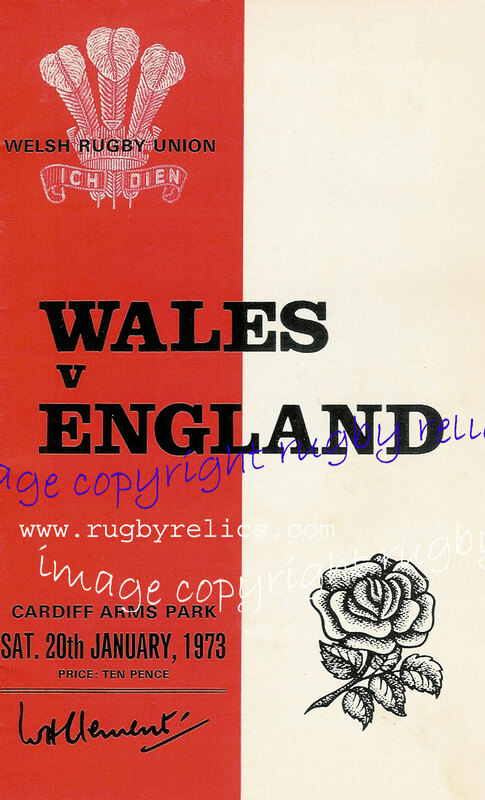 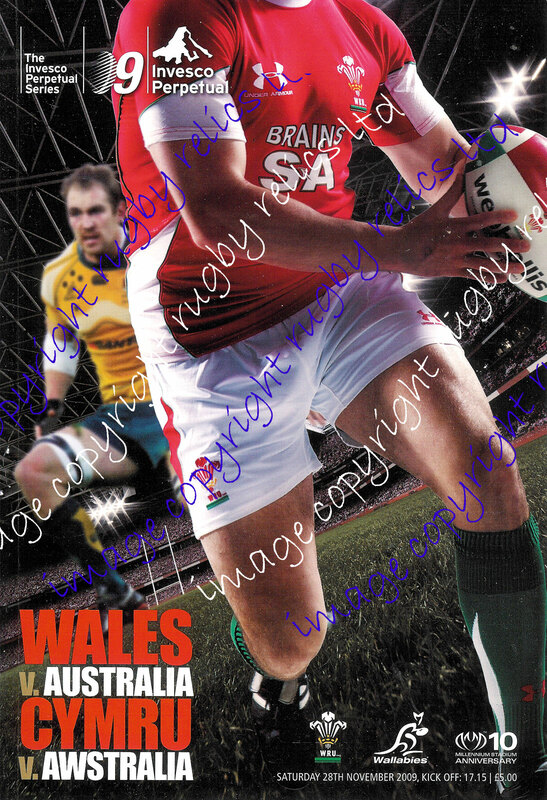 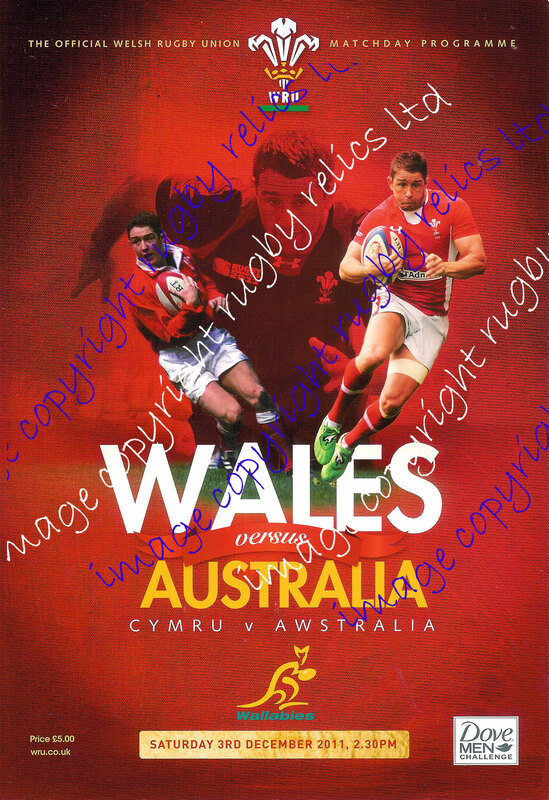 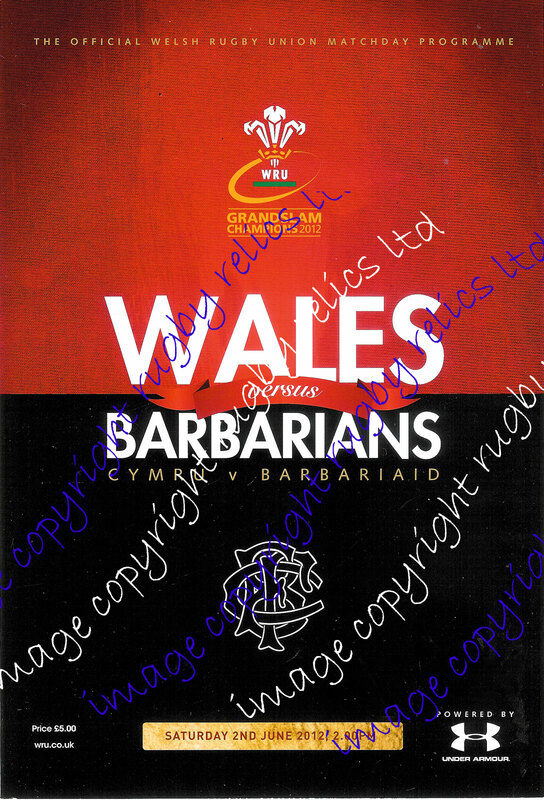 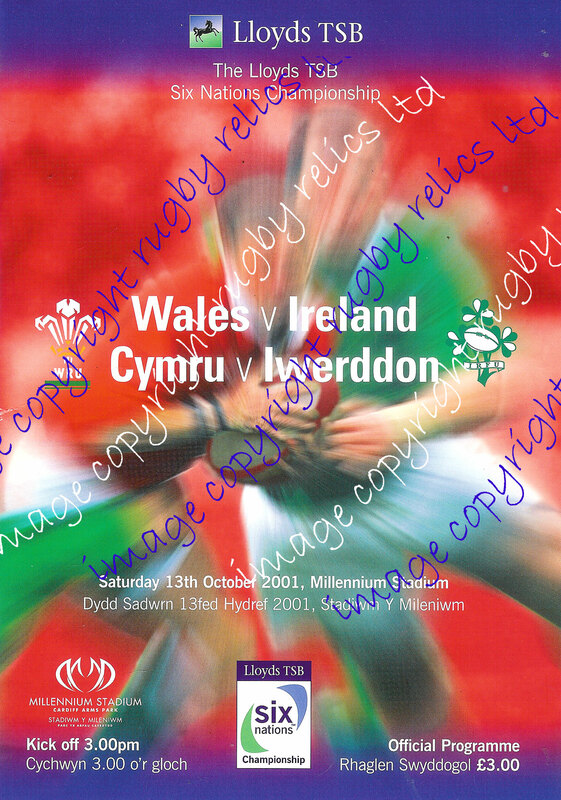 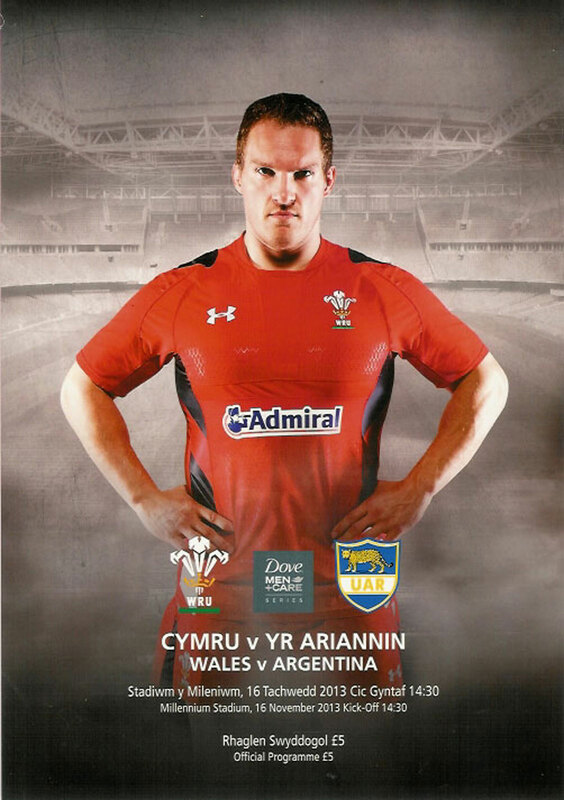 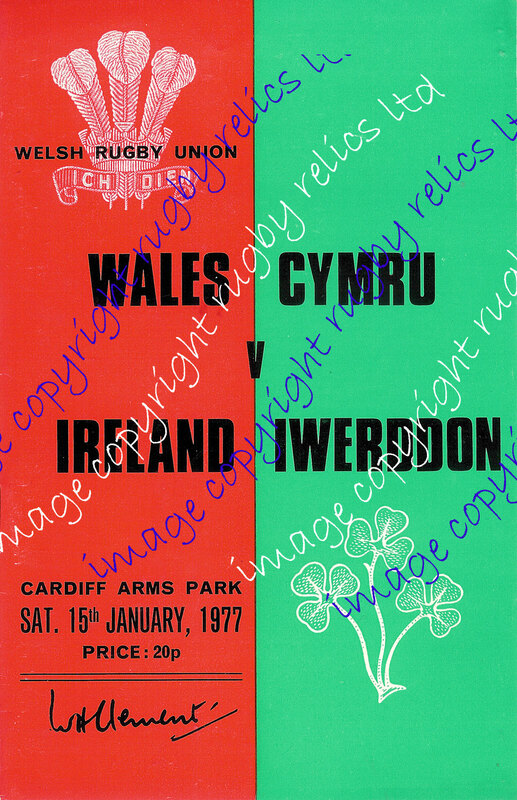 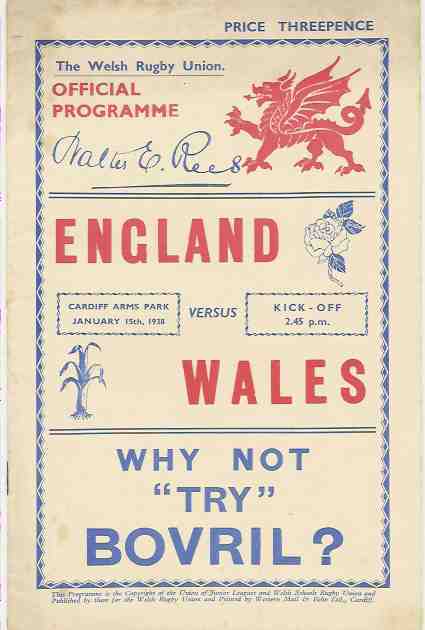 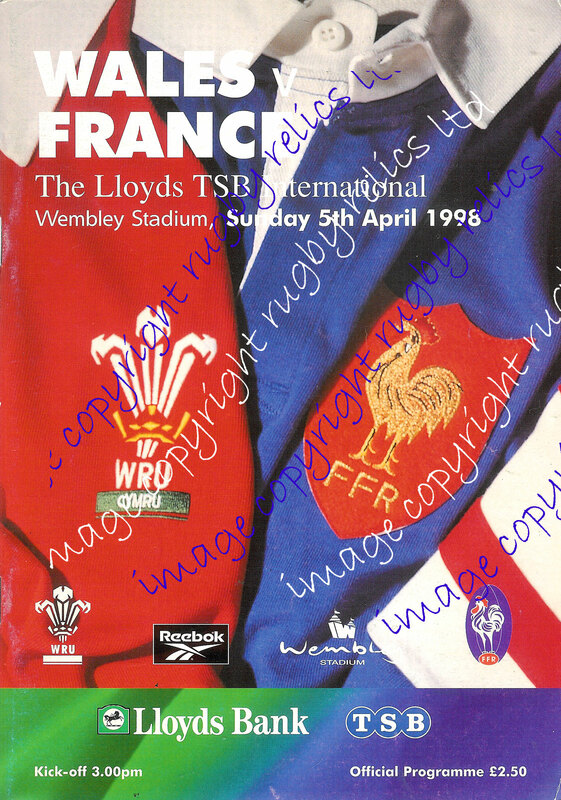 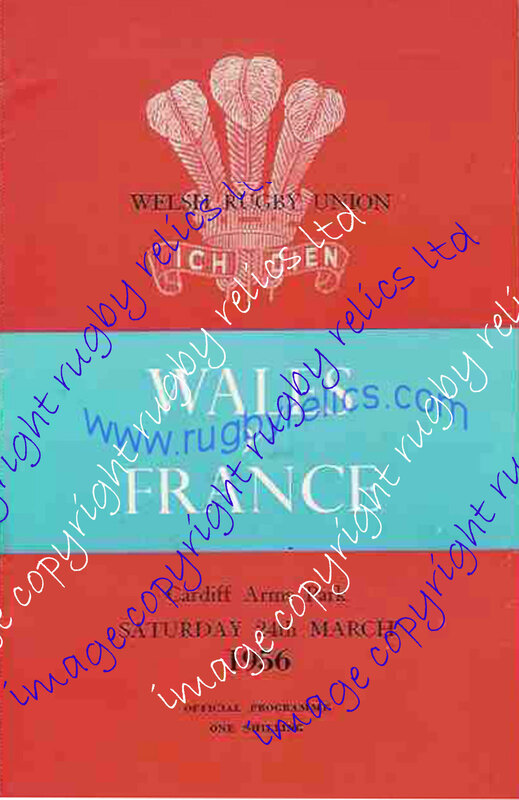 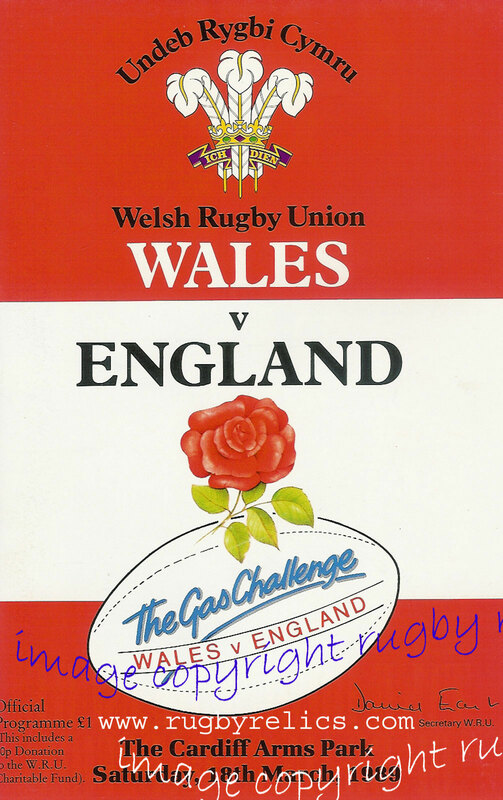 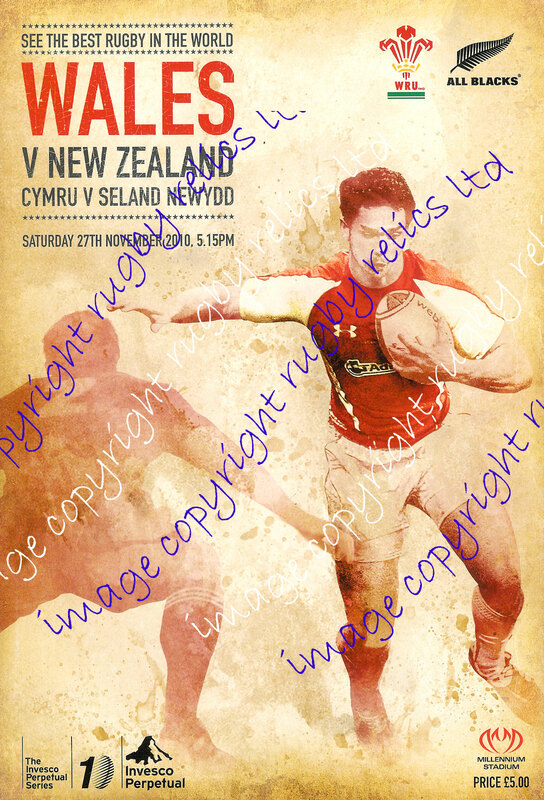 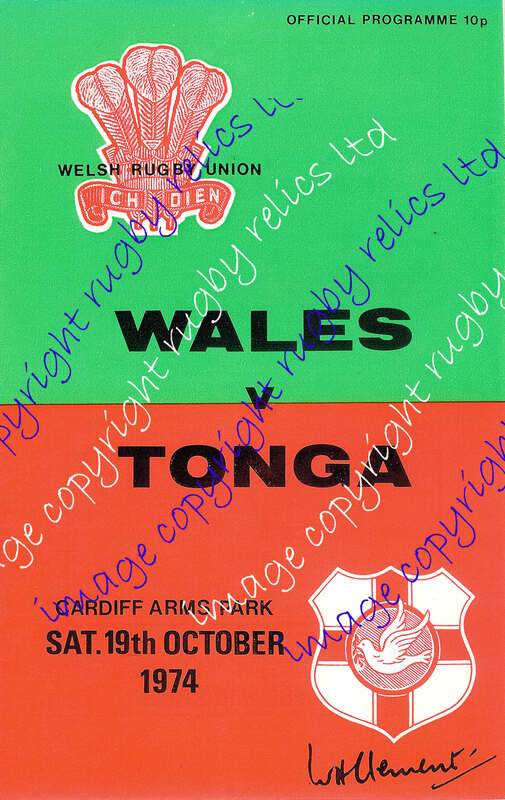 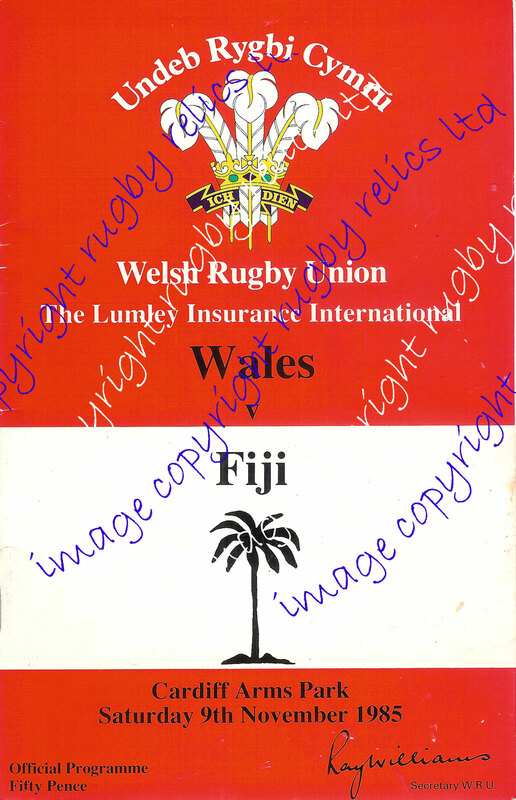 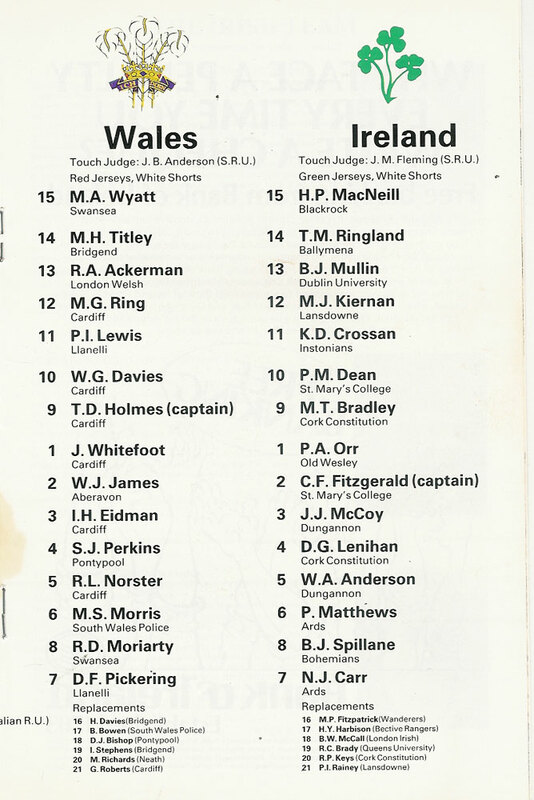 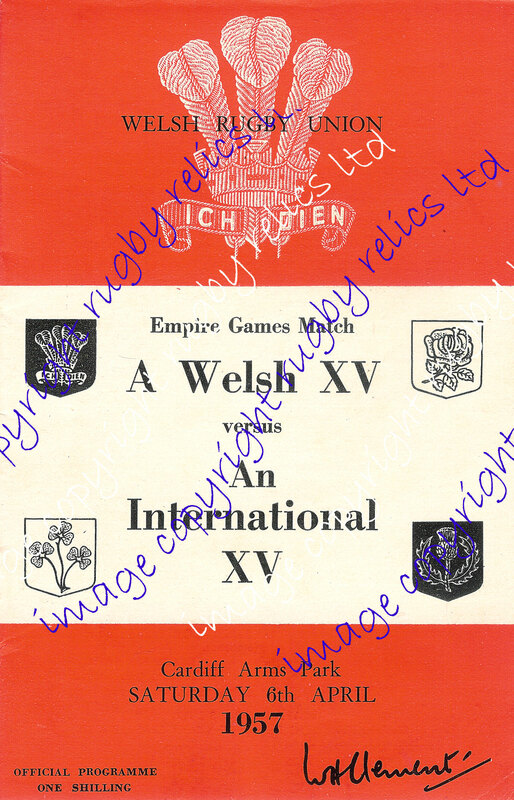 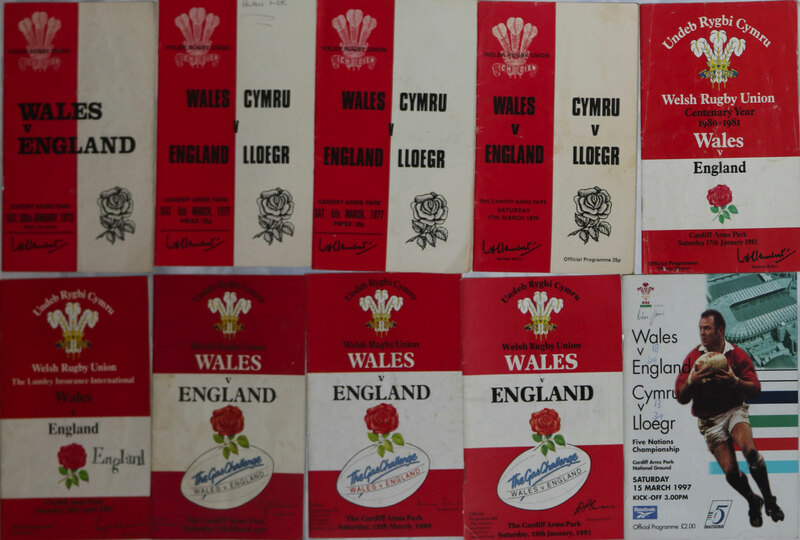 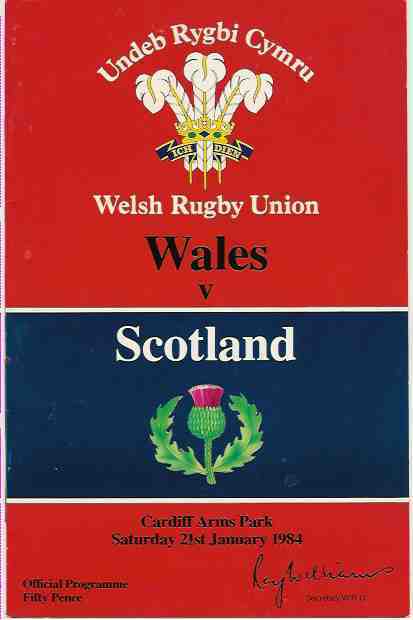 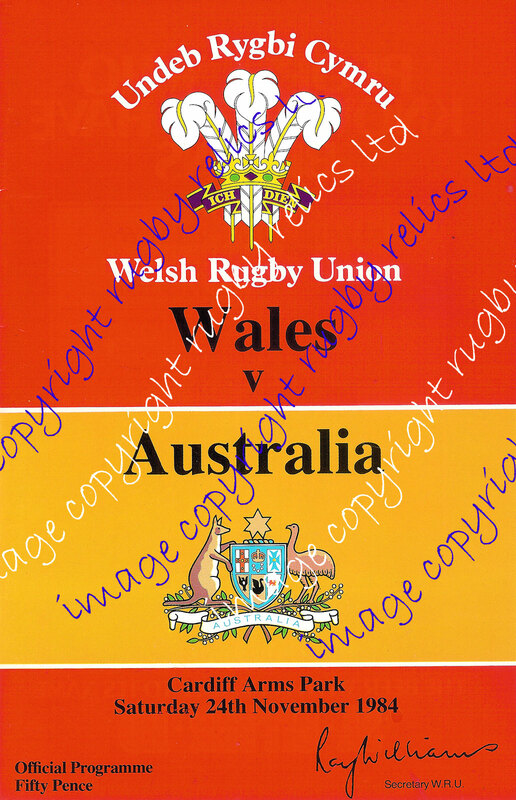 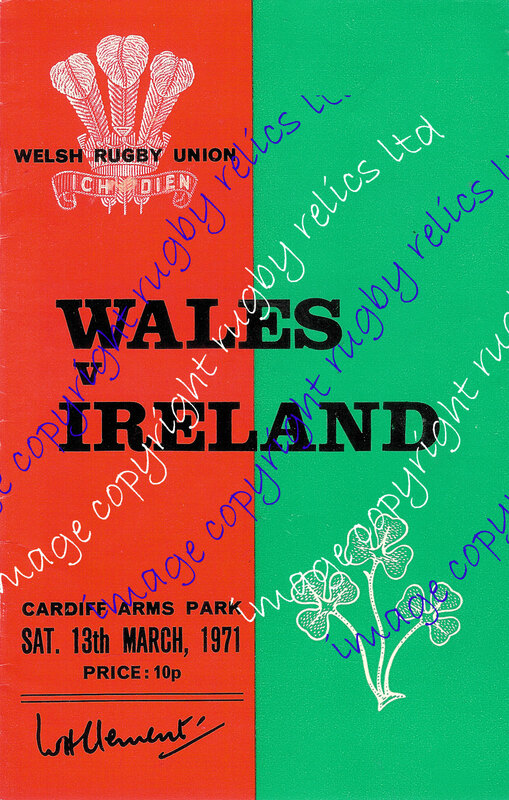 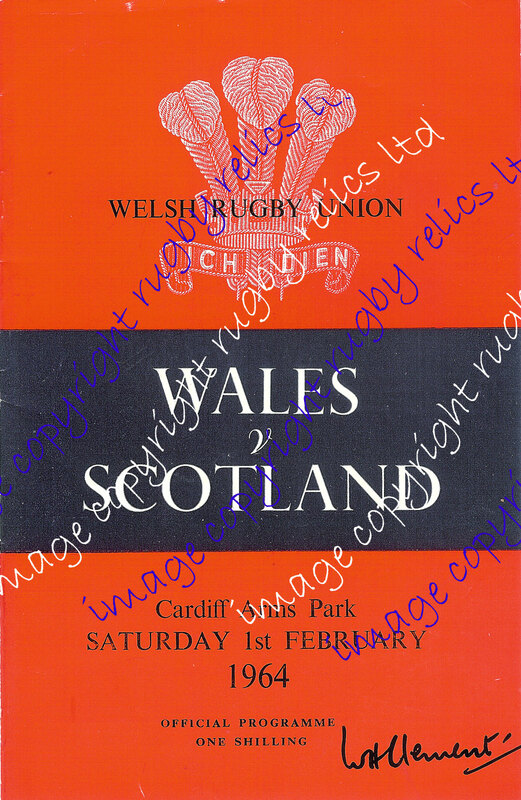 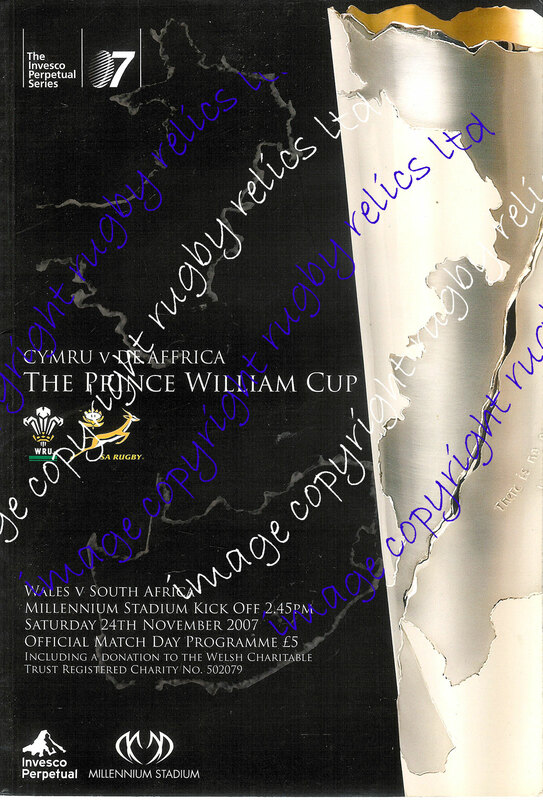 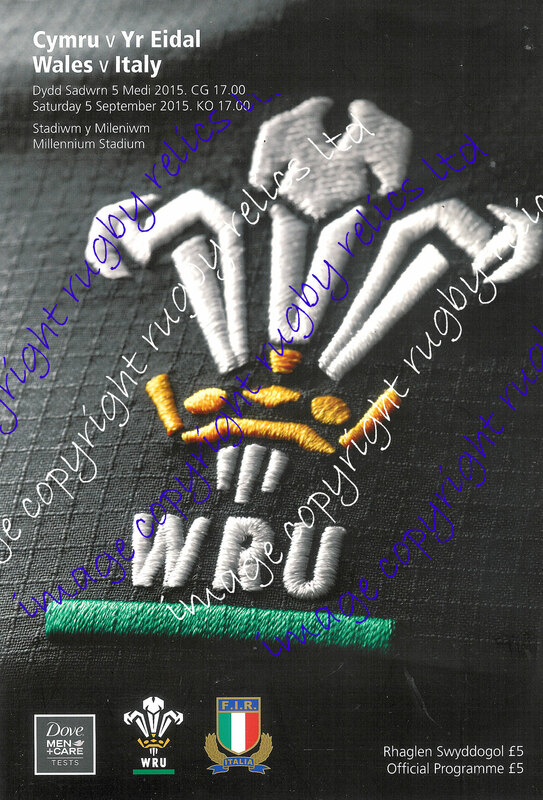 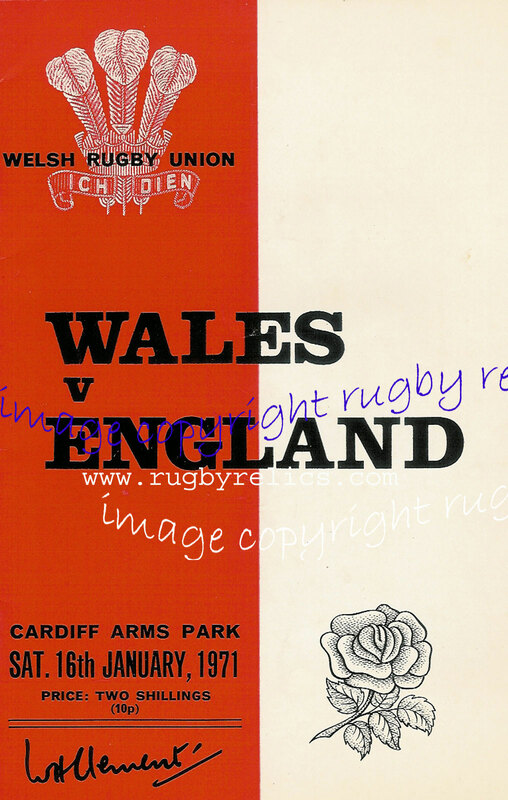 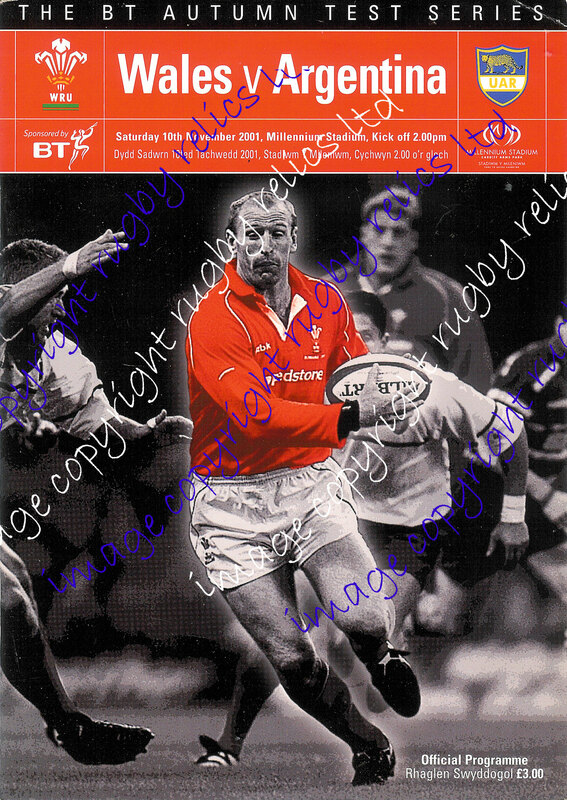 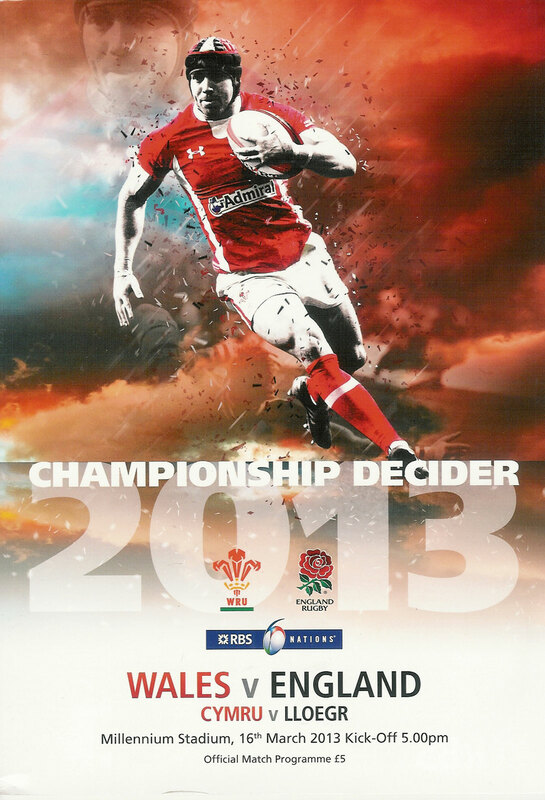 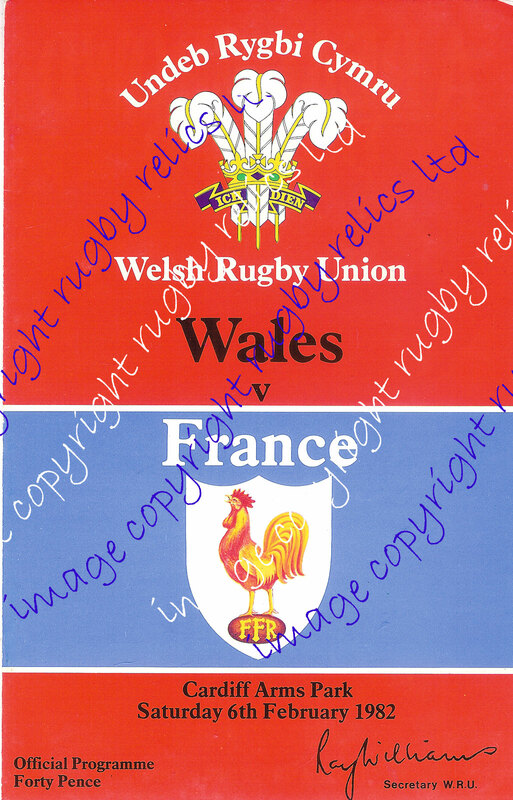 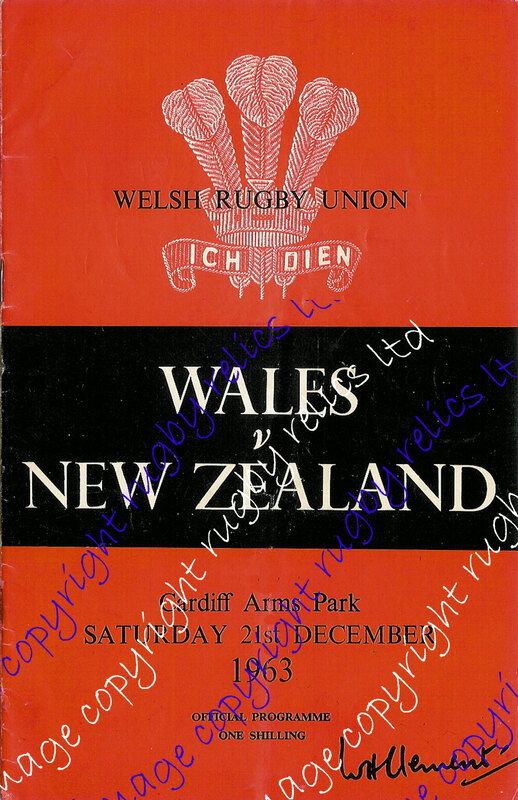 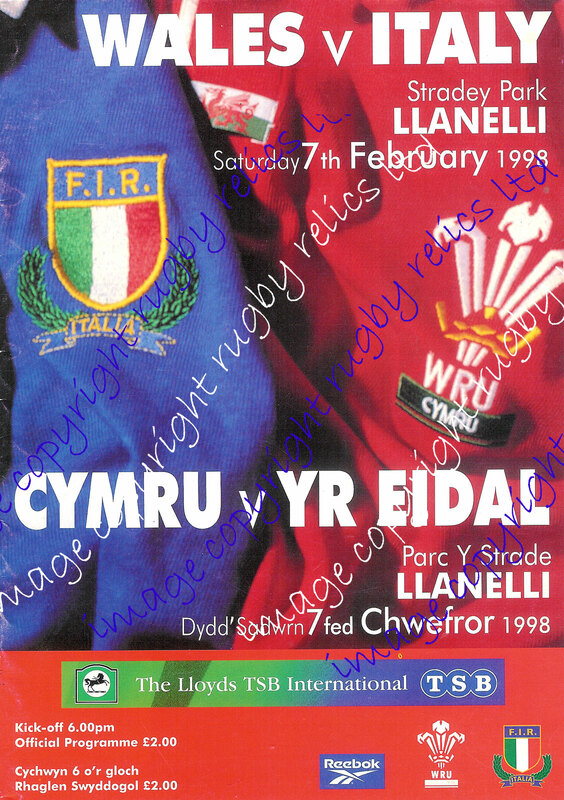 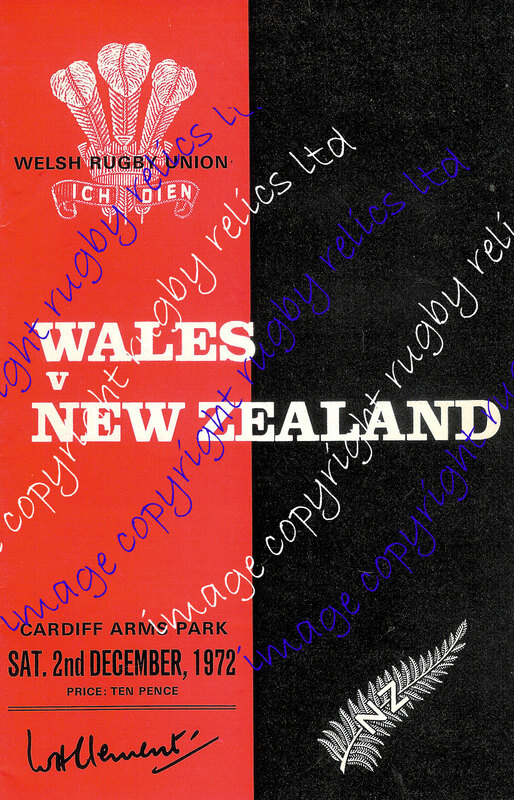 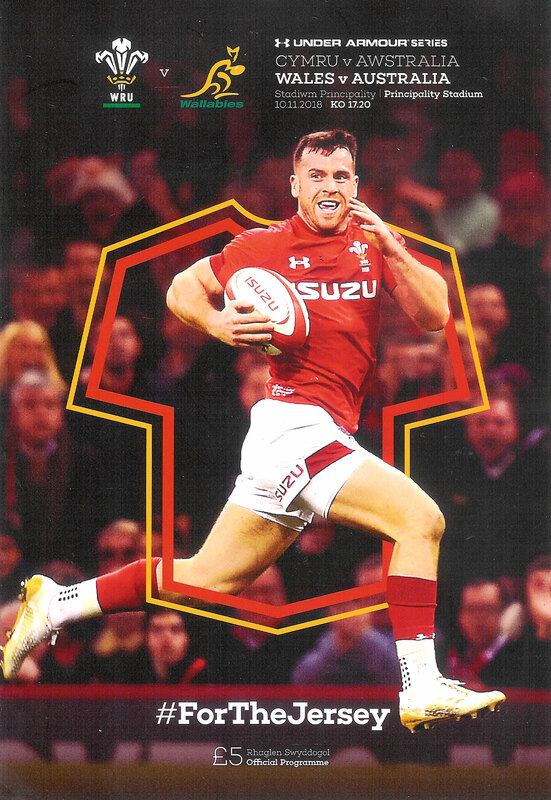 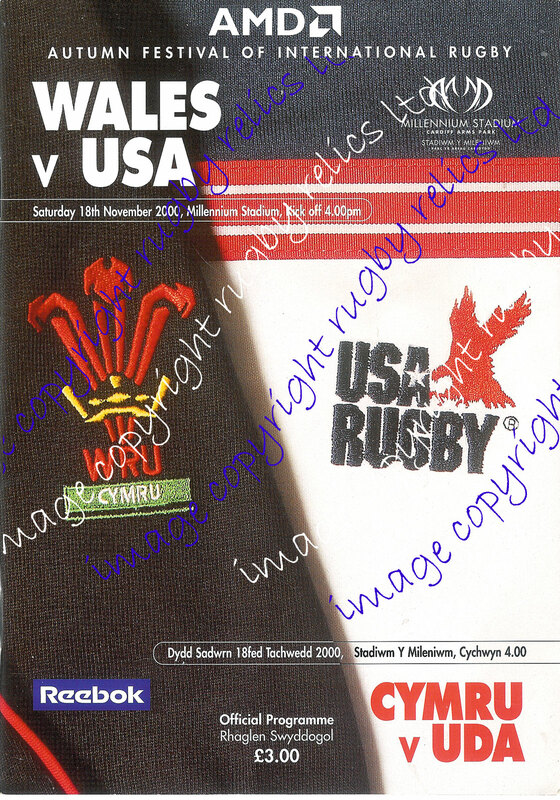 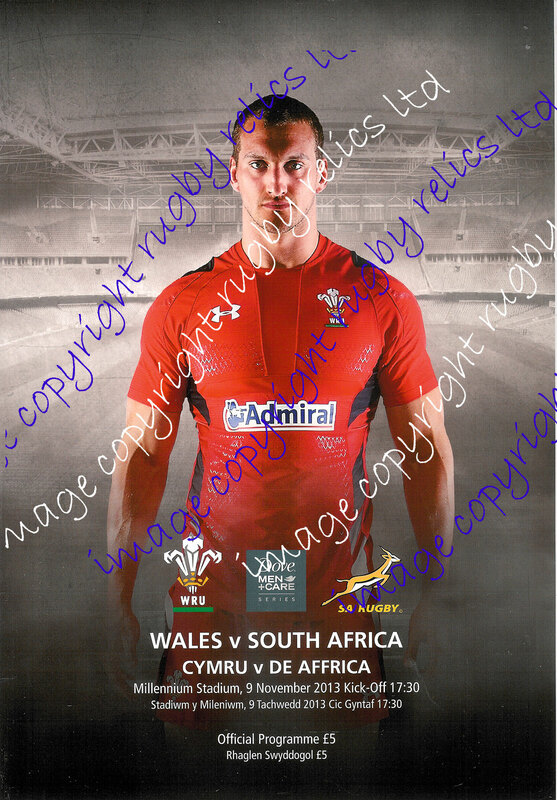 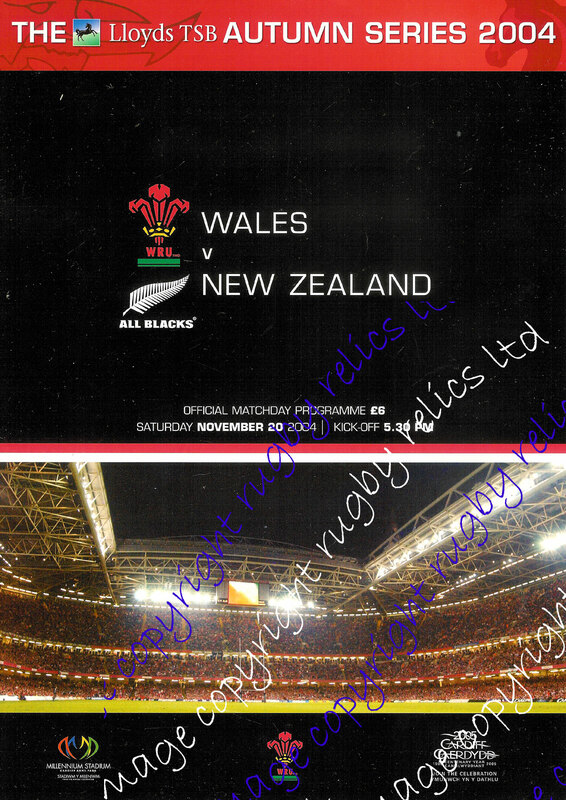 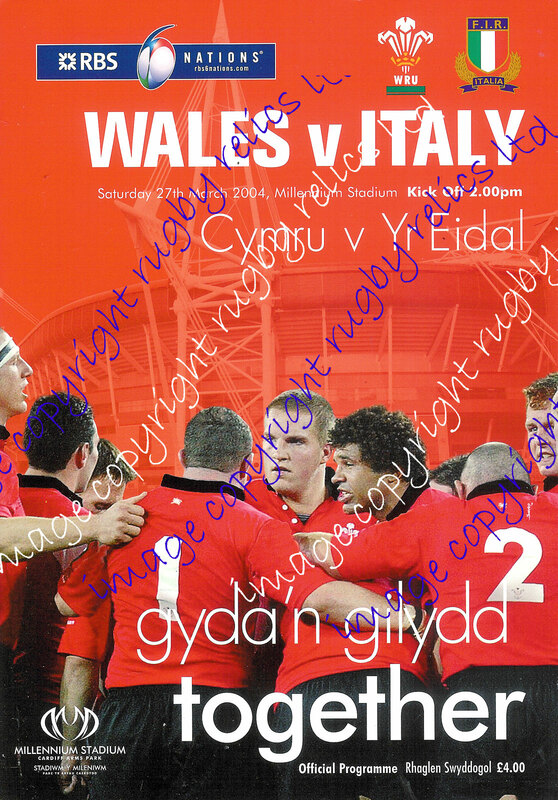 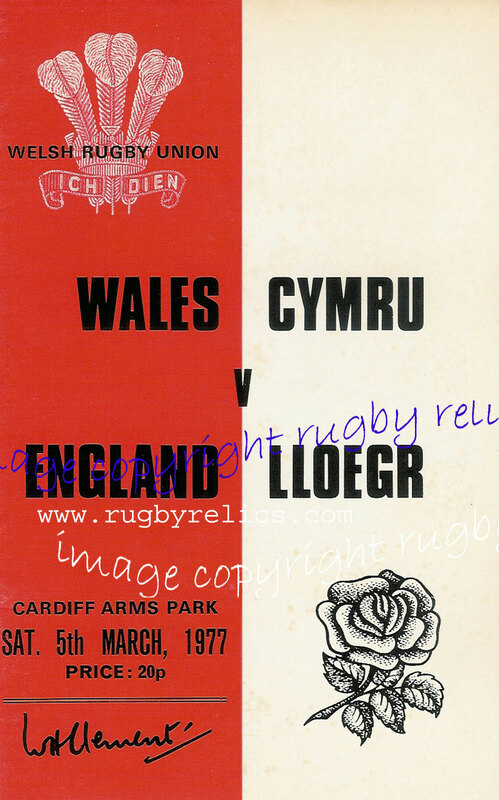 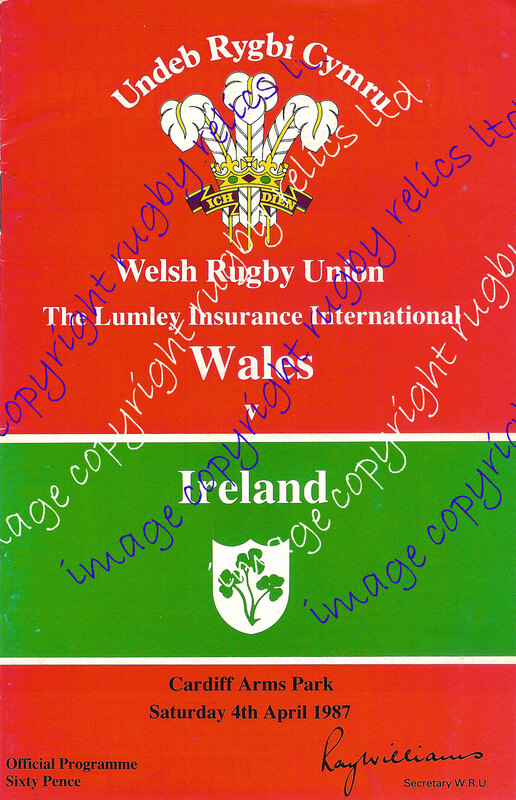 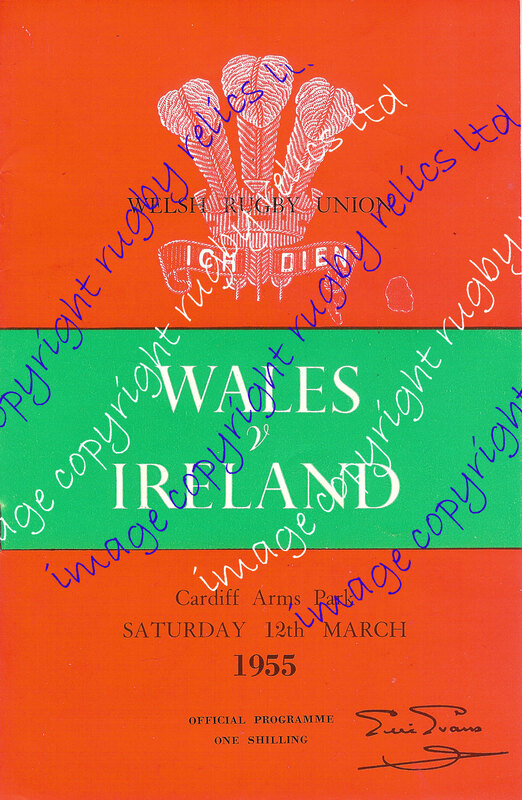 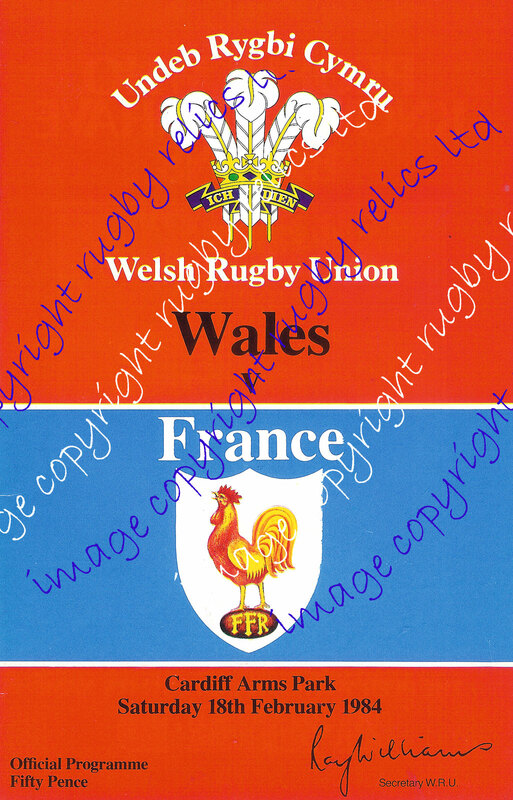 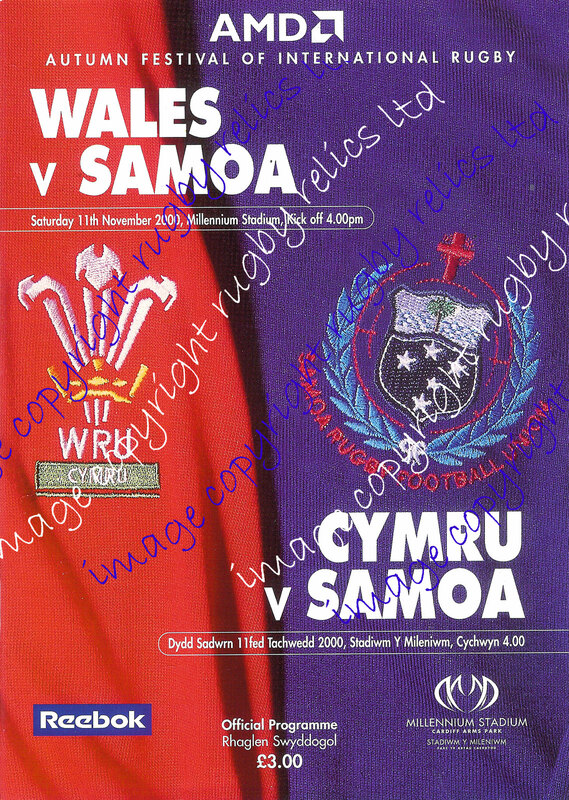 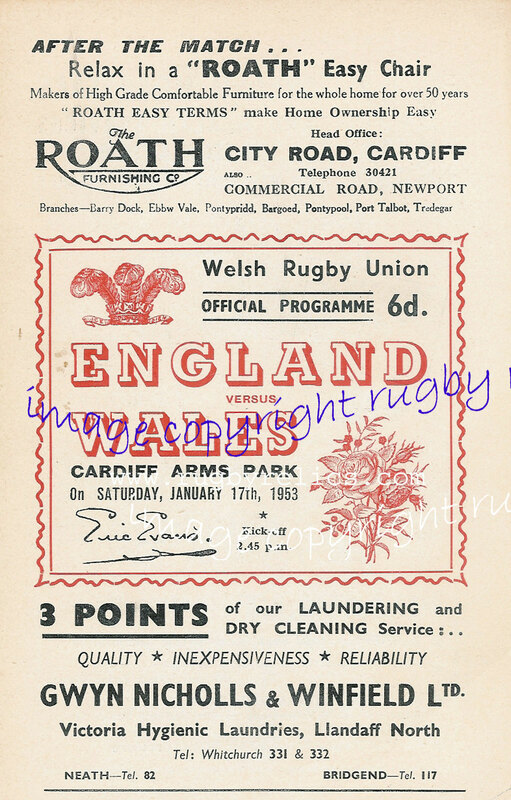 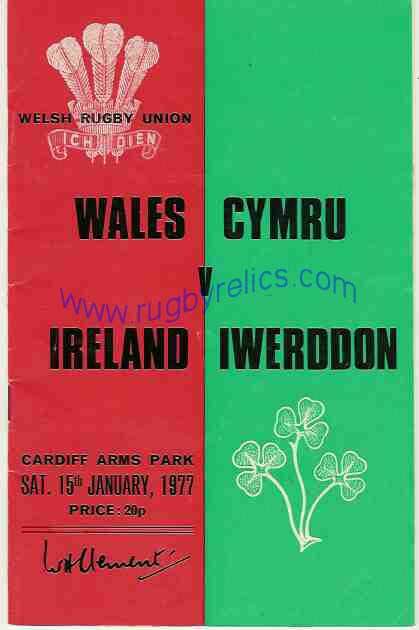 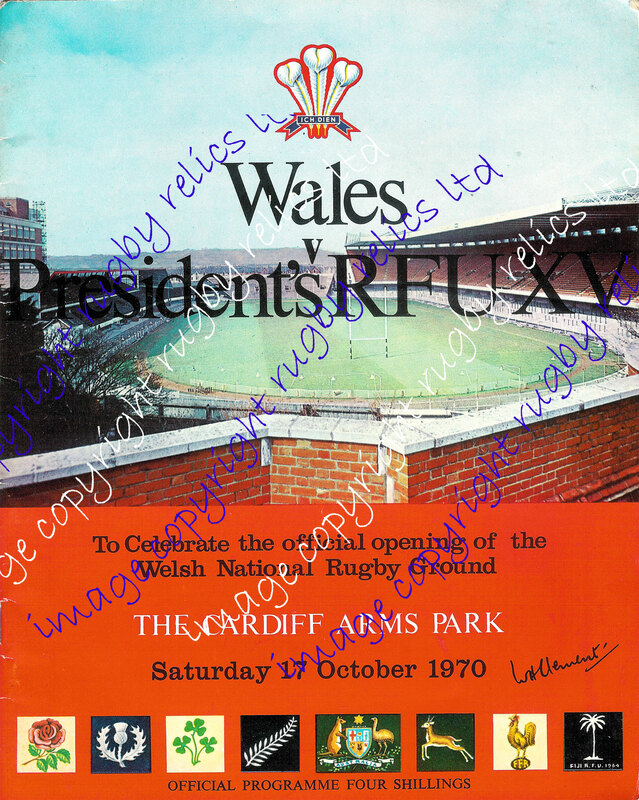 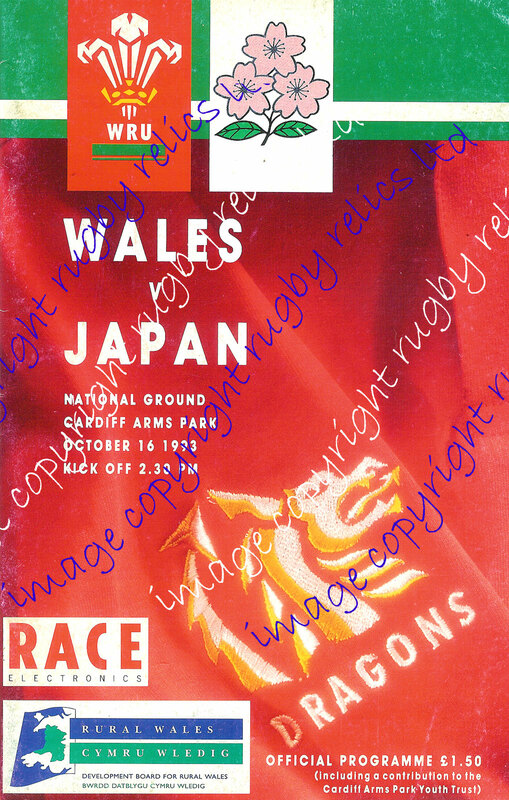 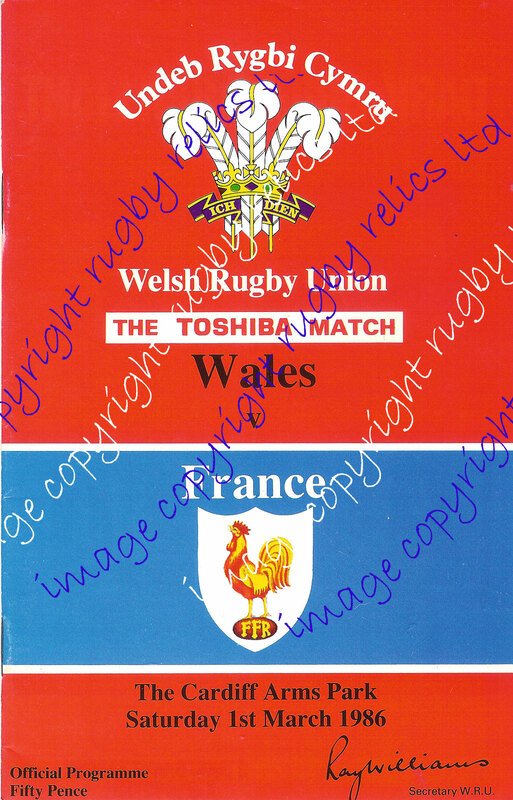 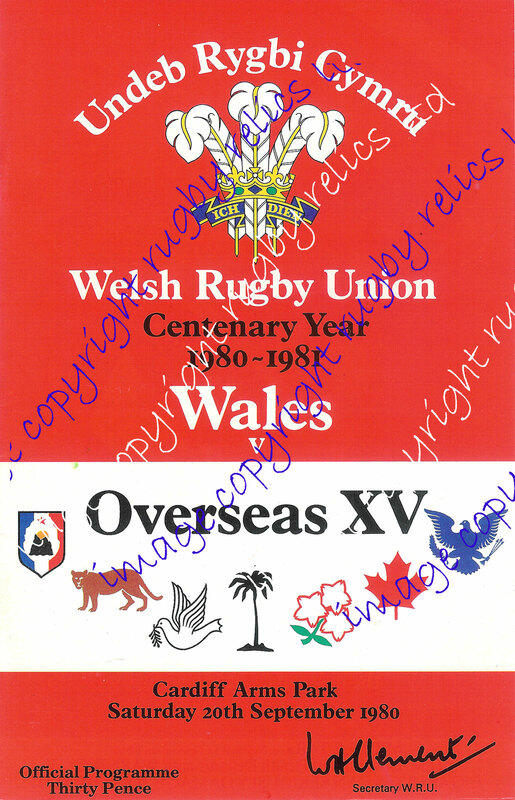 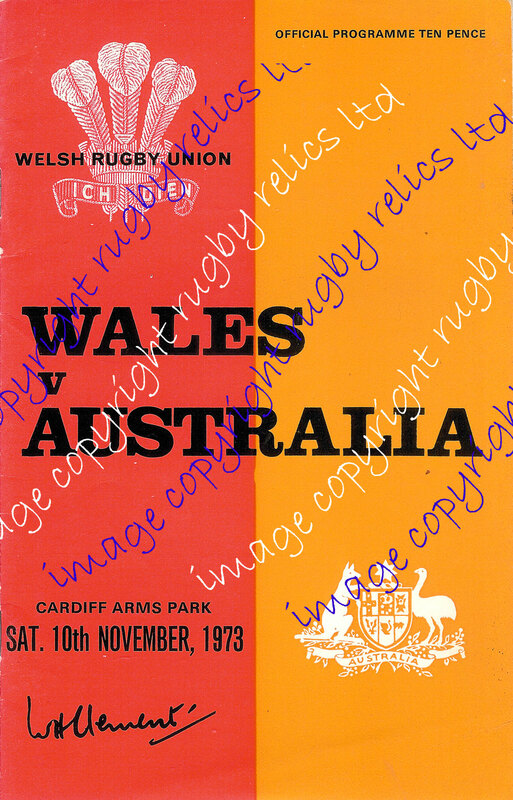 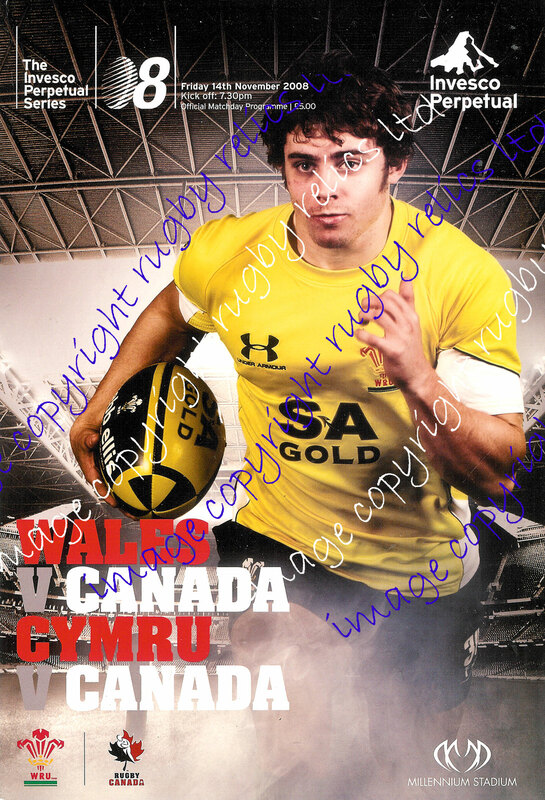 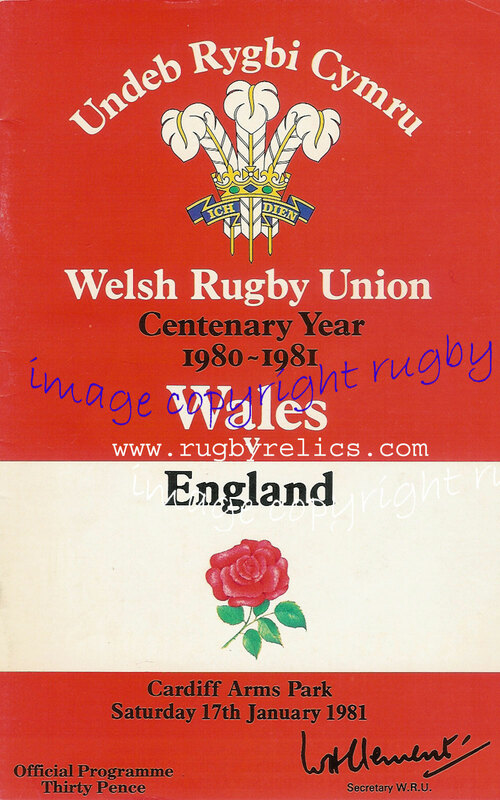 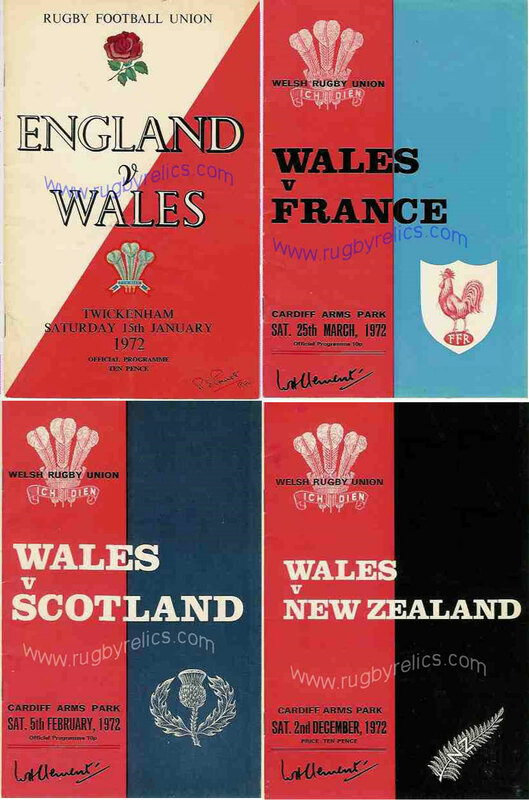 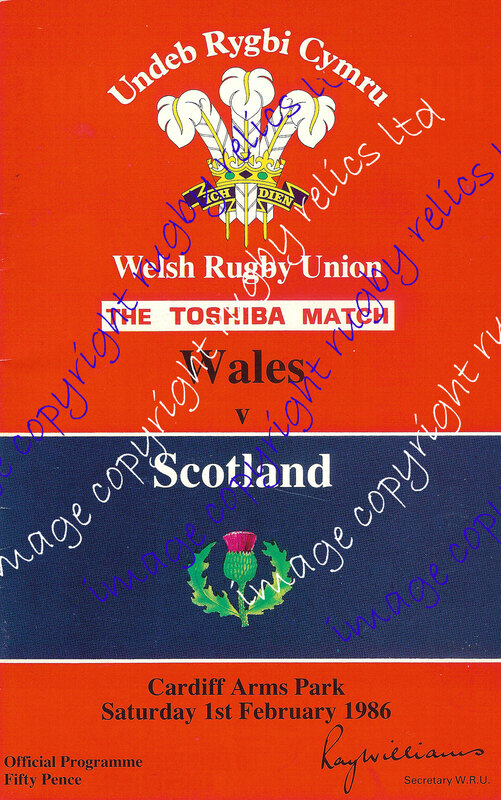 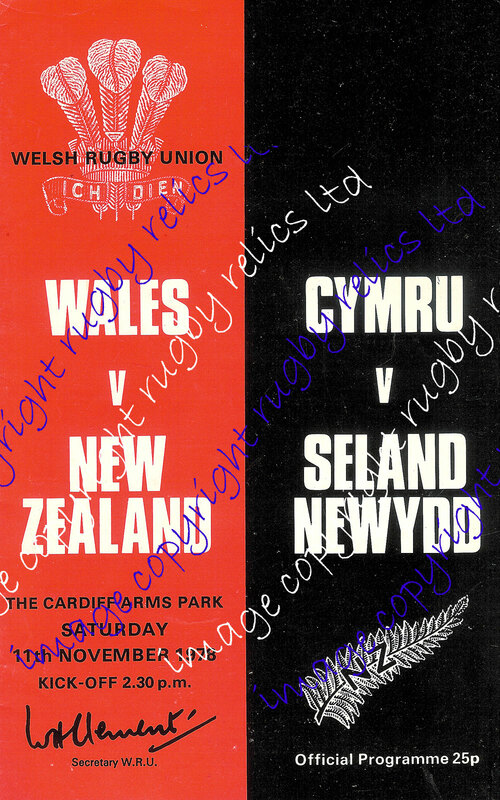 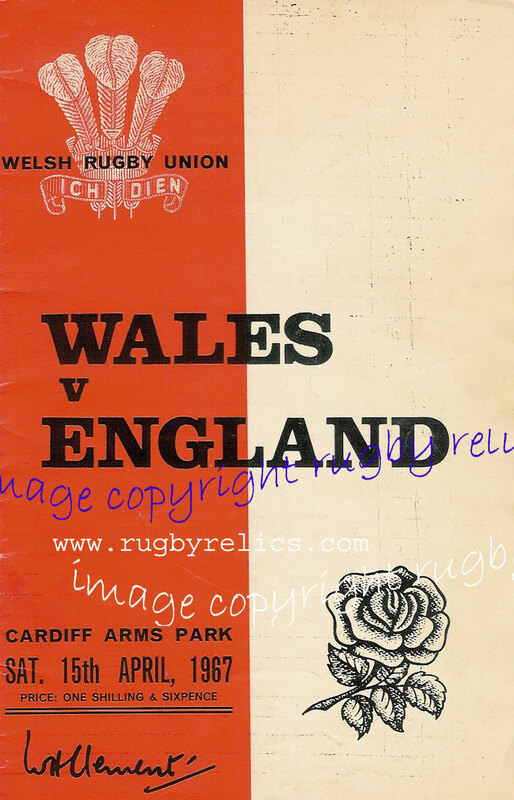 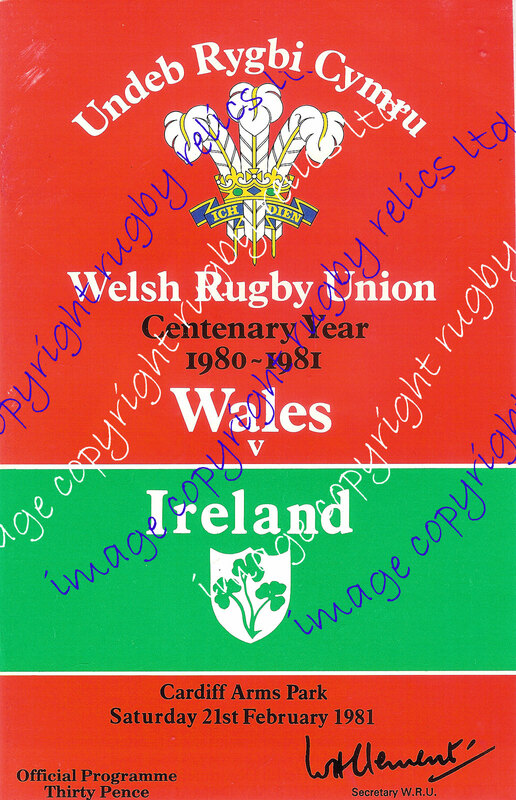 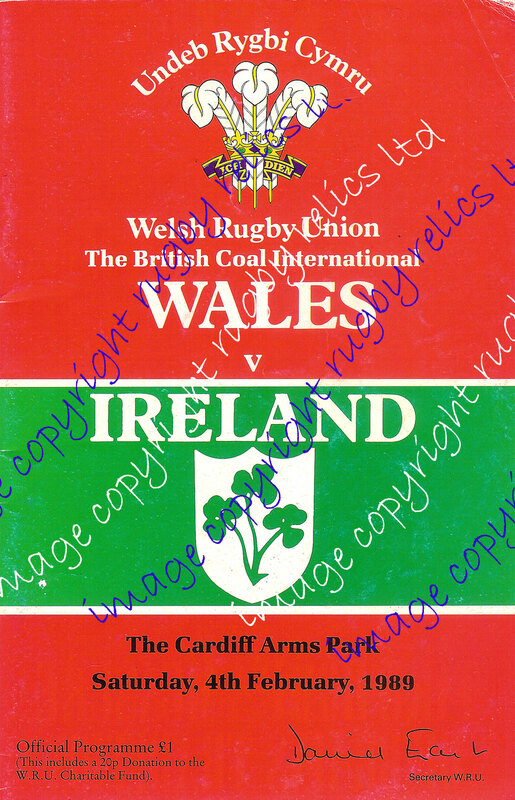 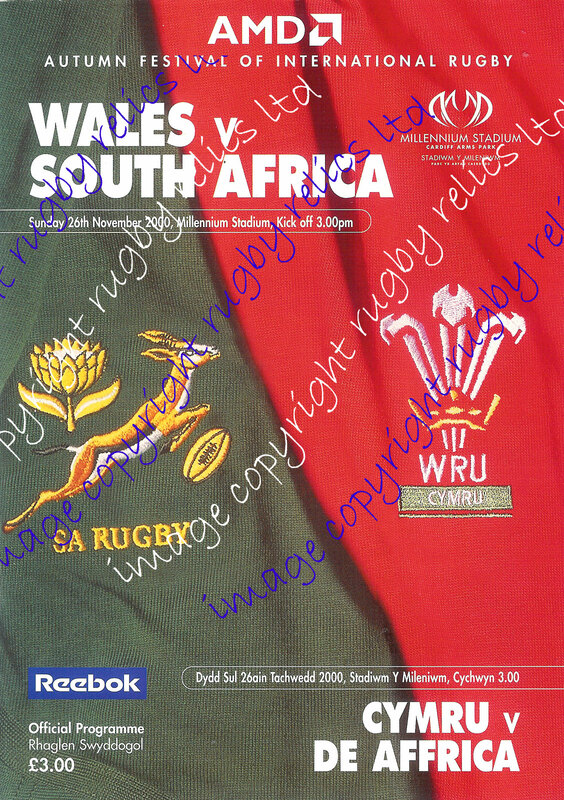 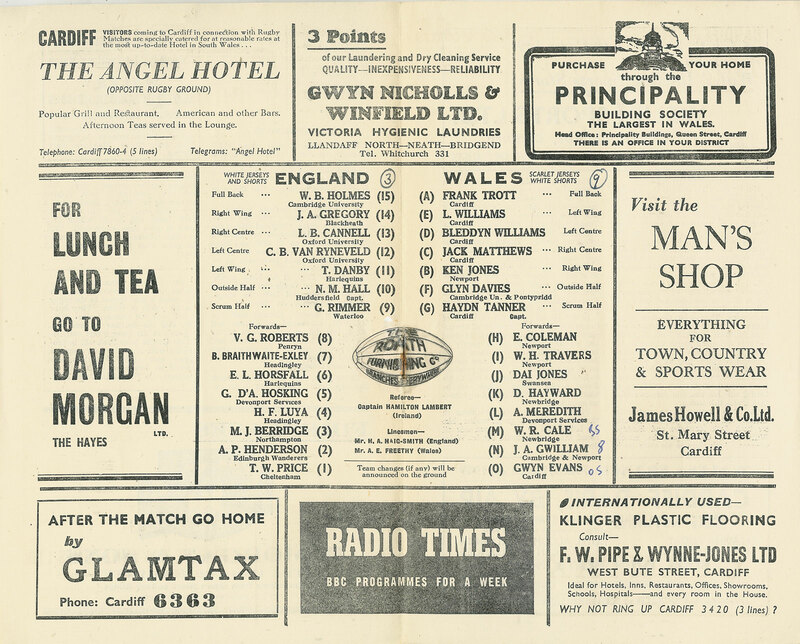 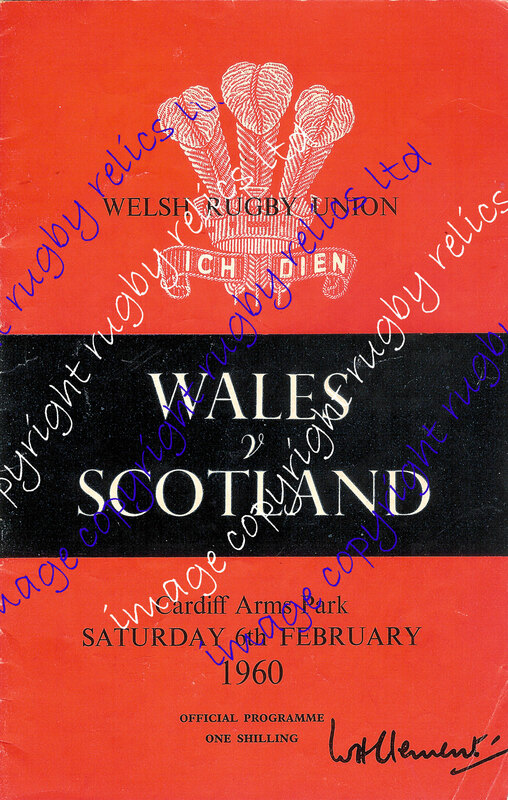 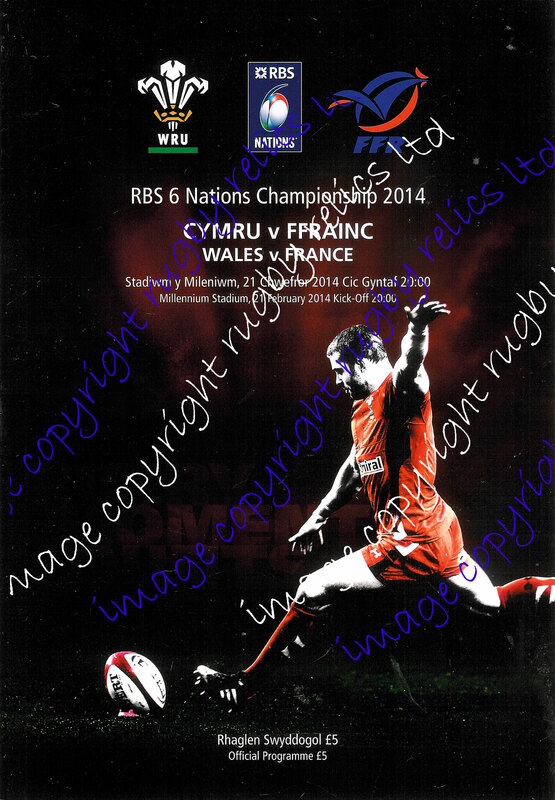 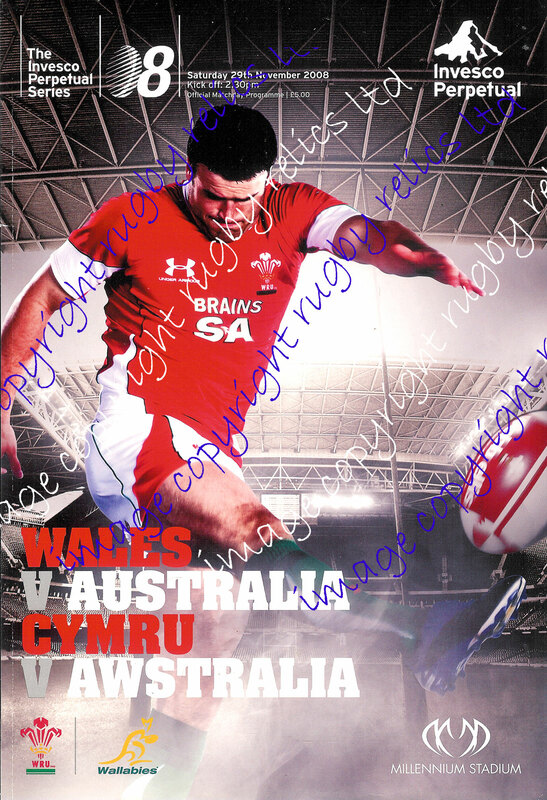 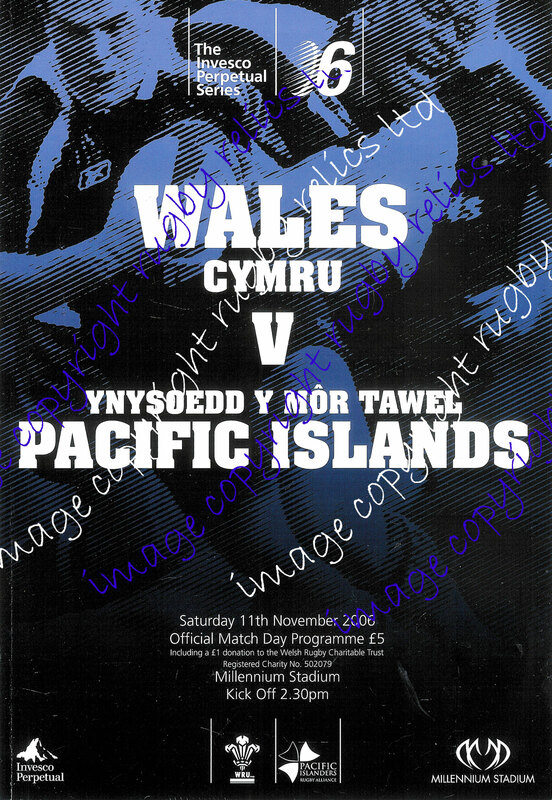 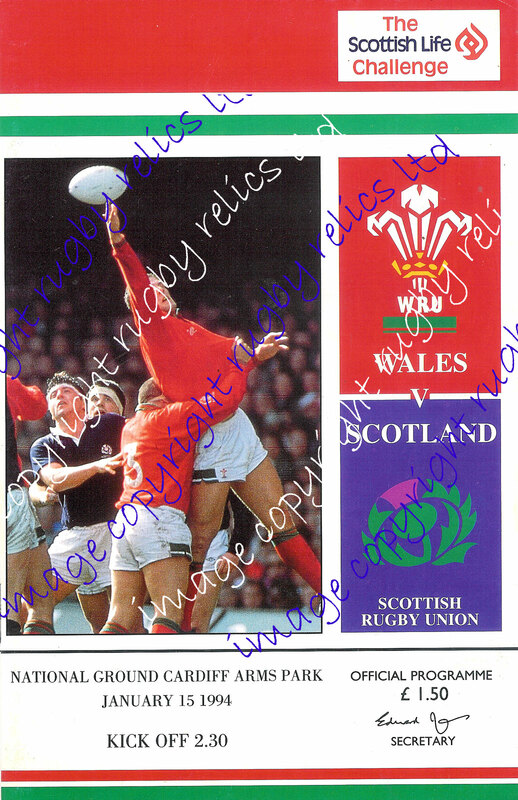 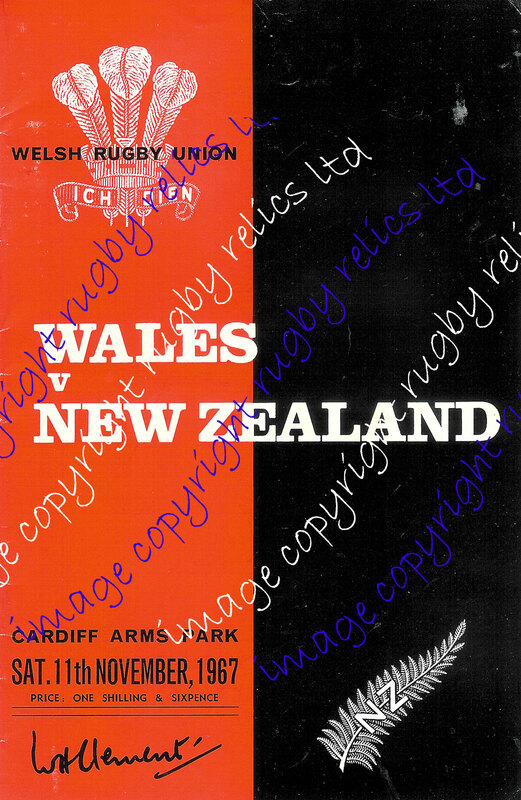 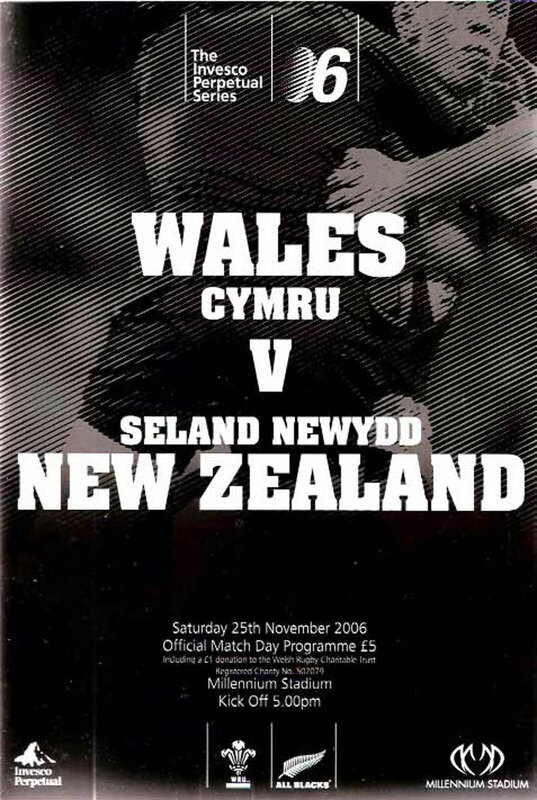 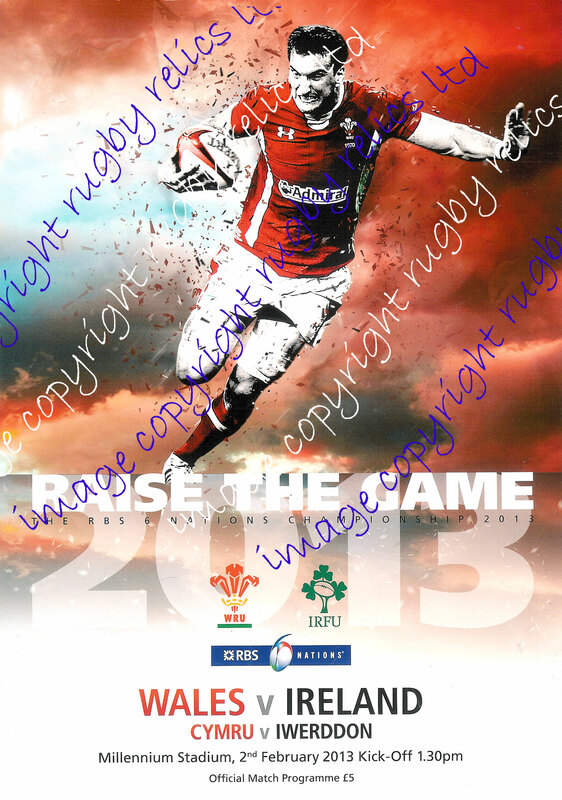 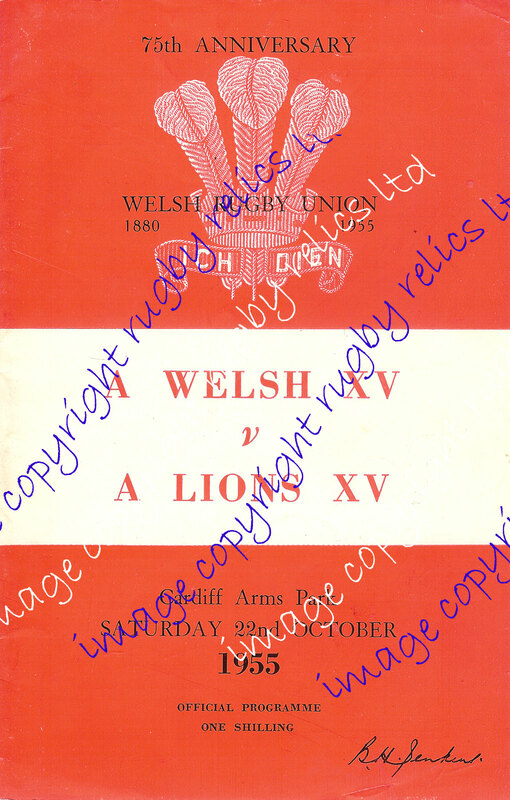 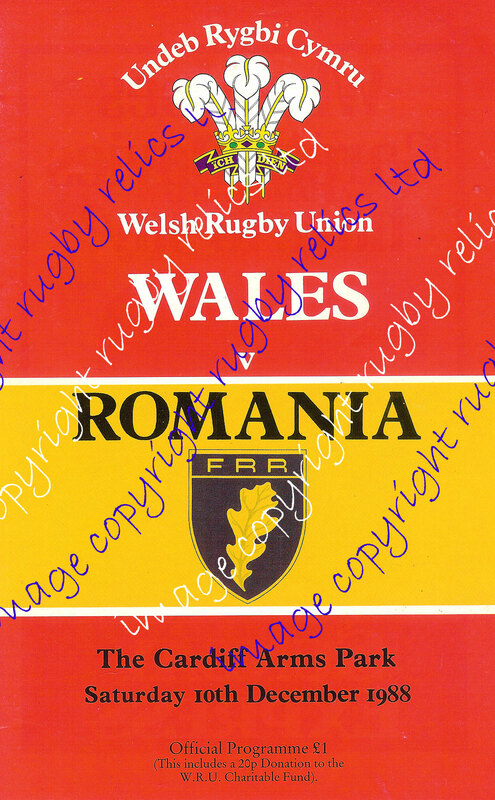 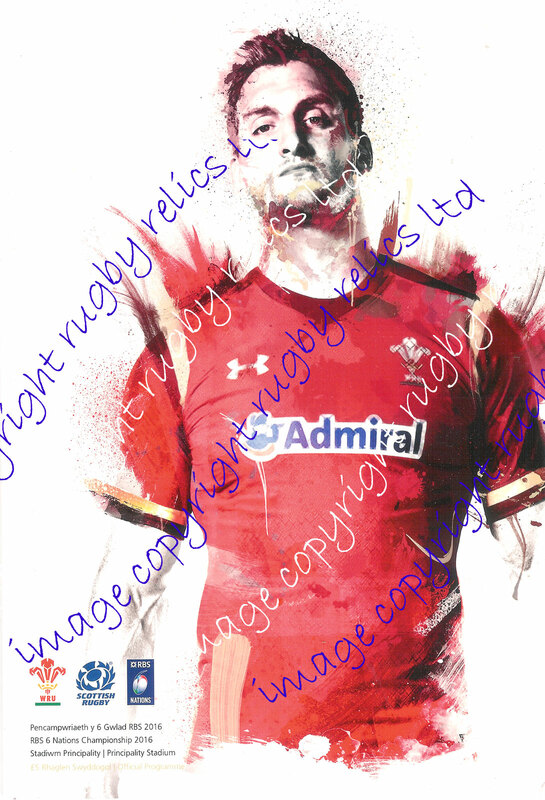 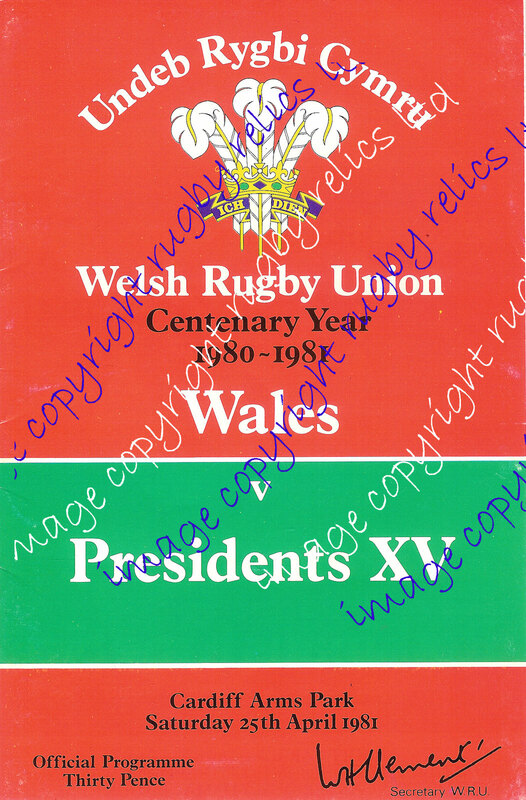 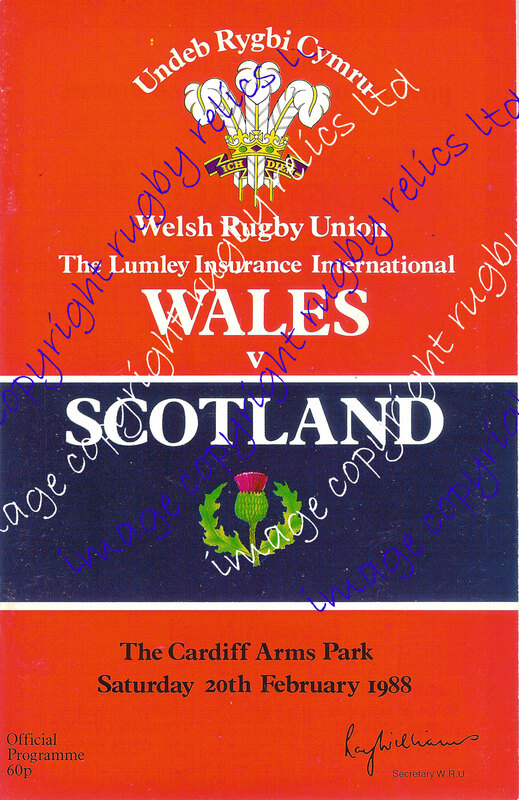 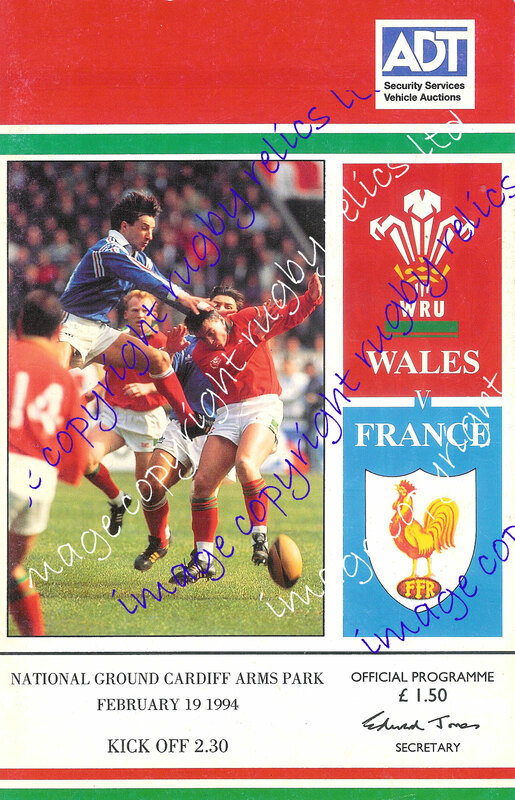 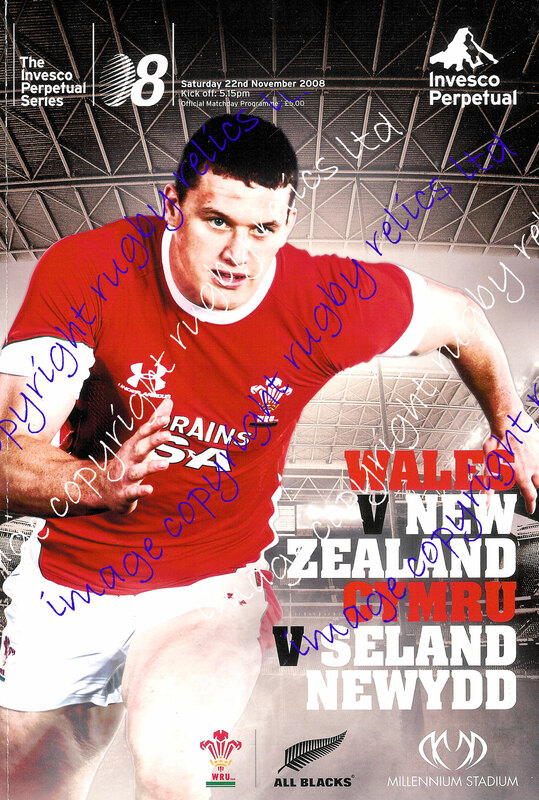 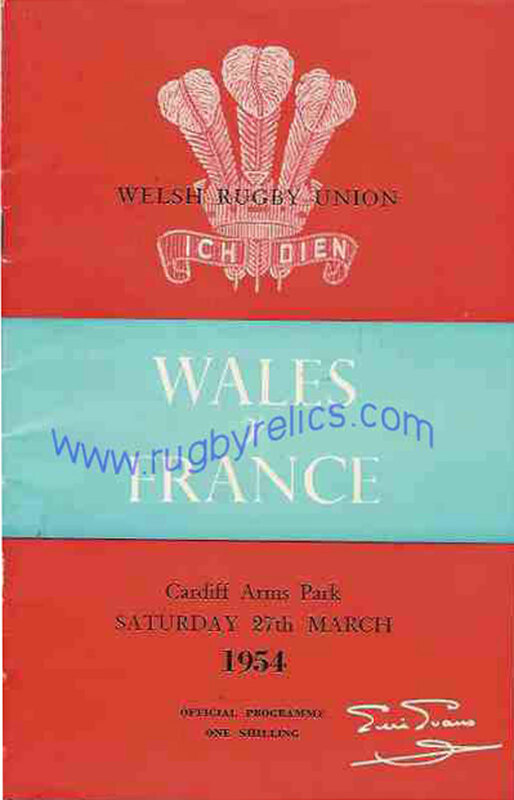 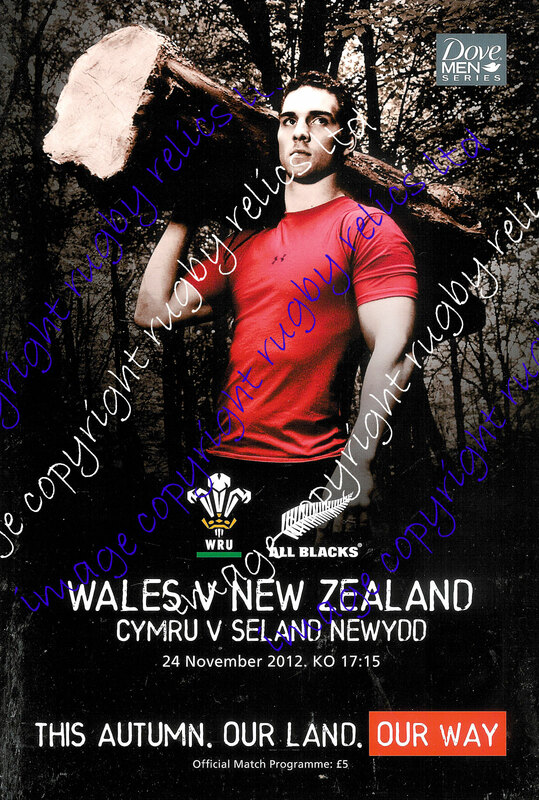 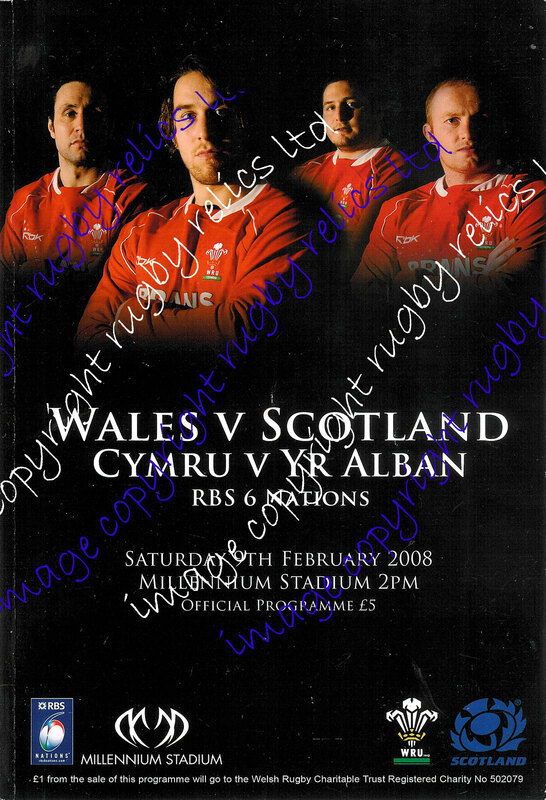 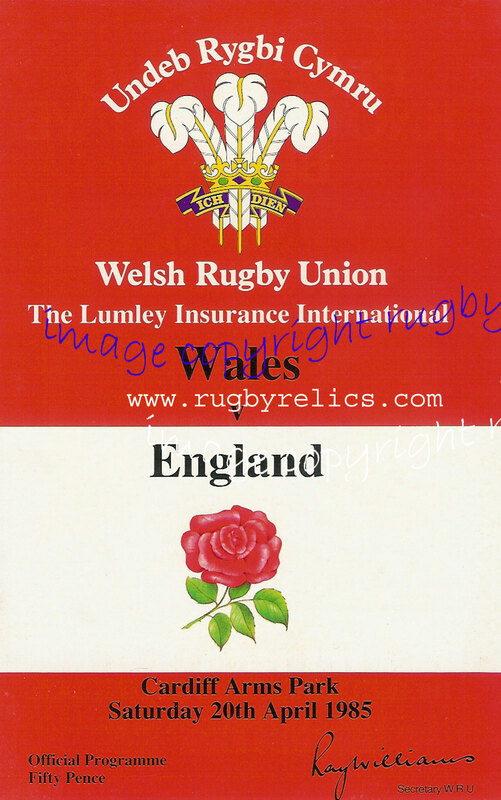 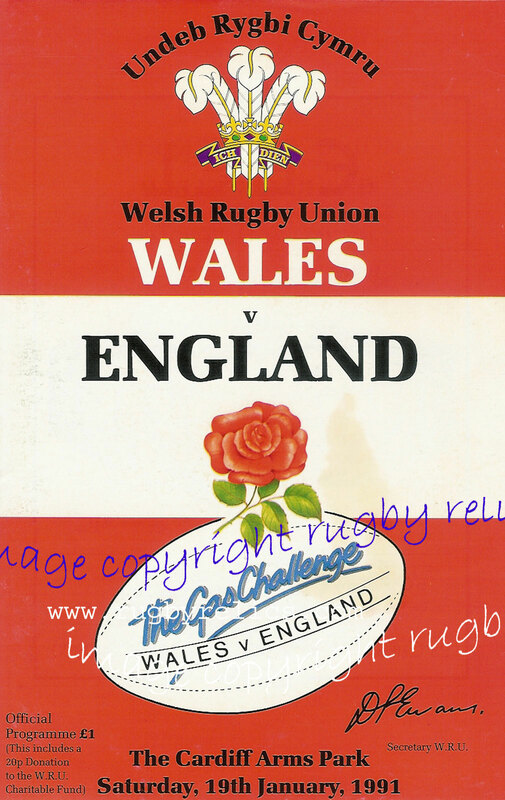 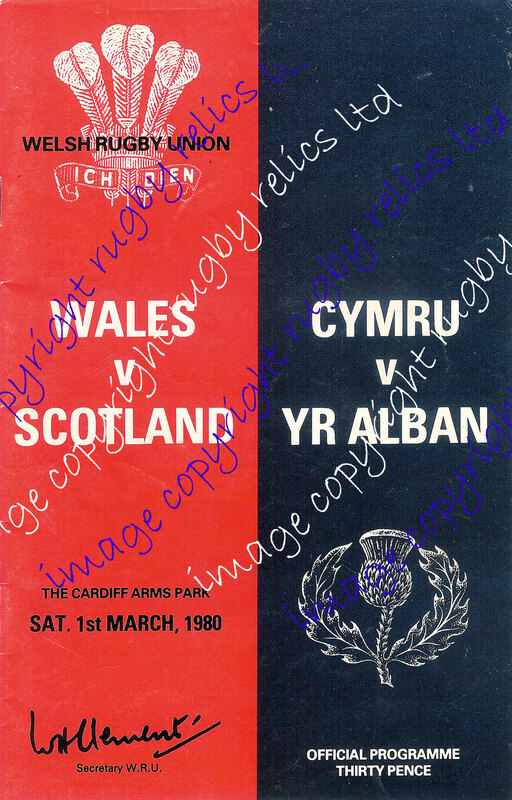 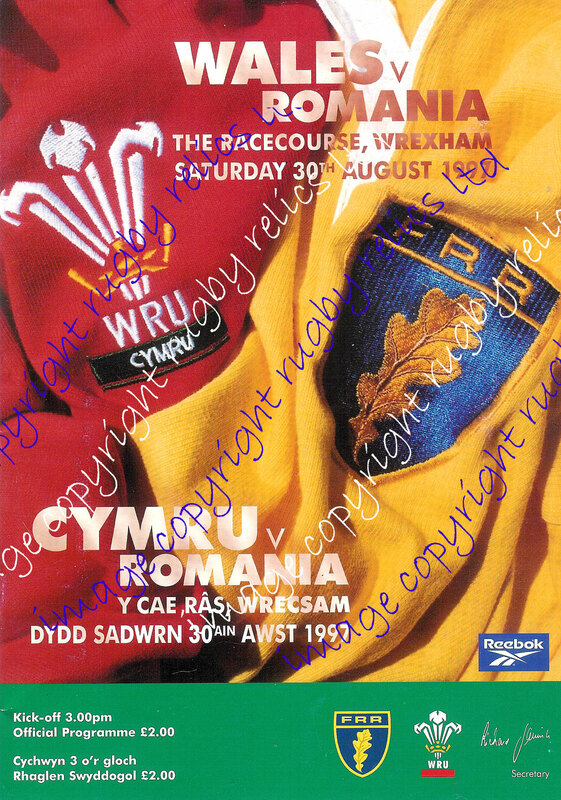 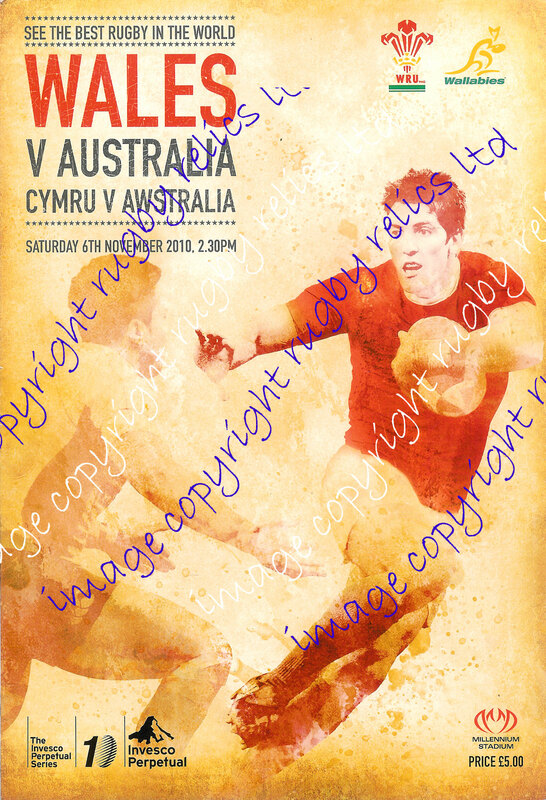 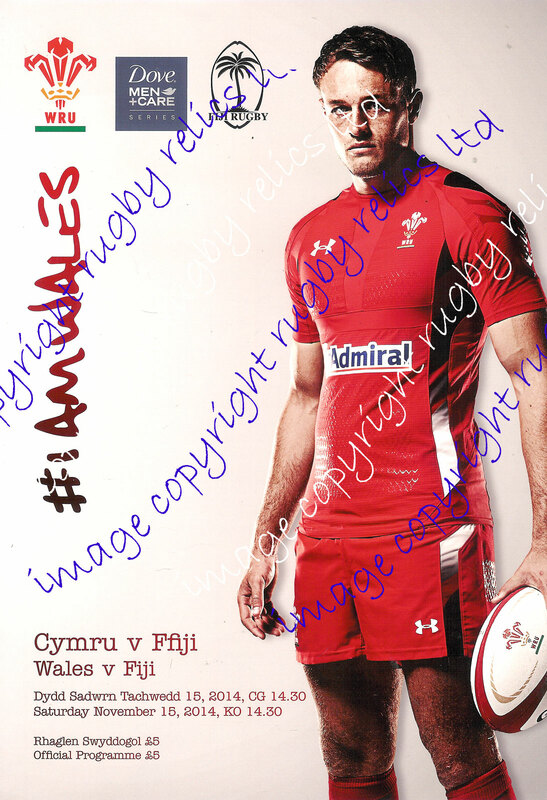 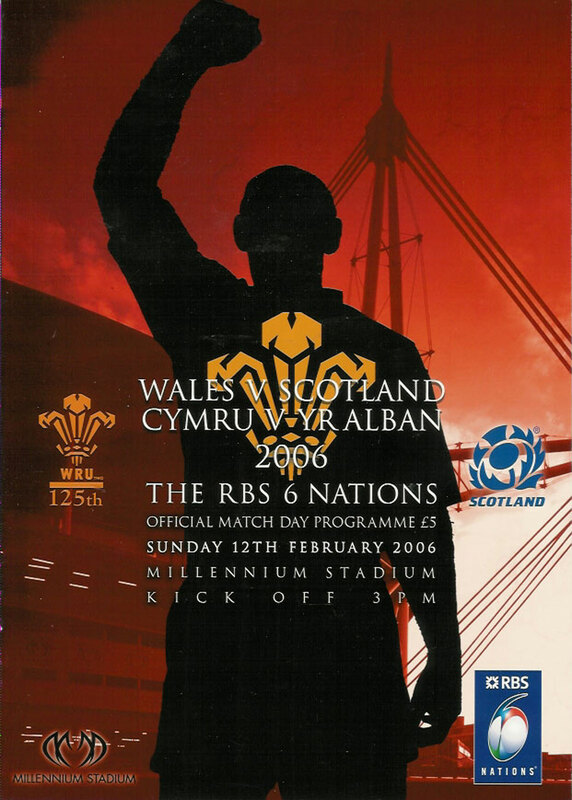 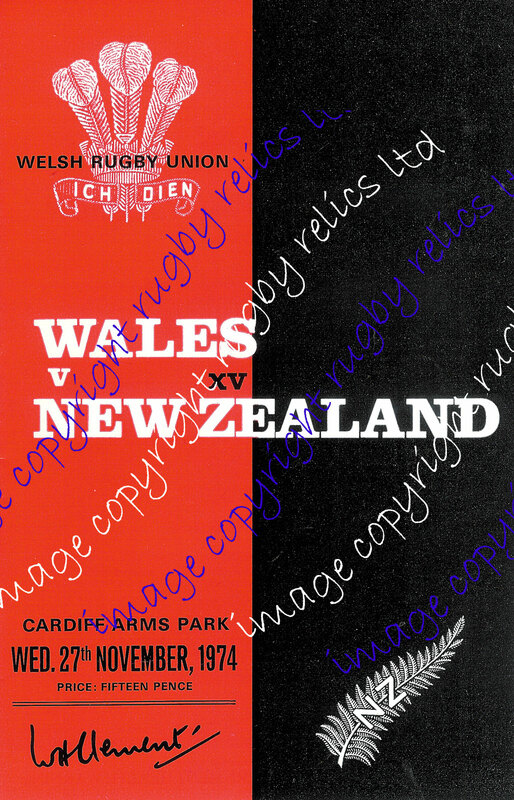 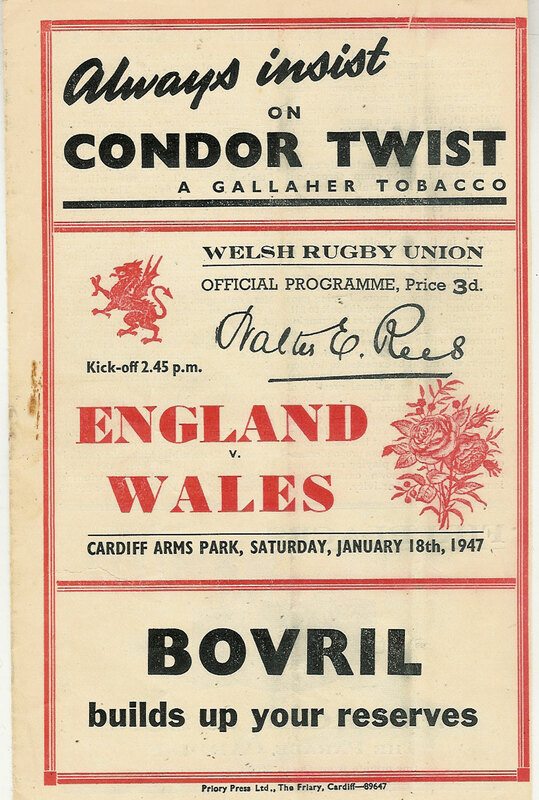 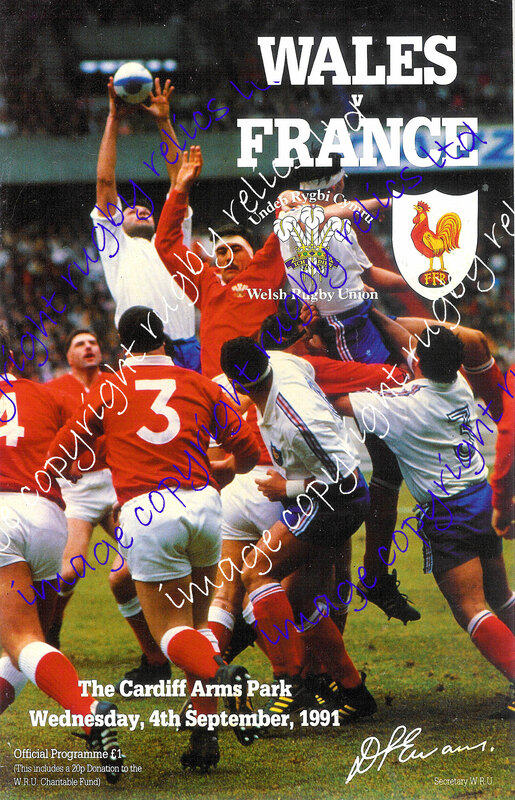 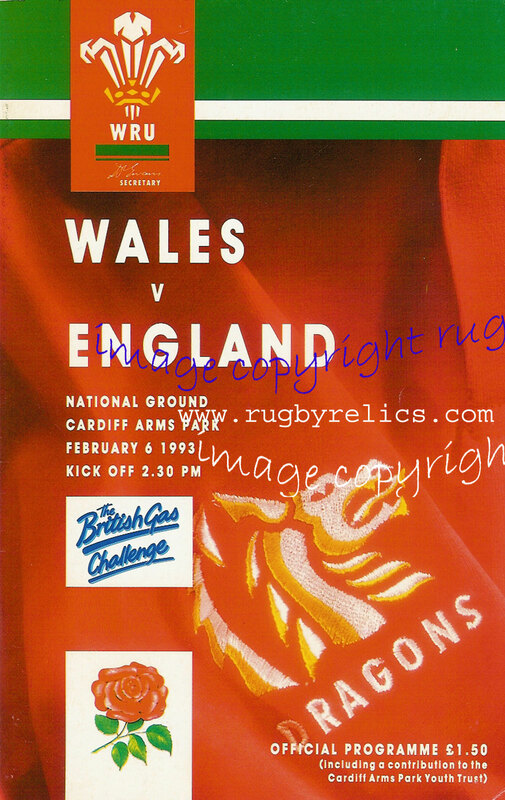 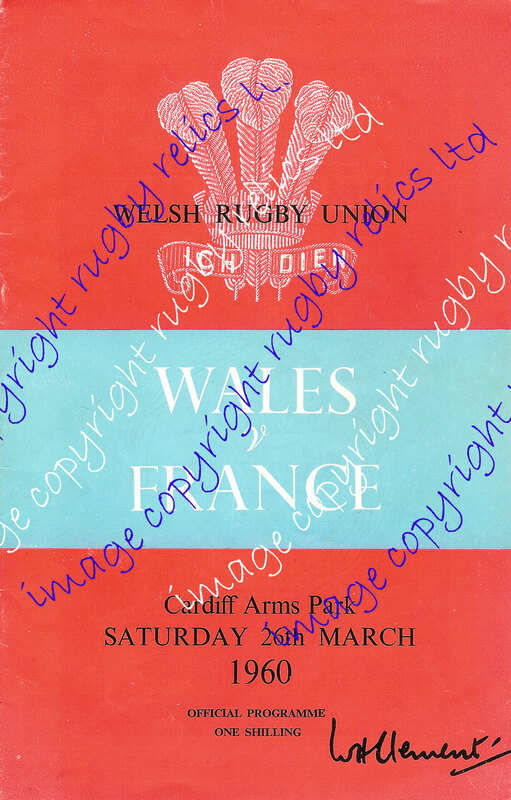 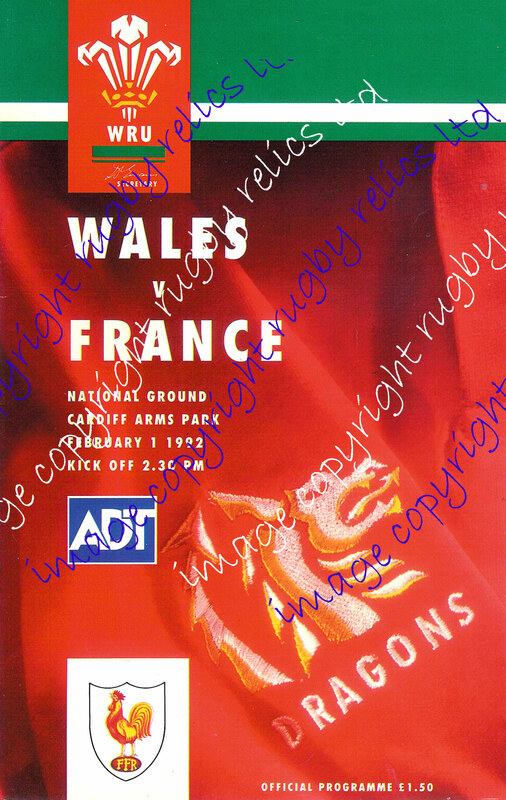 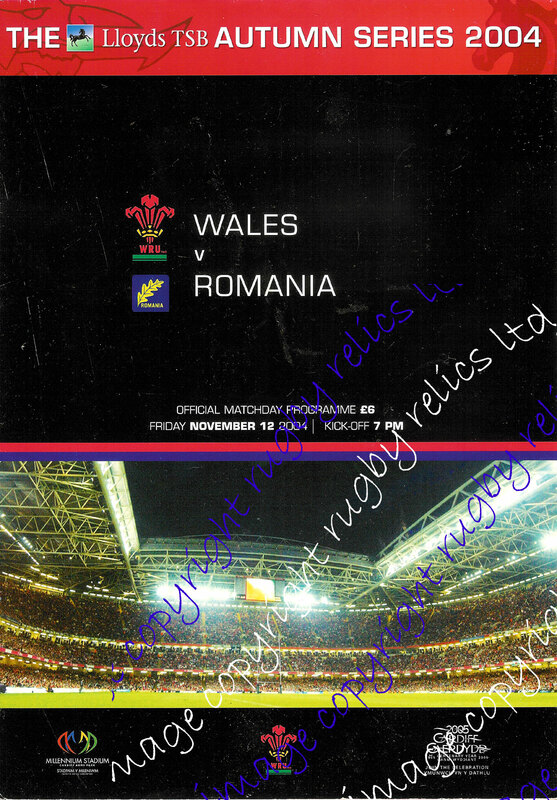 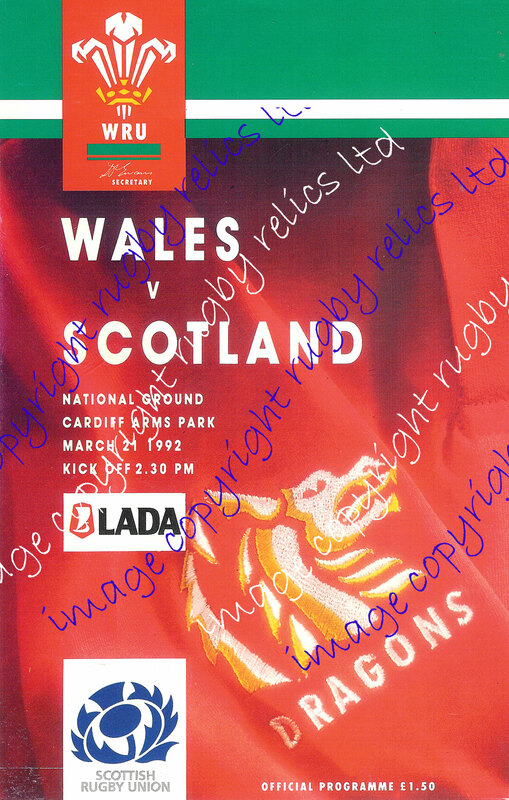 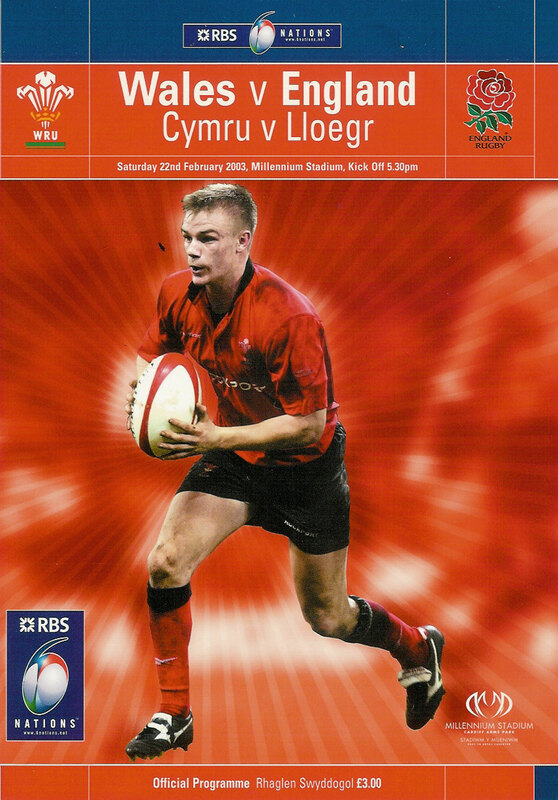 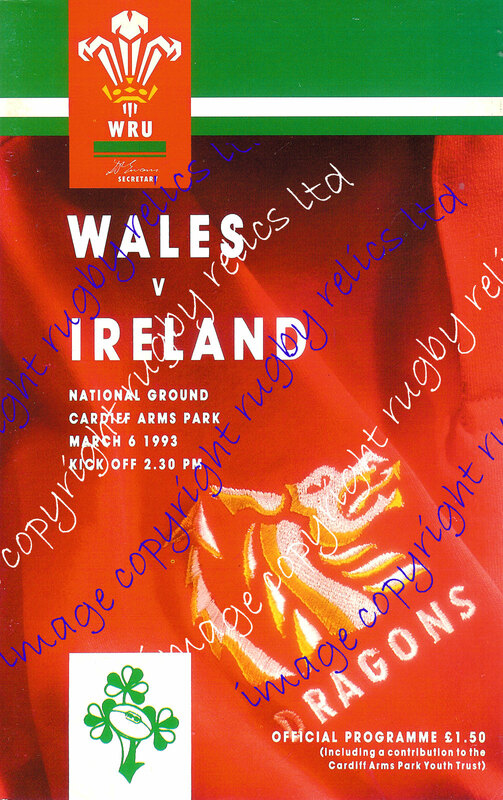 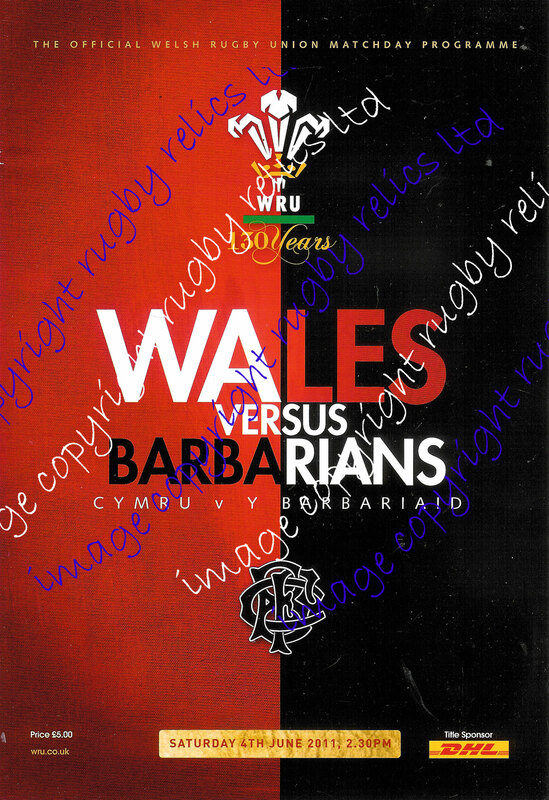 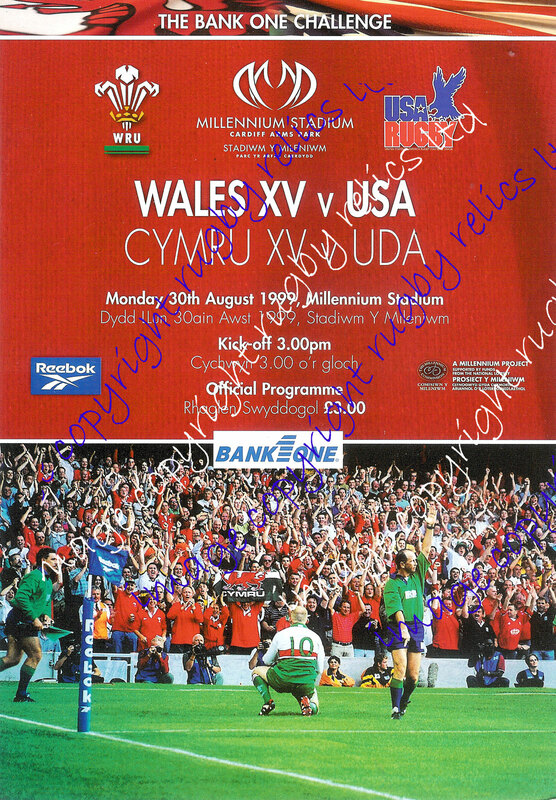 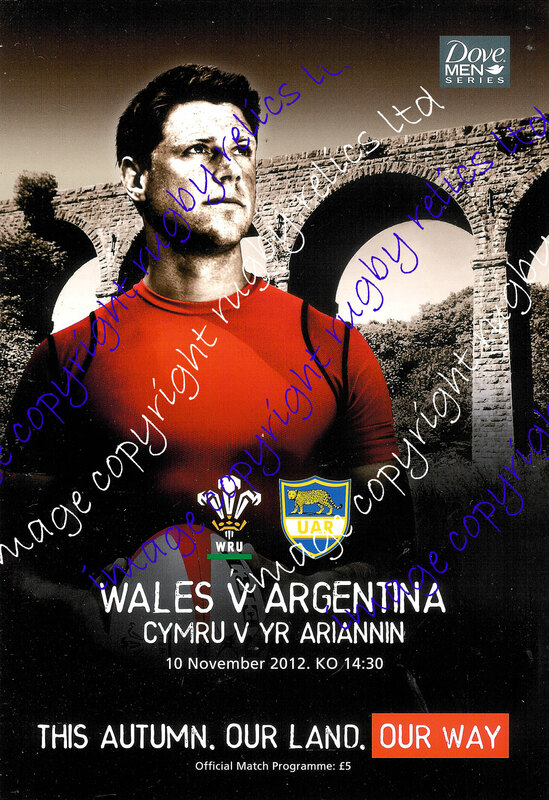 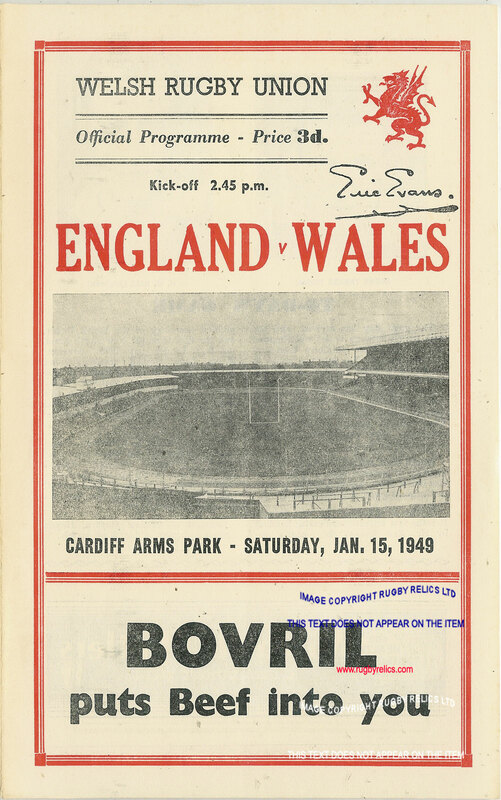 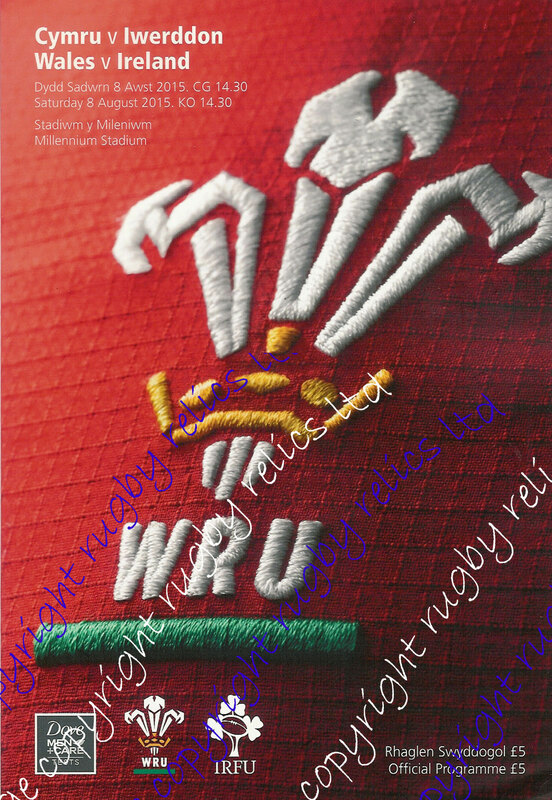 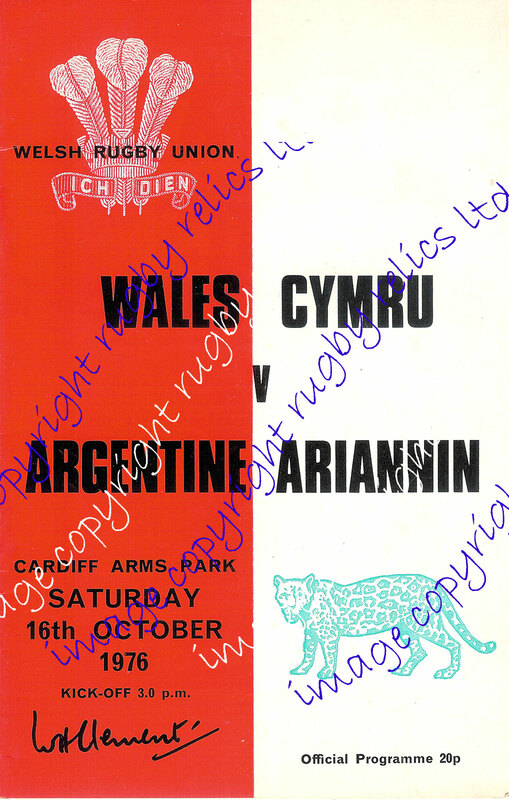 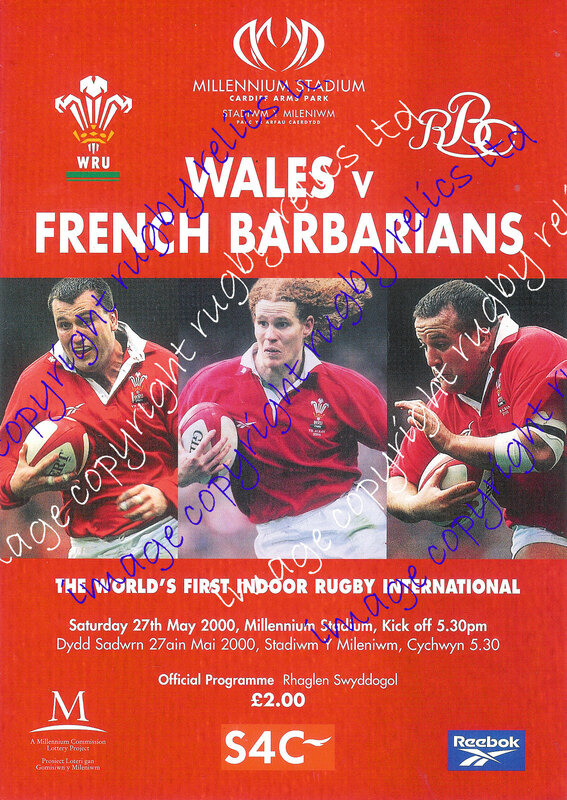 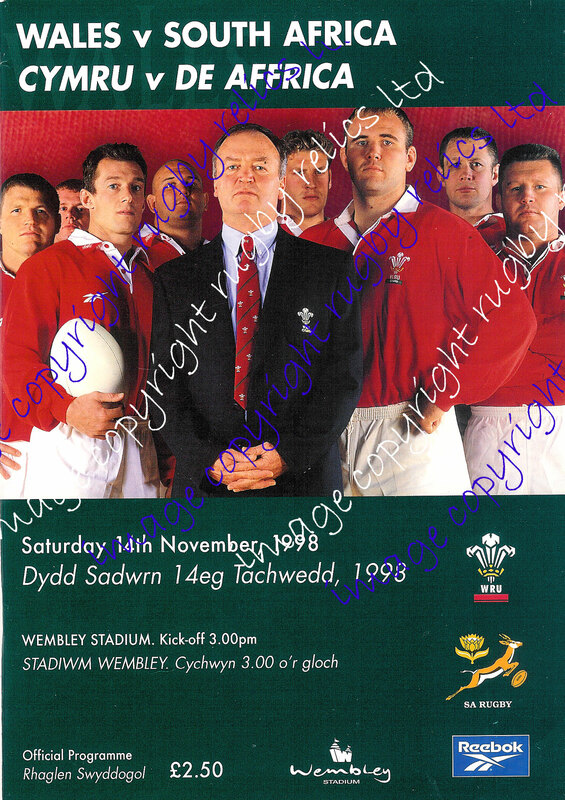 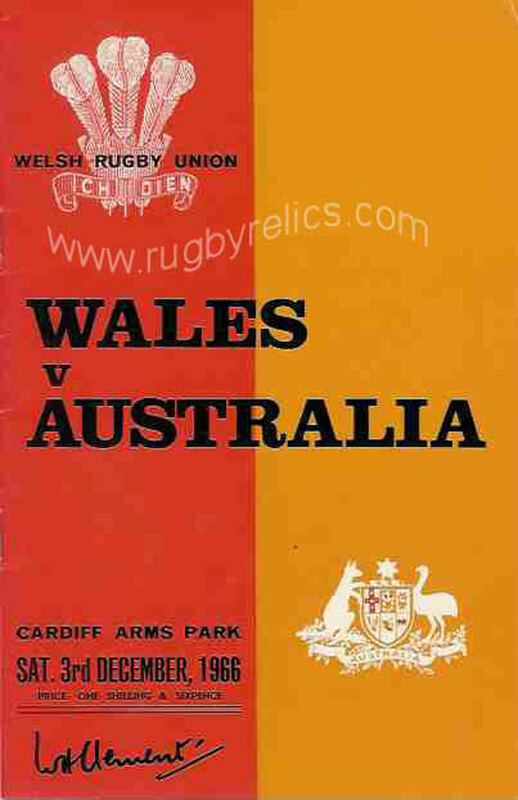 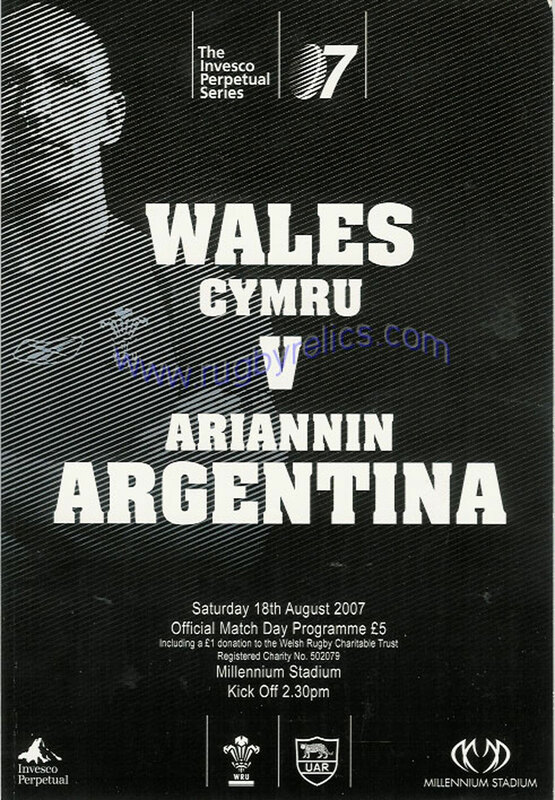 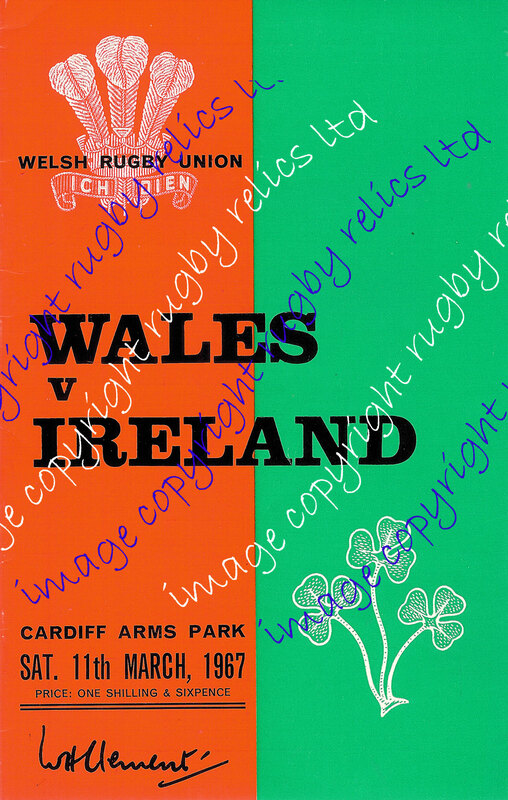 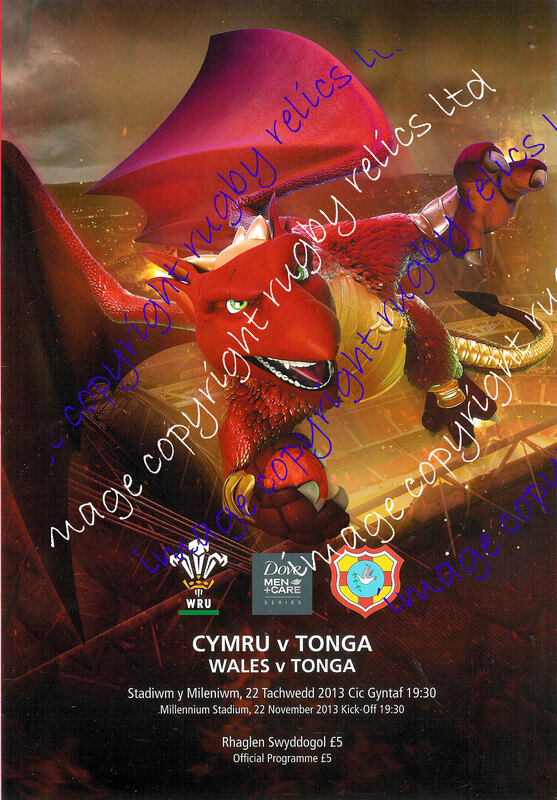 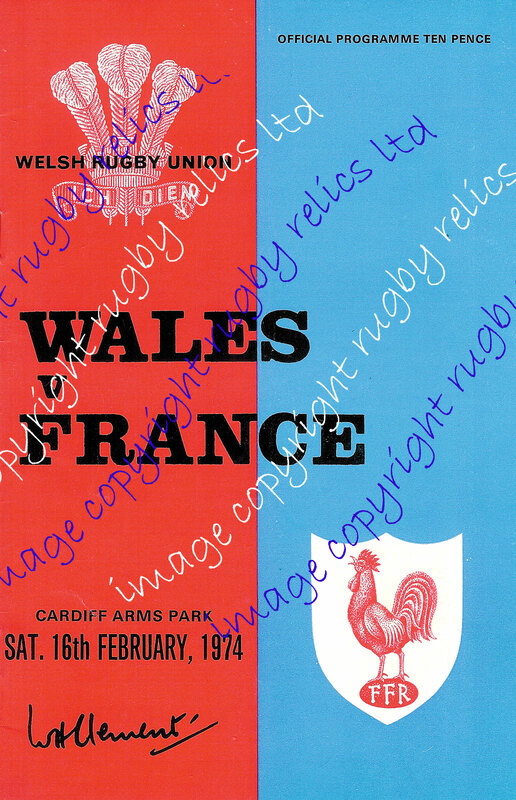 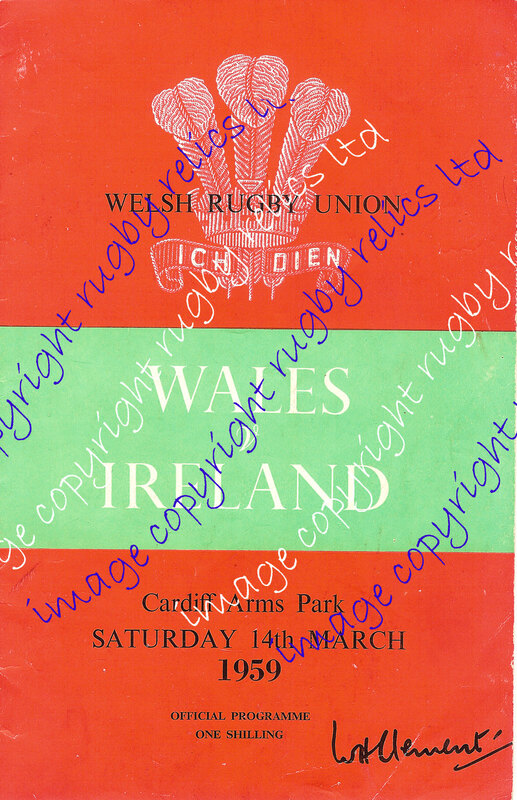 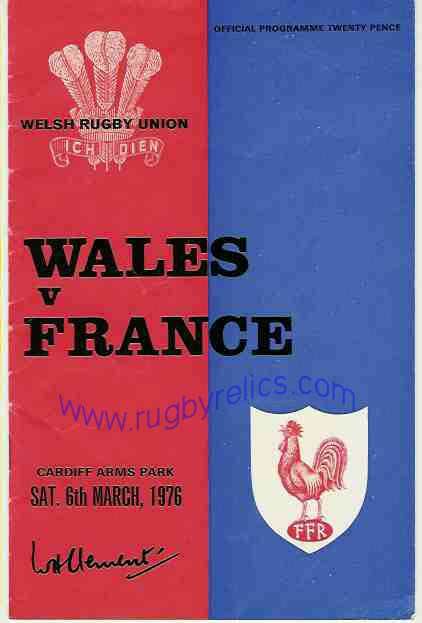 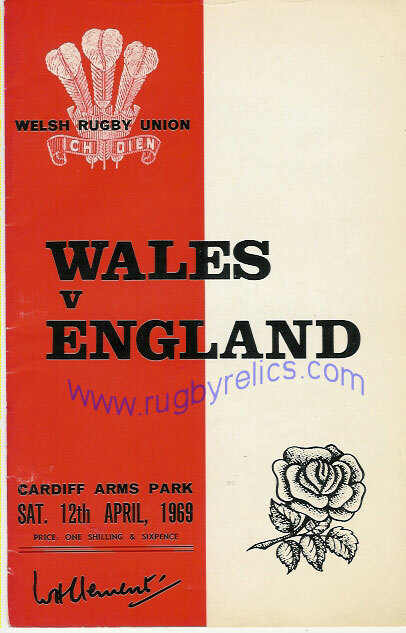 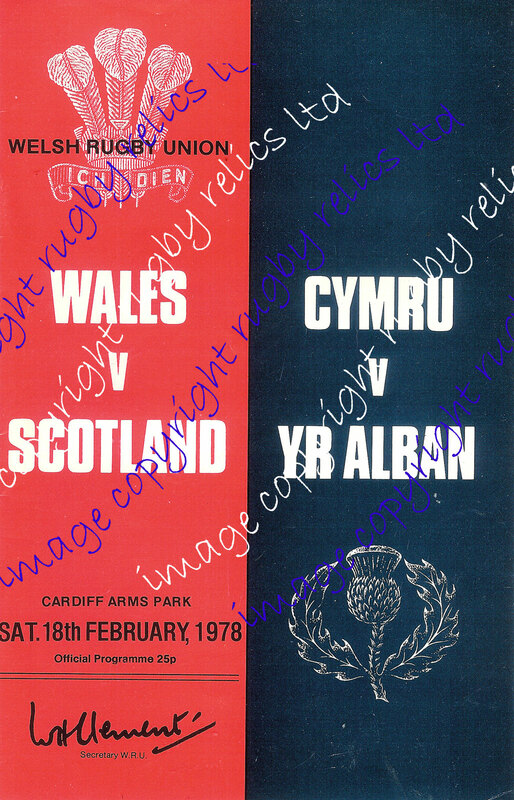 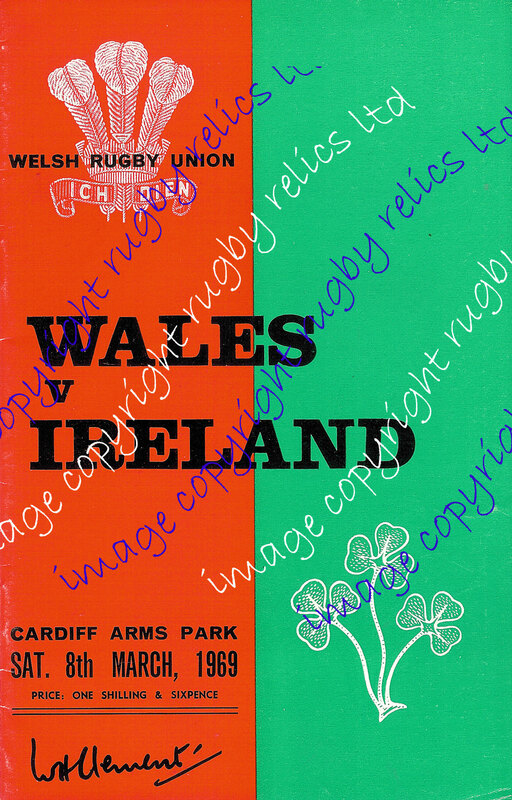 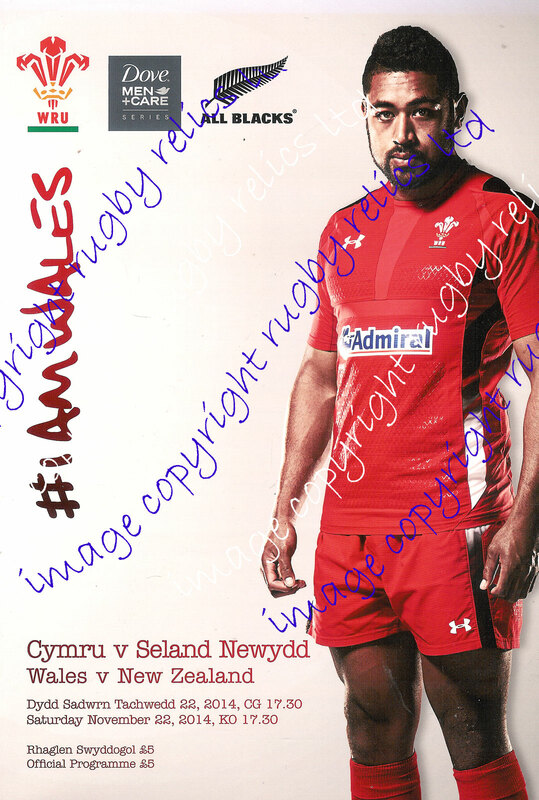 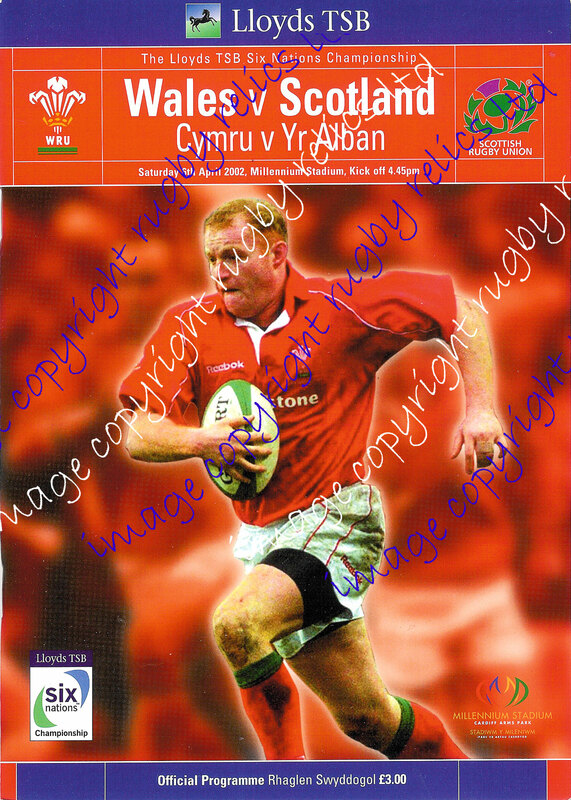 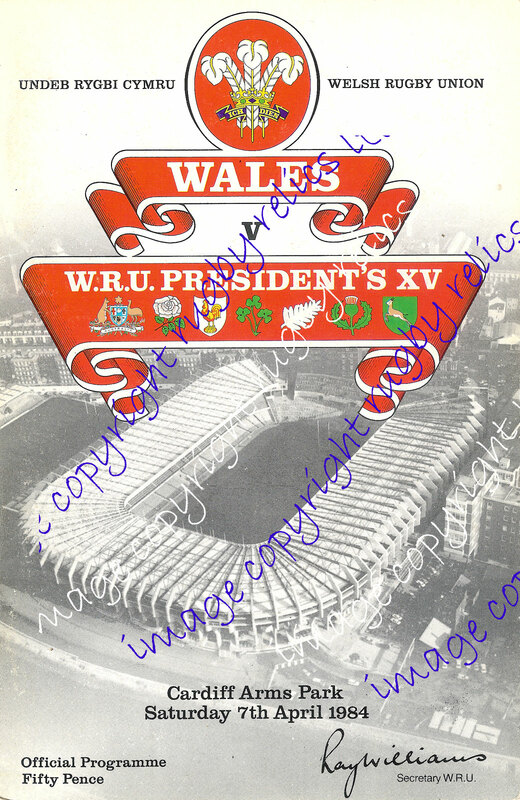 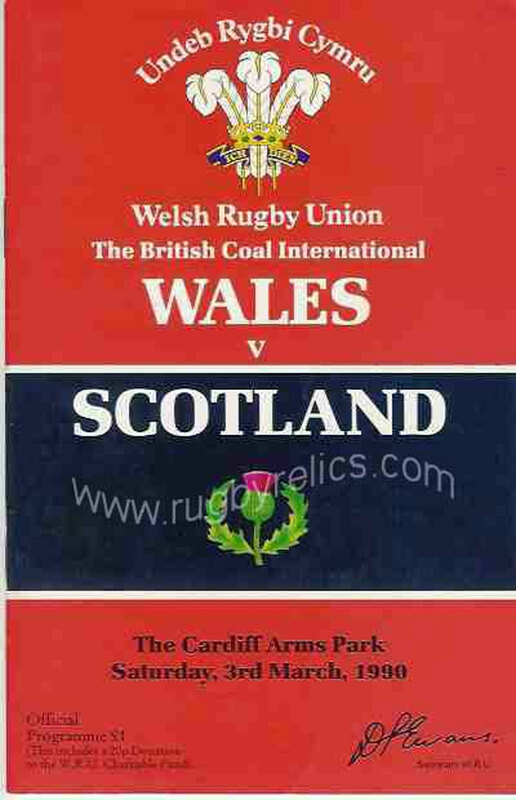 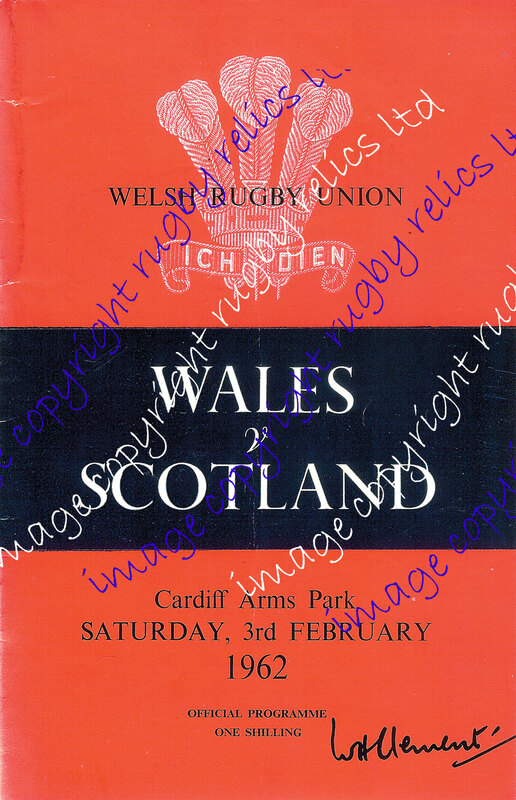 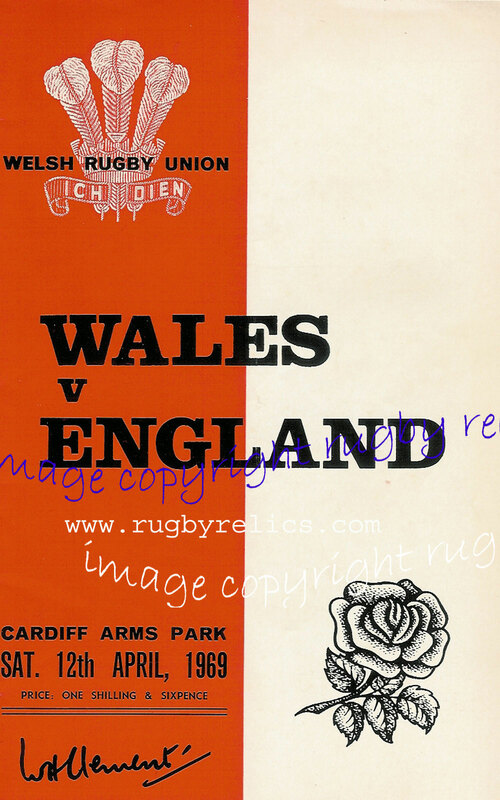 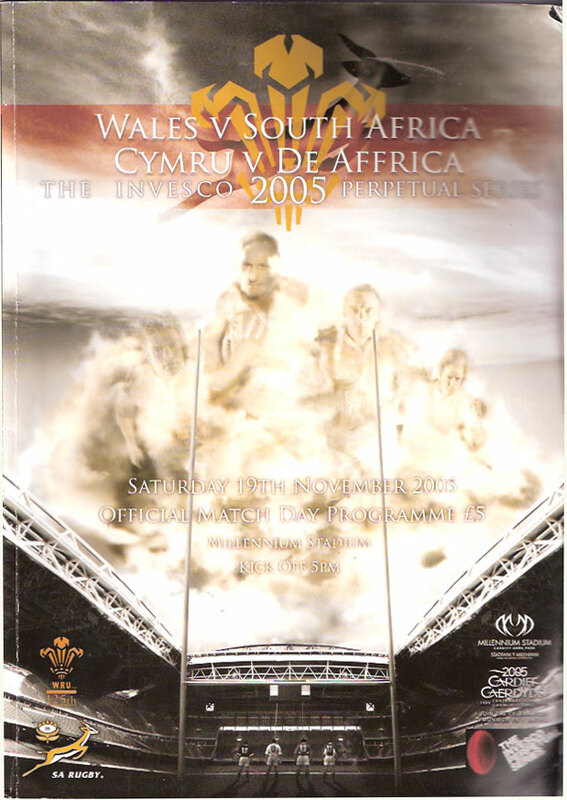 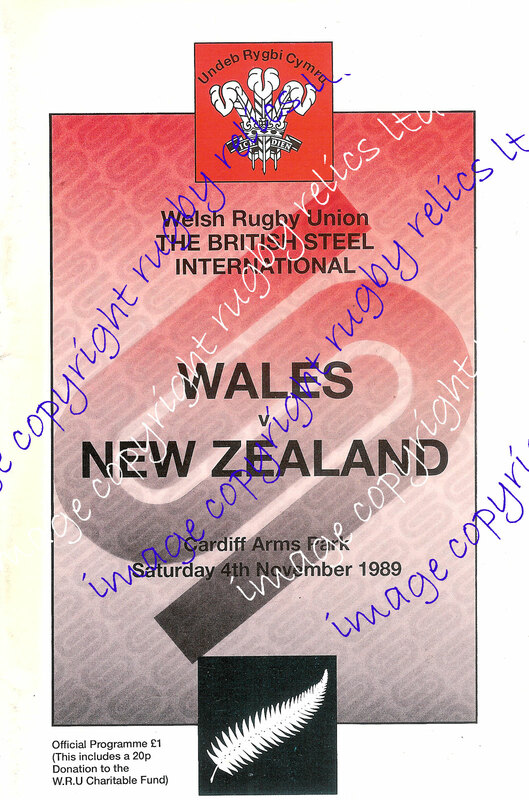 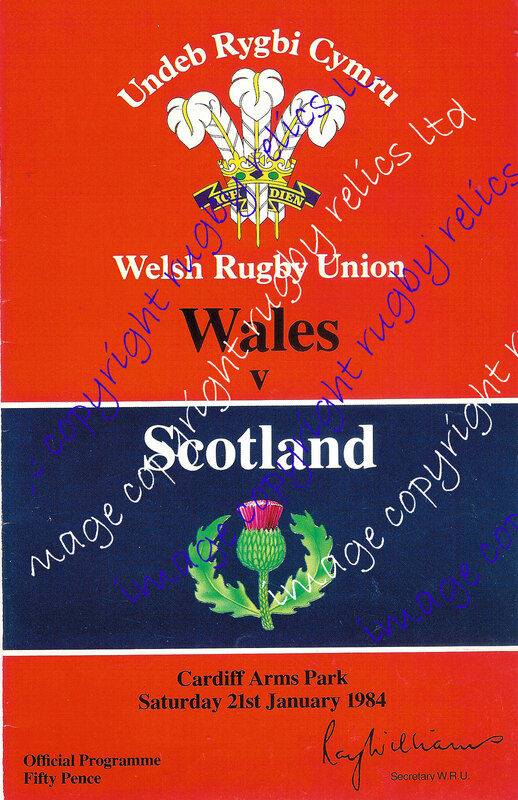 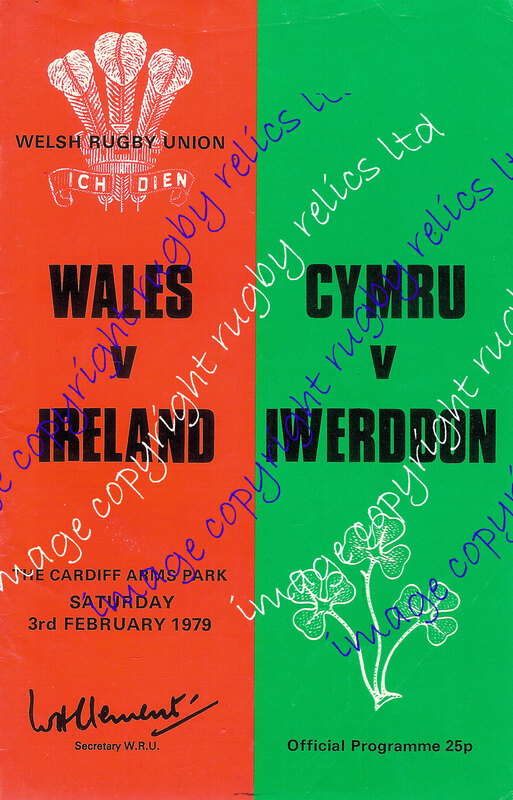 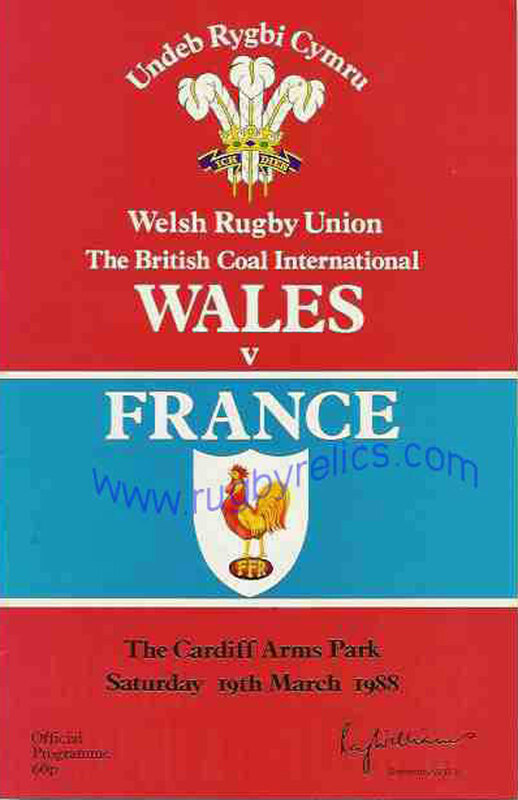 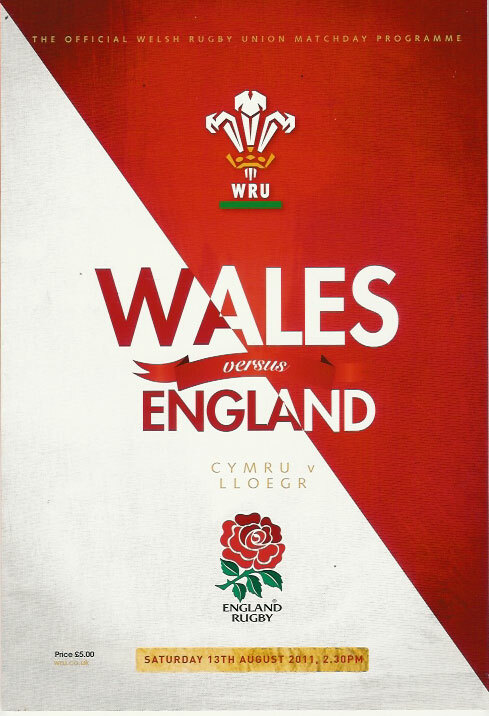 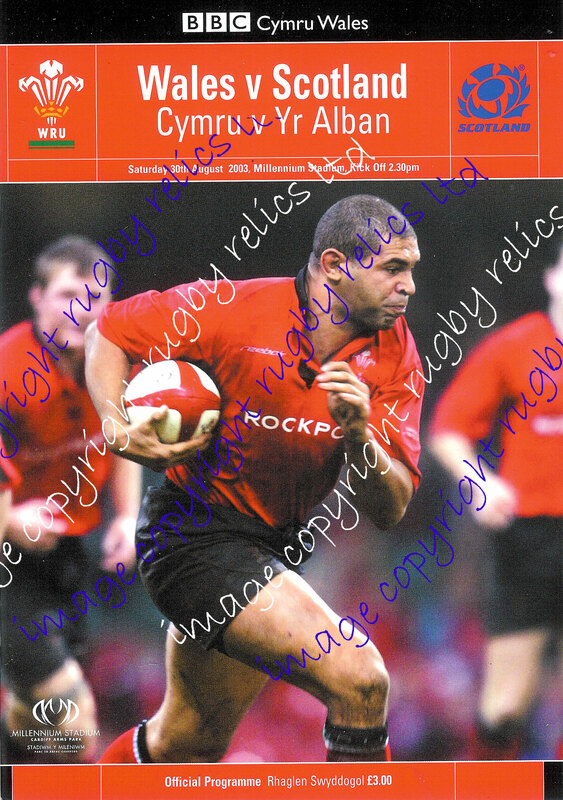 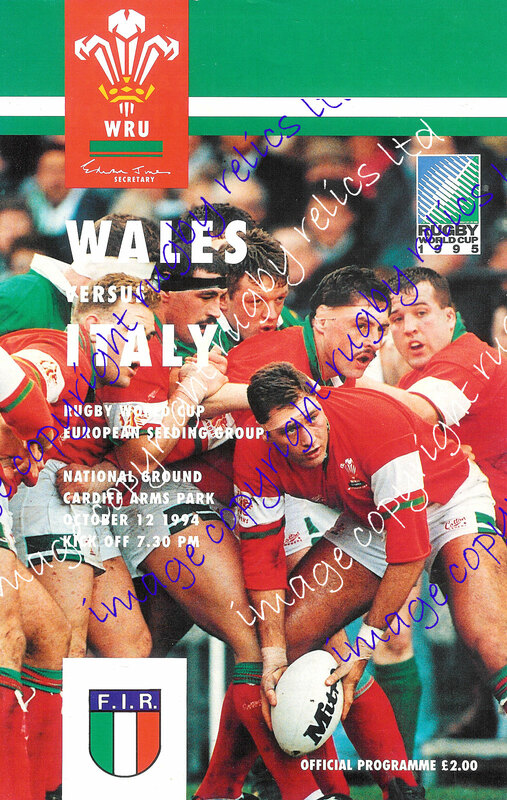 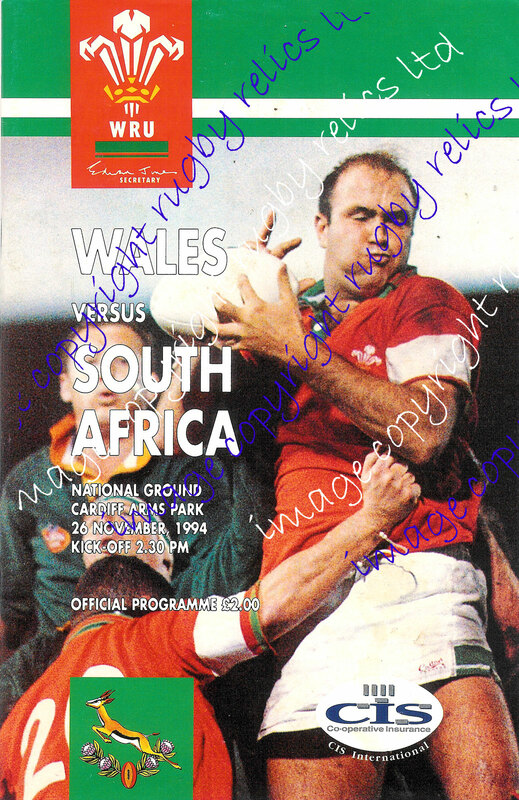 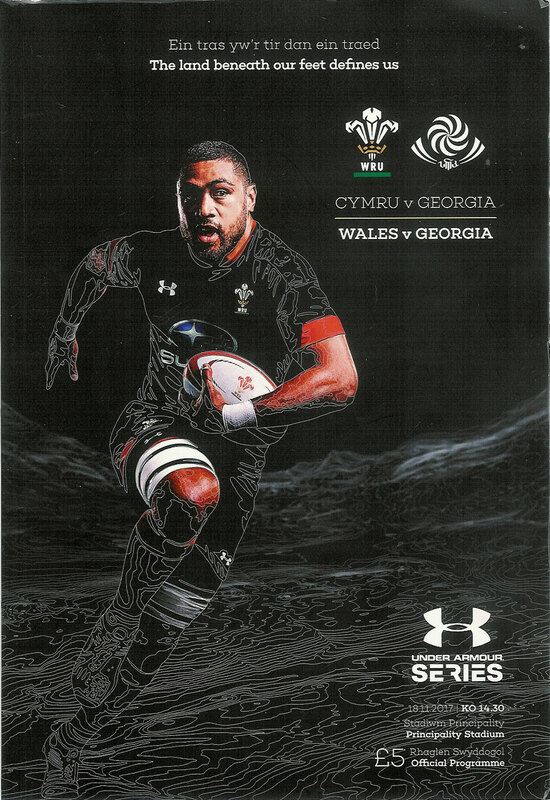 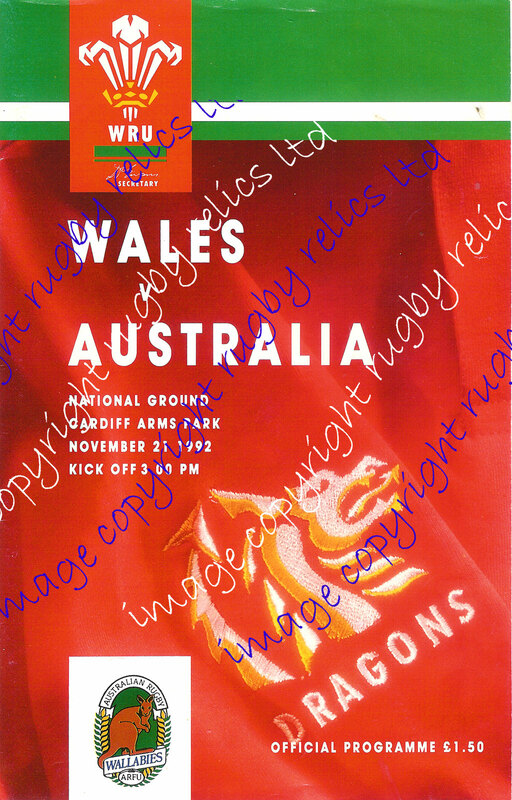 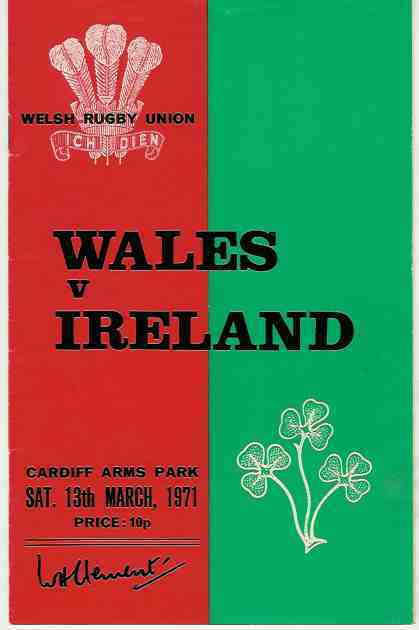 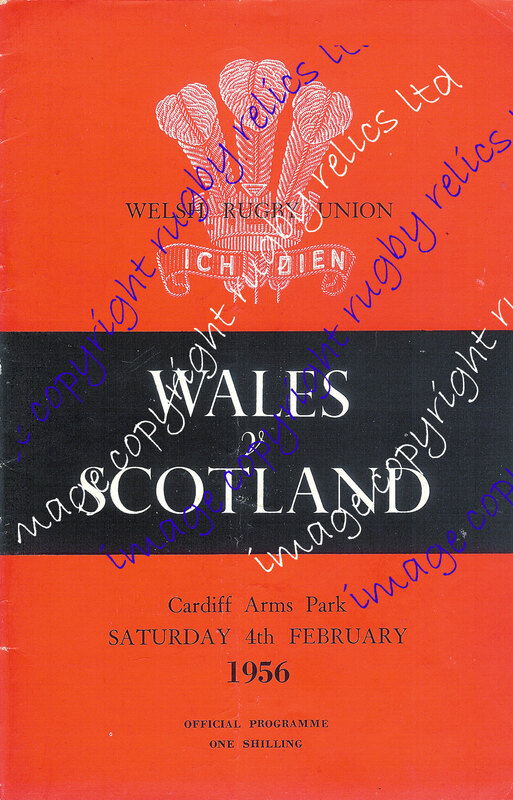 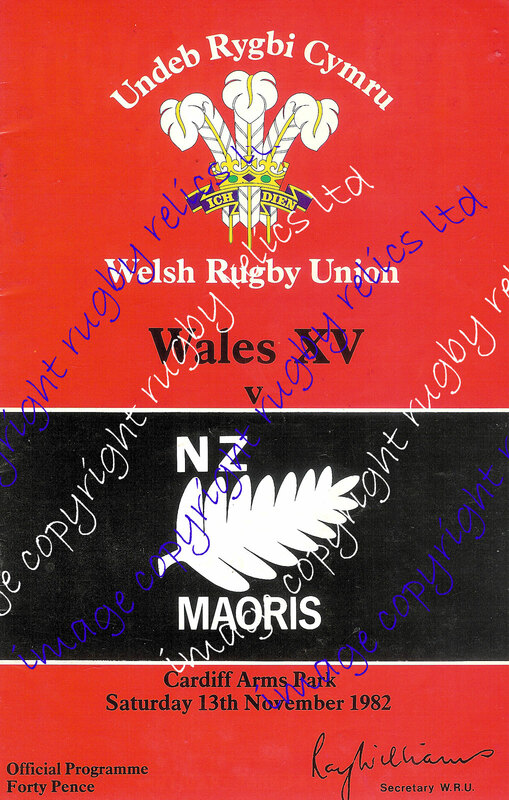 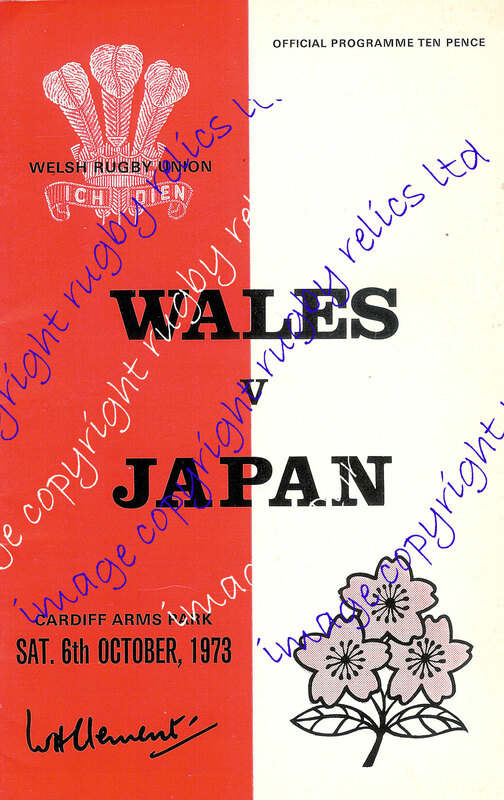 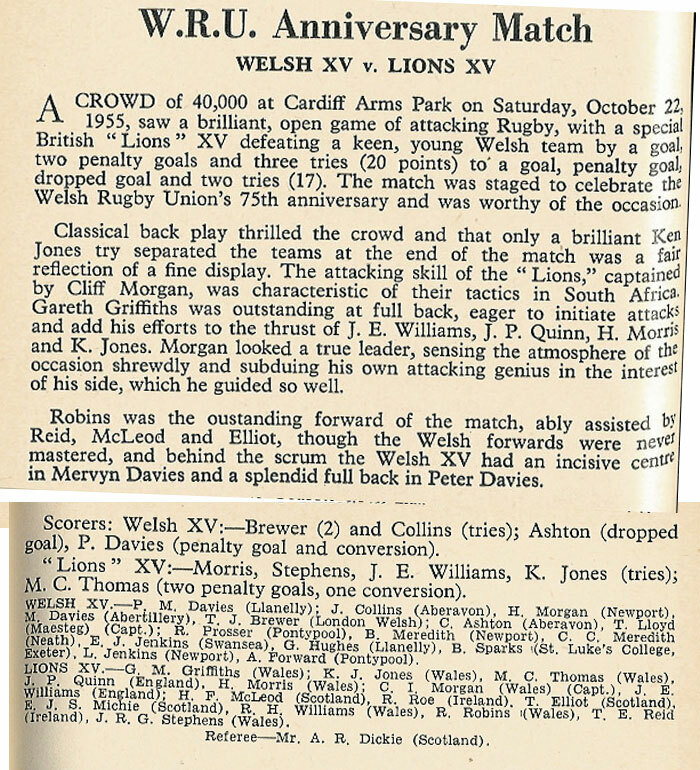 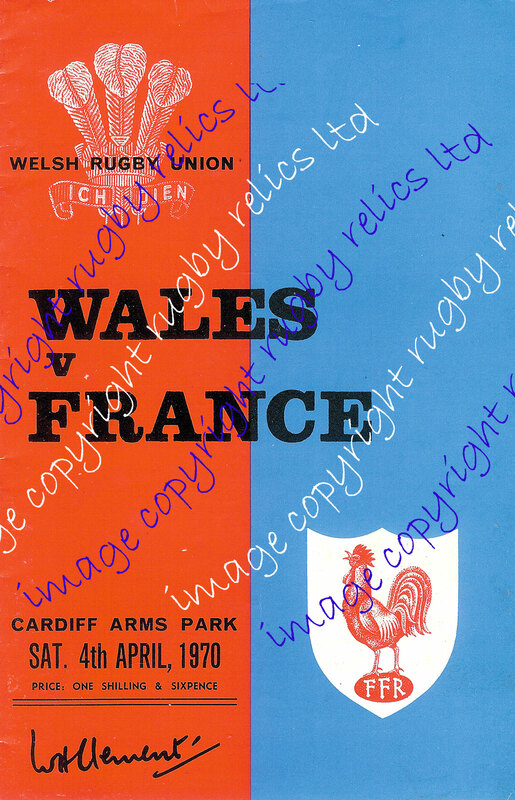 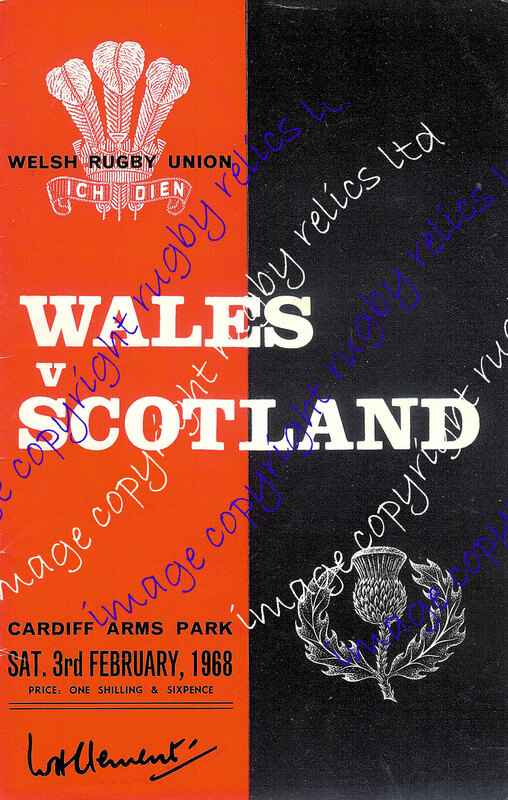 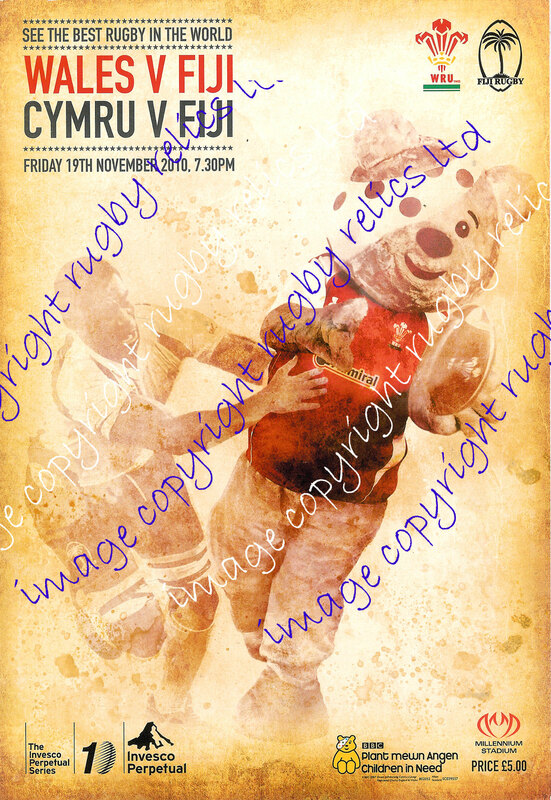 A set of 4 programmes comprising of all matches played by Wales in 1972, against England, Scotland, France & New Zealand. 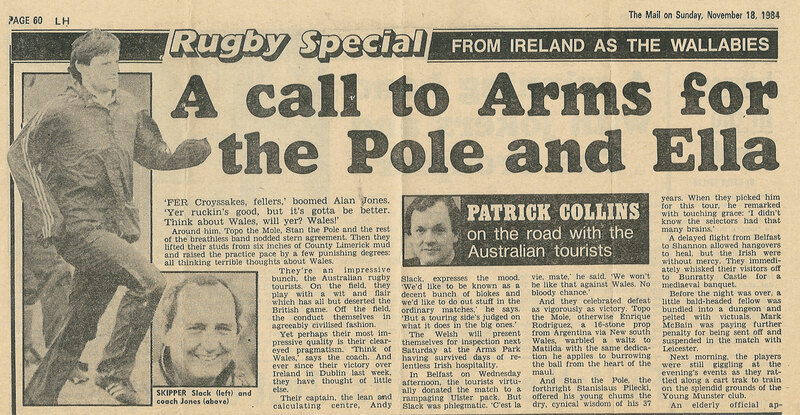 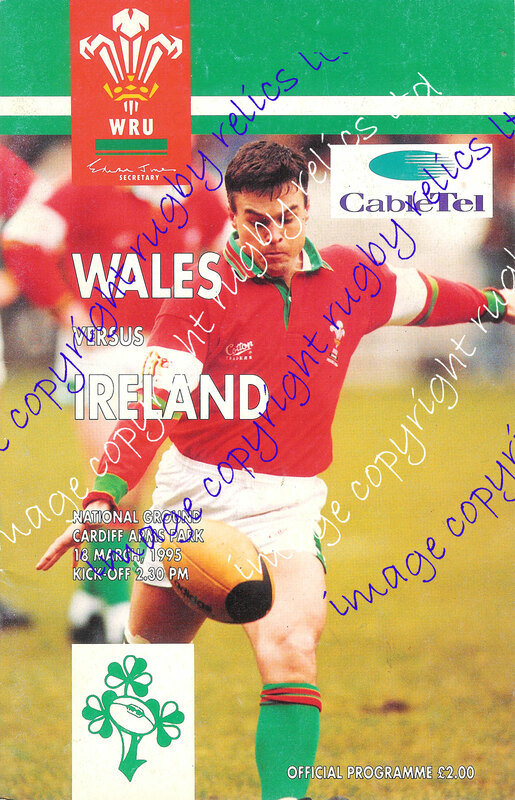 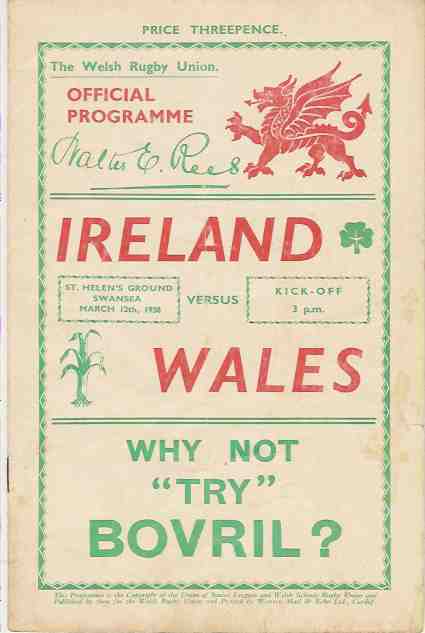 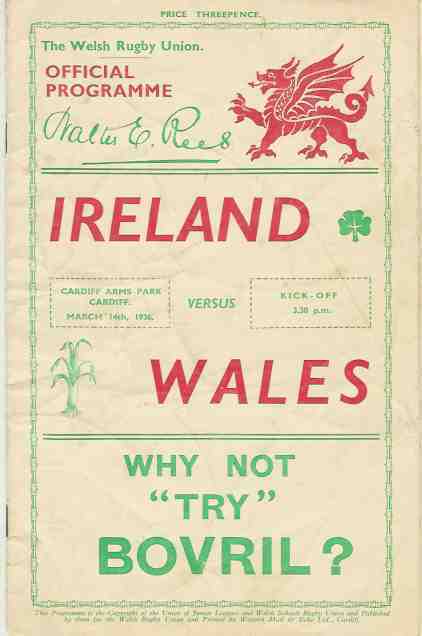 The irish match was cancelled in this year due to the troubles in Northern Ireland. 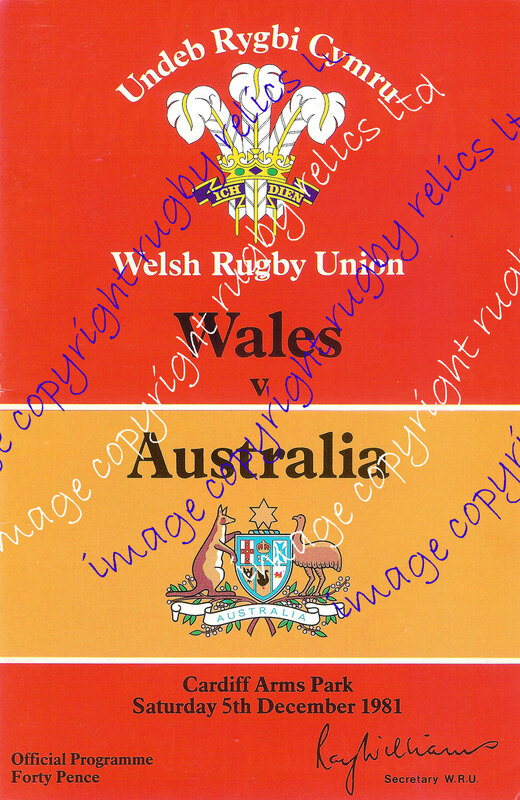 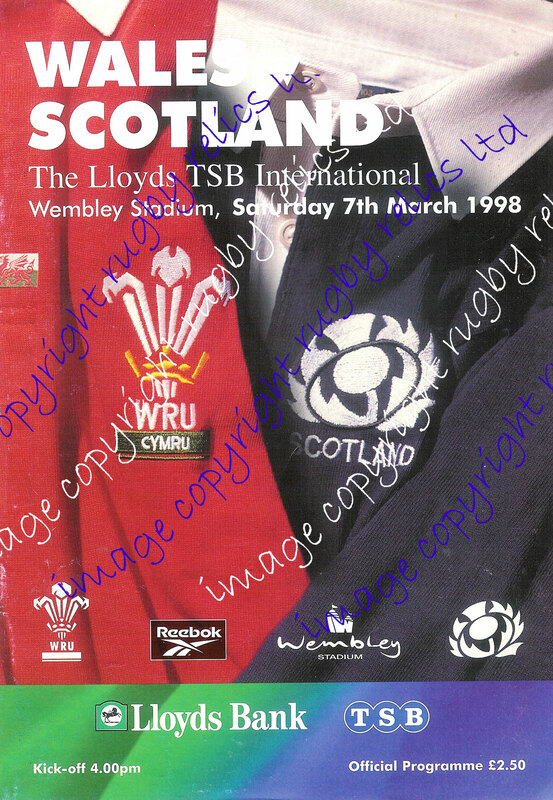 All 4 programmes are in good to very good condition.